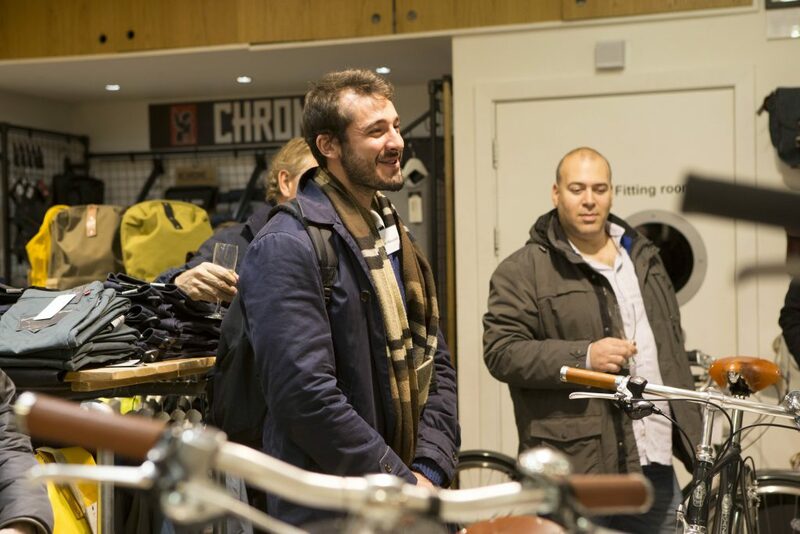 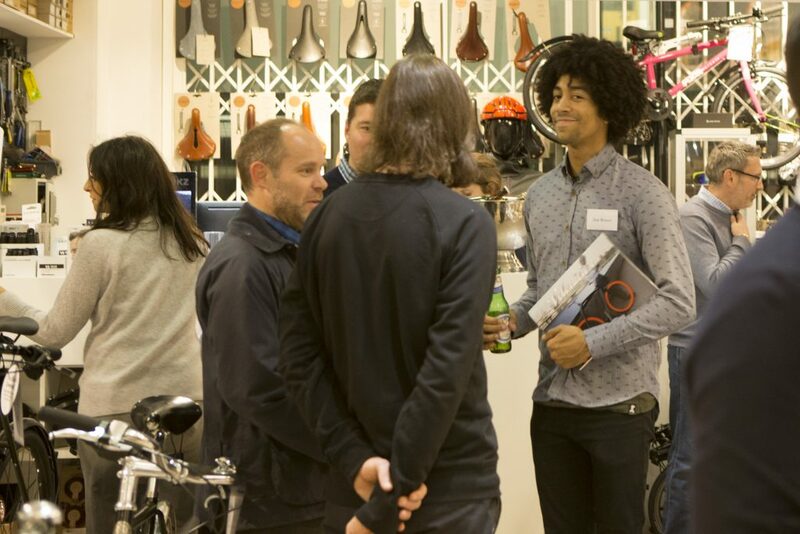 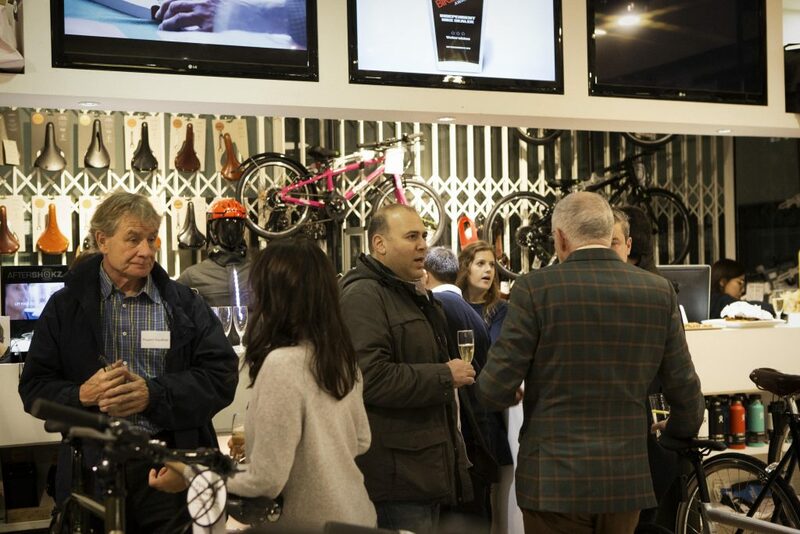 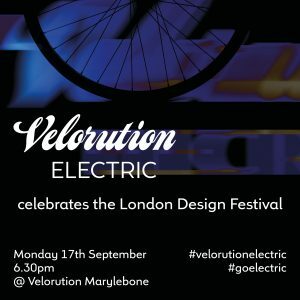 Following a year of rapid expansion Velorution, London’s leading Electric and Urban cycling retailer is really thrilled to announce the acquisition of Always Riding the global online retailer of stylish and technically advanced cycle clothing, accessories, bags, bikes and cycling lifestyle products. 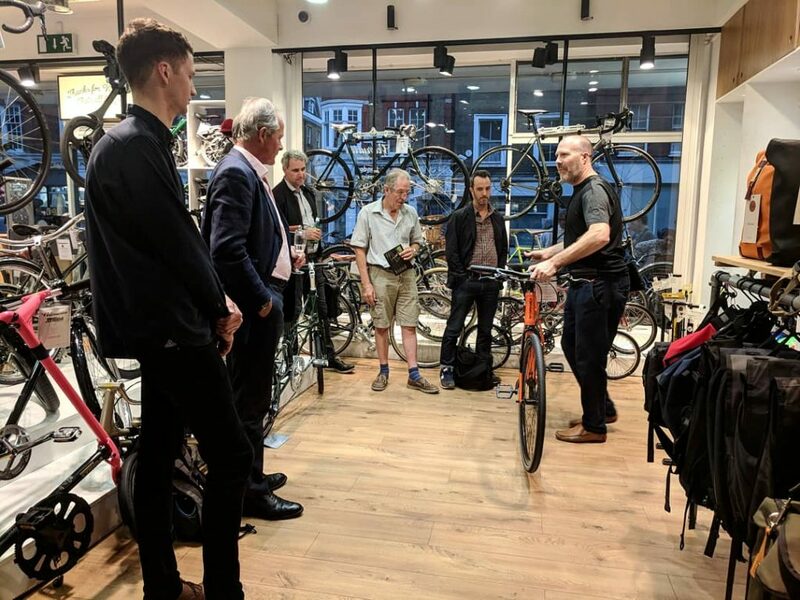 alwaysriding.co.uk will continue to run as an independent web business enhanced by the addition of our sales and marketing team and extensive product lineup”. 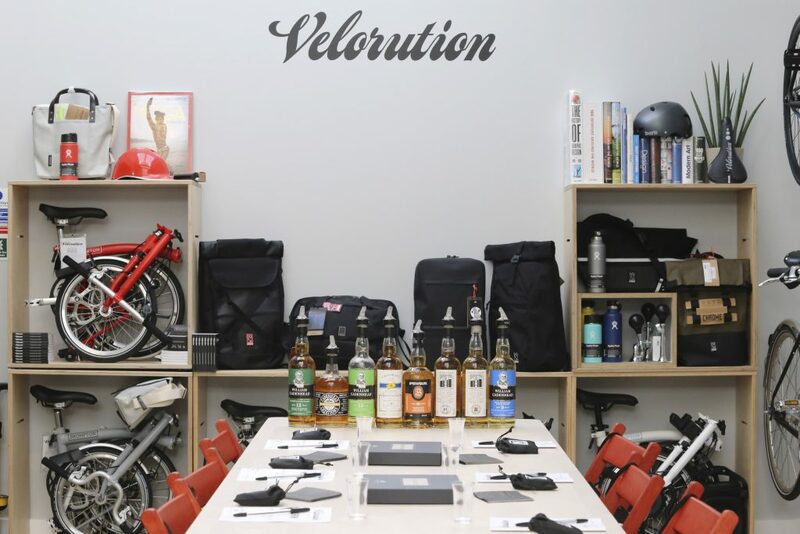 This entry was posted in News on 2nd January 2019 by Velorution. 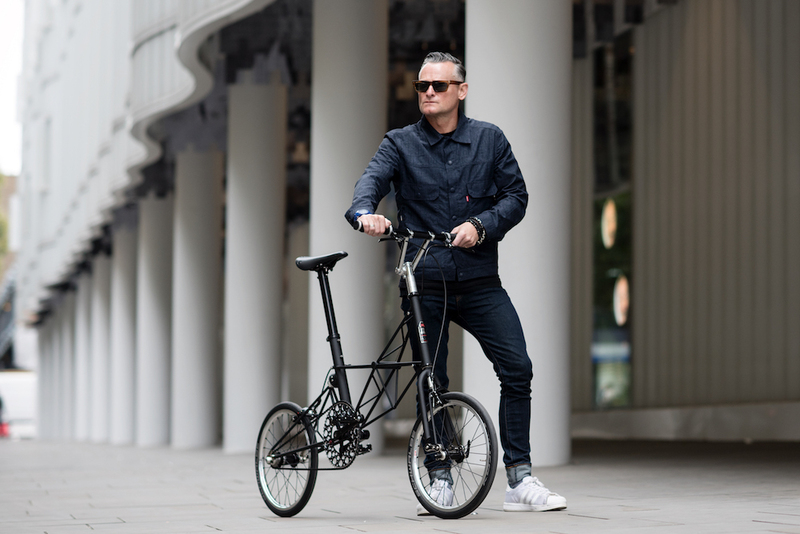 "A collaboration with Moulton, the X-Black is a glorious concoction of their inimitable frame design and our unmistakeable aesthetic. 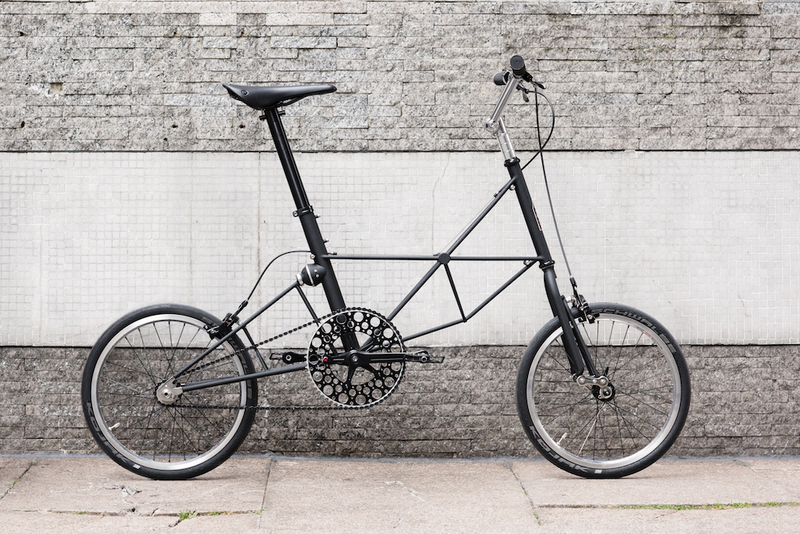 The X-Black is no normal ColourBolt, but rather a collaboration project with our friends at beloved British builder, Moulton Bicycles. 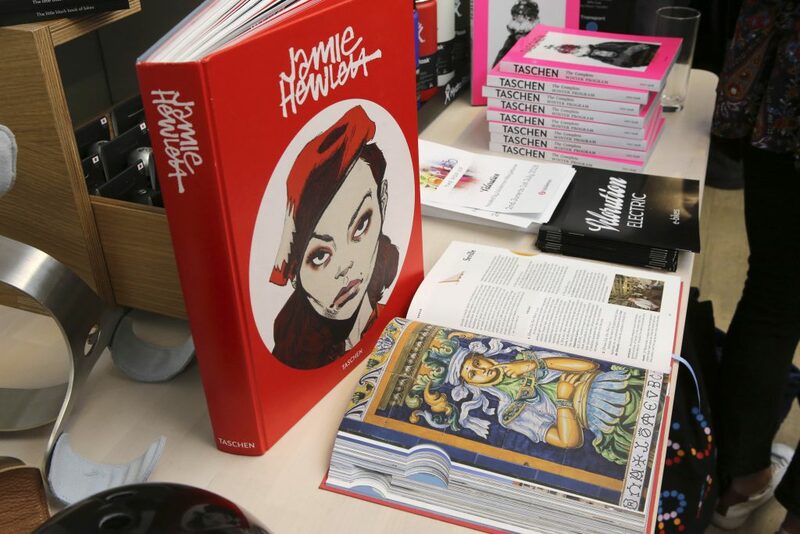 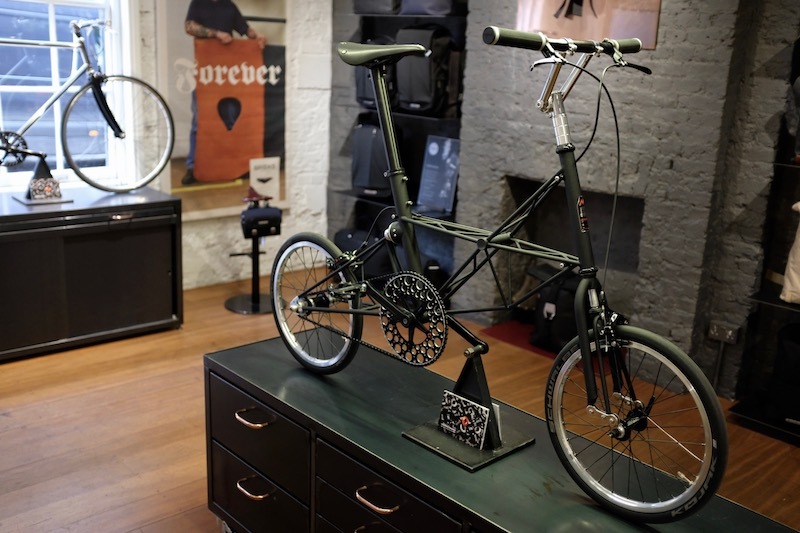 Produced in partnership, using one of their iconic X frames as the basis, but with plenty of our signature hallmarks, this is a model we’re extremely proud of. 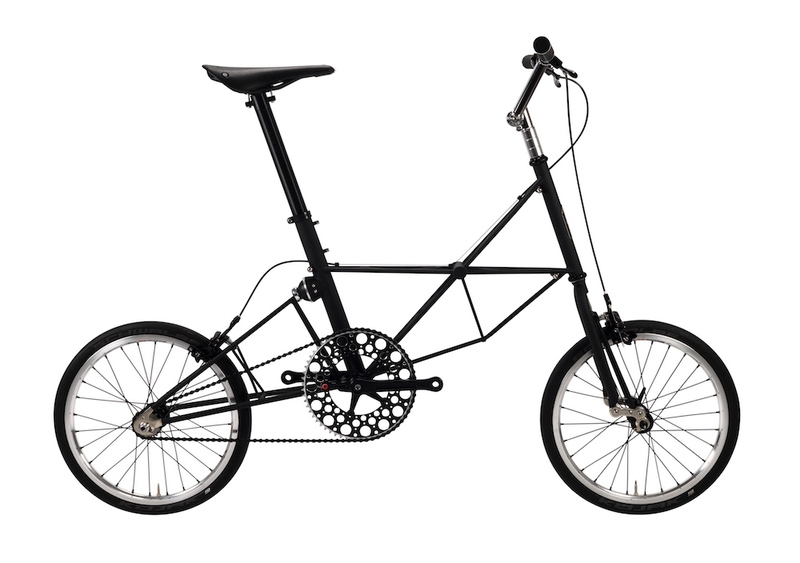 Moulton’s iconic X frame was designed with lightness, stiffness, speed and comfort in mind – perfect for use in an urban life. 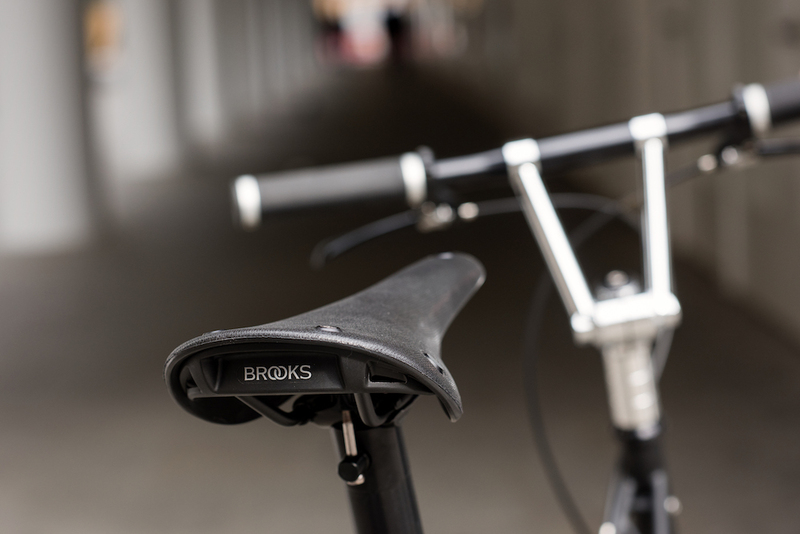 The angle of the seat tube gives a more relaxed position without heavily compromising efficiency, while the flat bars and higher cockpit encourage riders to sit up and take in the world around them. 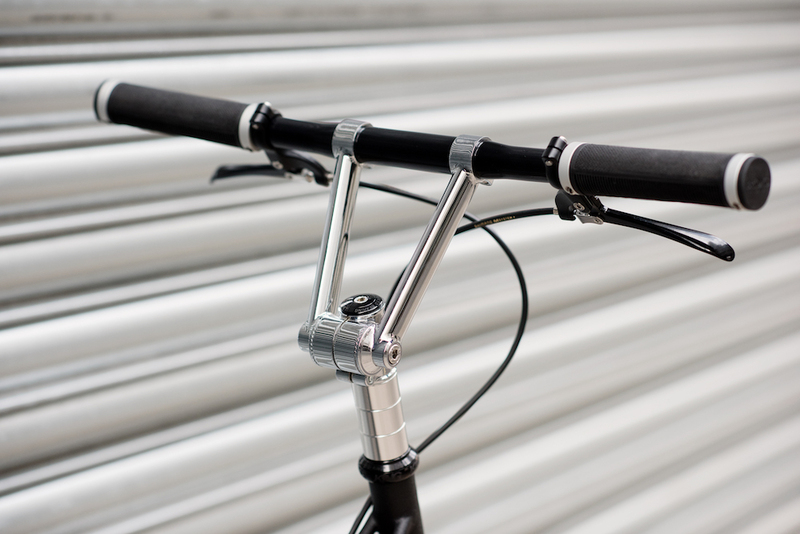 And then of course there’s the brand’s pioneering suspension system to soften the ride – definitely a first for us. 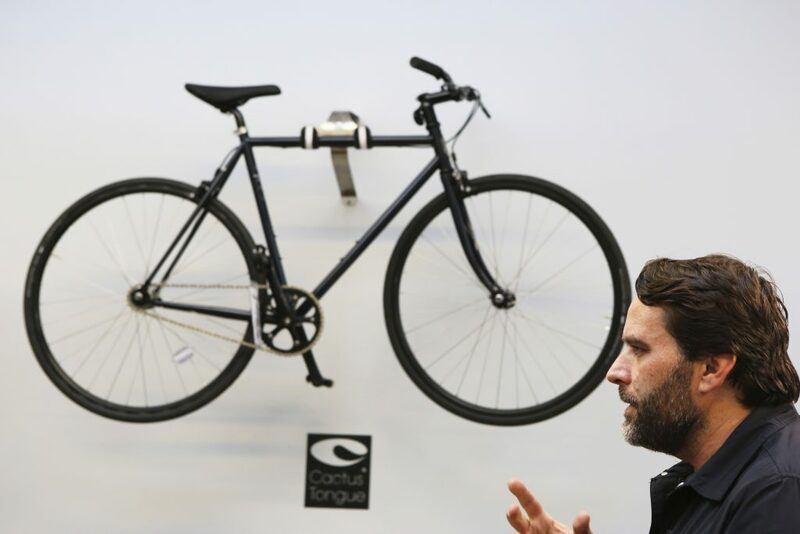 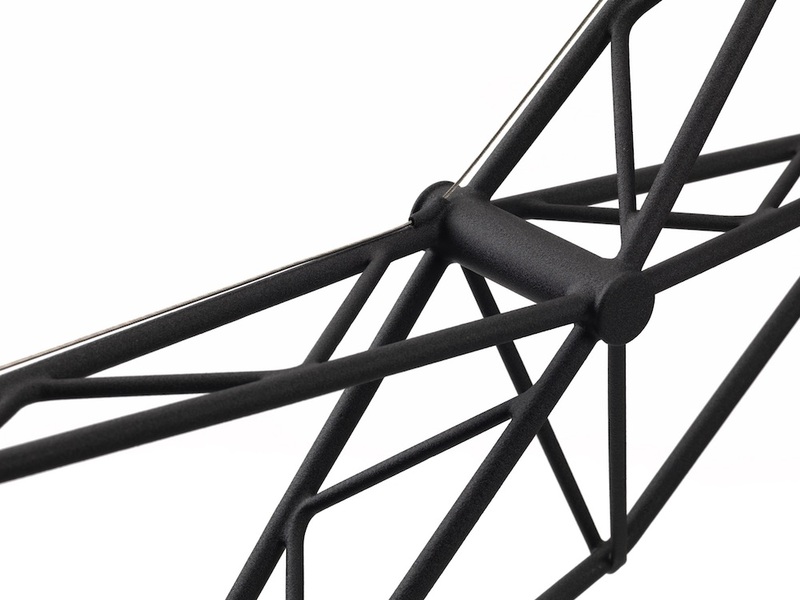 The frame is painted with our Drenched Black finish, a super-tough industrial powder coat that is designed to withstand virtually anything that can be thrown at a bicycle. 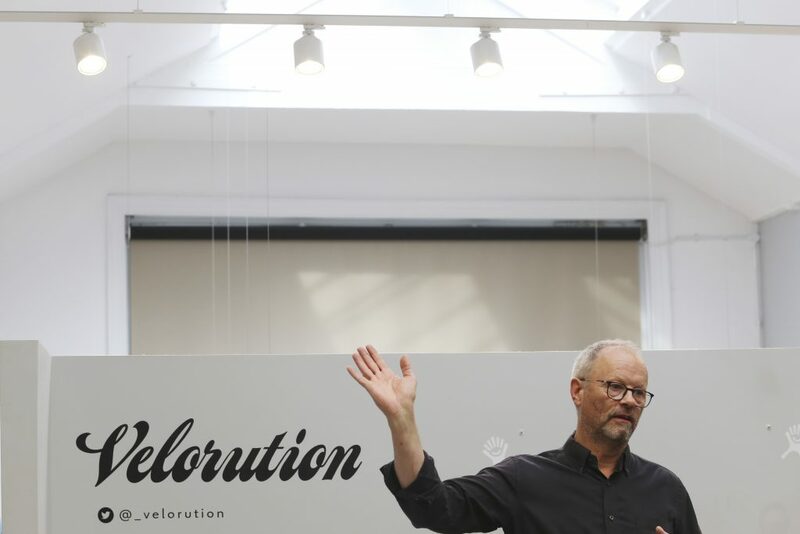 Originally conceived as a coating for our winter training bikes, Drenched has a raised, textured effect – which really has to be touched to be appreciated. 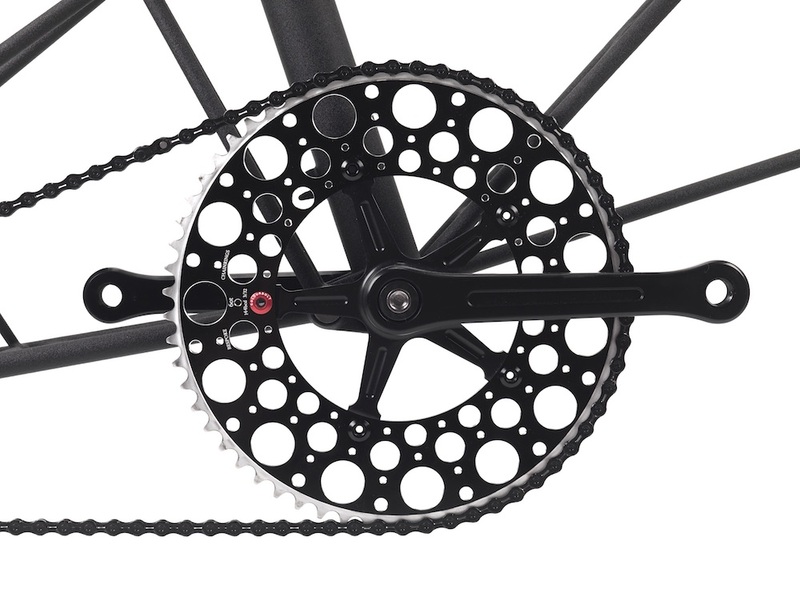 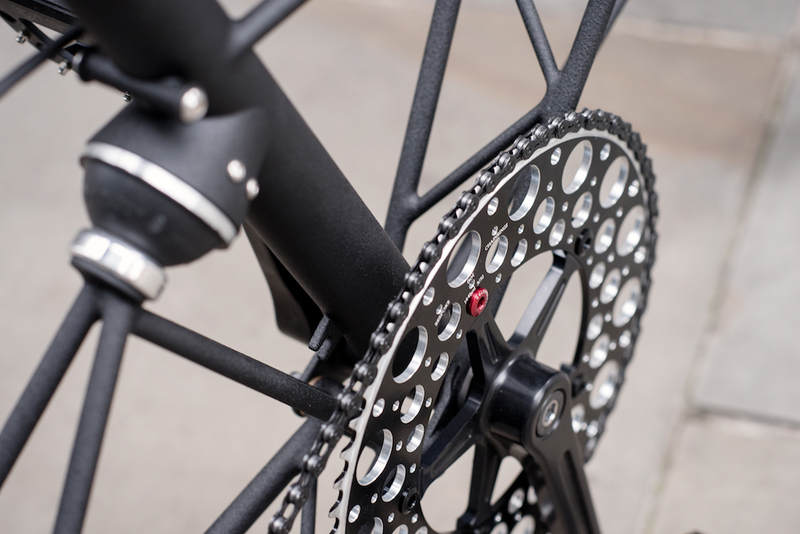 The rear of the bike was specially modified for the X-Black with 135mm axle spacing – allowing for the addition of a Chris King single-speed hub. 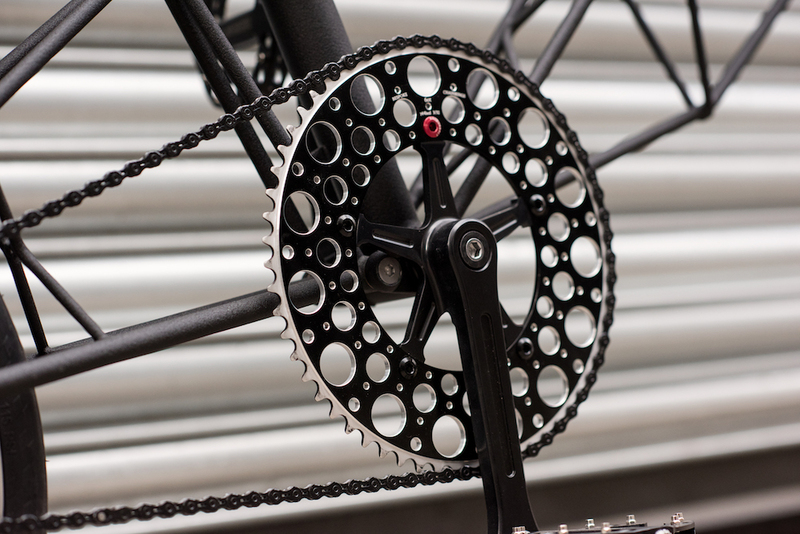 The use of Chris King hubs has been a hallmark of our single-speeds for a while so we were delighted to include one on this build. 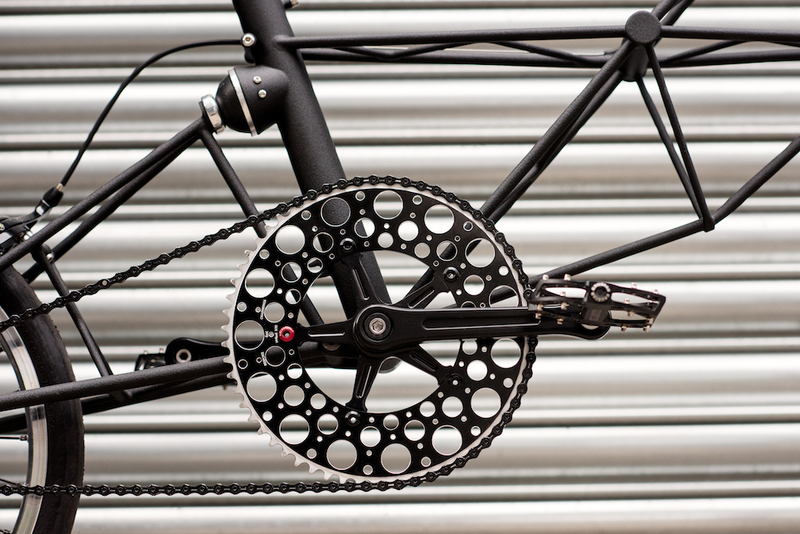 The stunning chainring on the X-Black is a Bespoke Chainrings De Luna, with 60 teeth – providing plenty of zip when riding around the city. 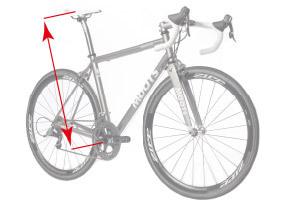 And of course, there’s a single coloured bolt, the definitive marker of a ColourBolt machine." 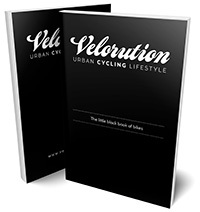 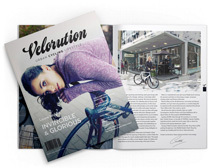 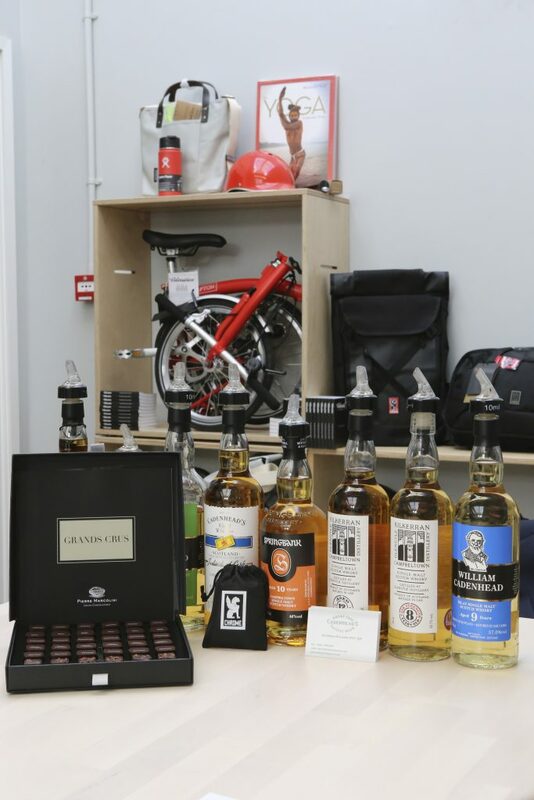 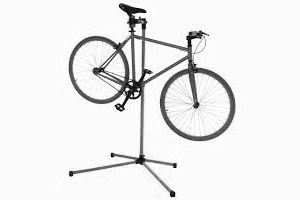 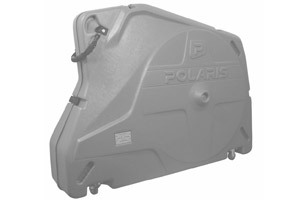 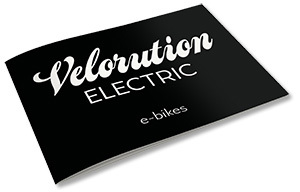 The bike can be preordered from our Velorution store. 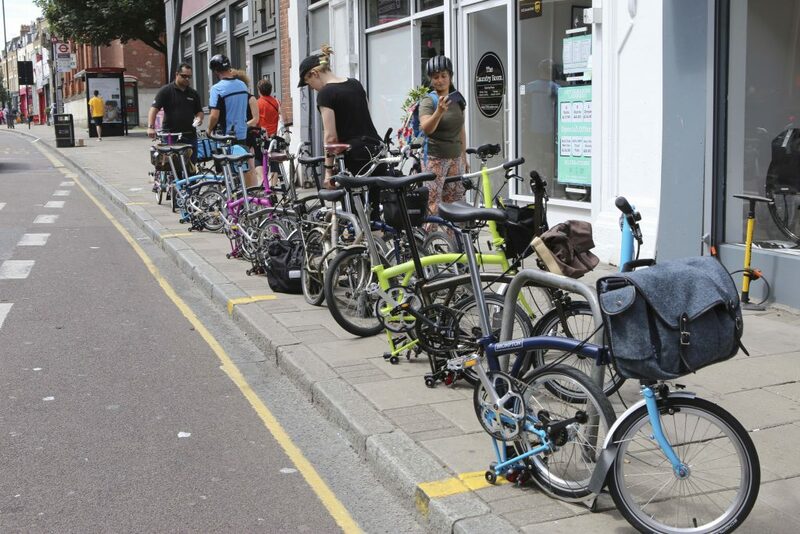 Read about it in The Guardian here and in an article by Velo City Girl here. 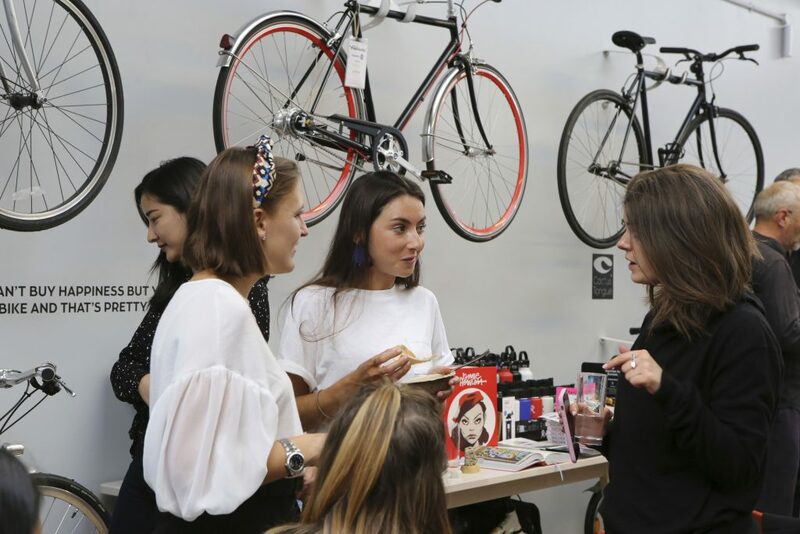 This entry was posted in News, Events on 11th December 2018 by Maud de Rohan Willner. 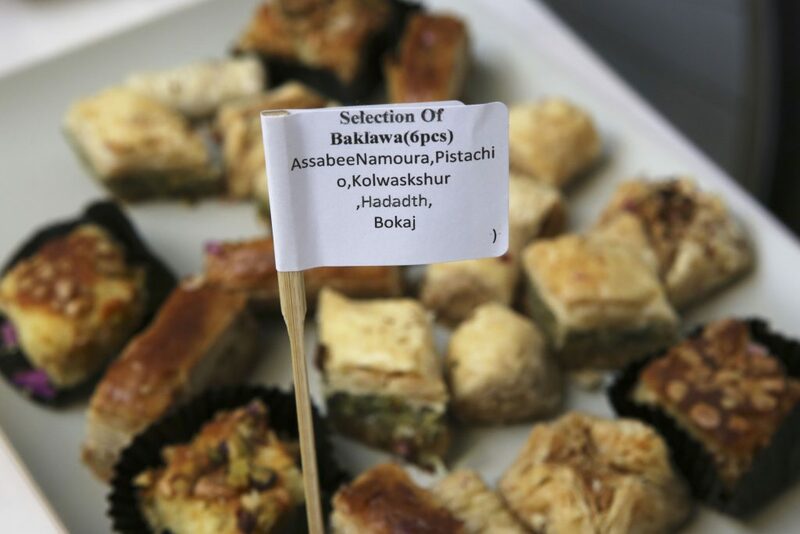 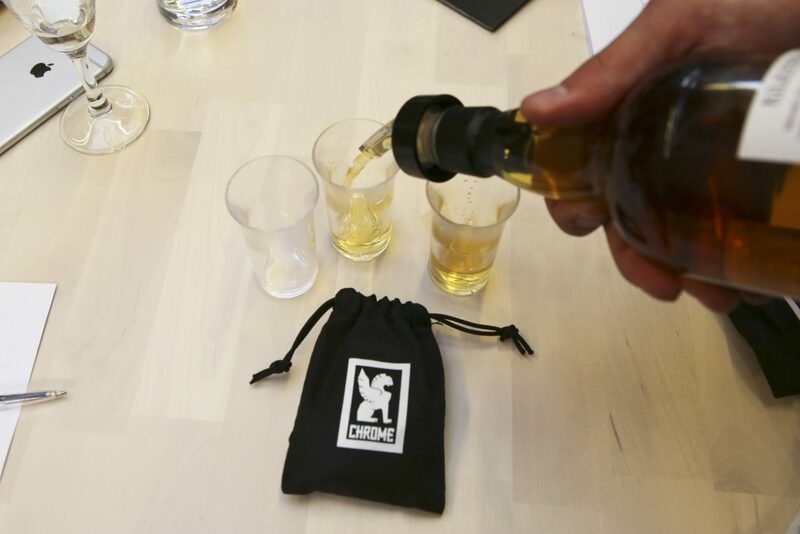 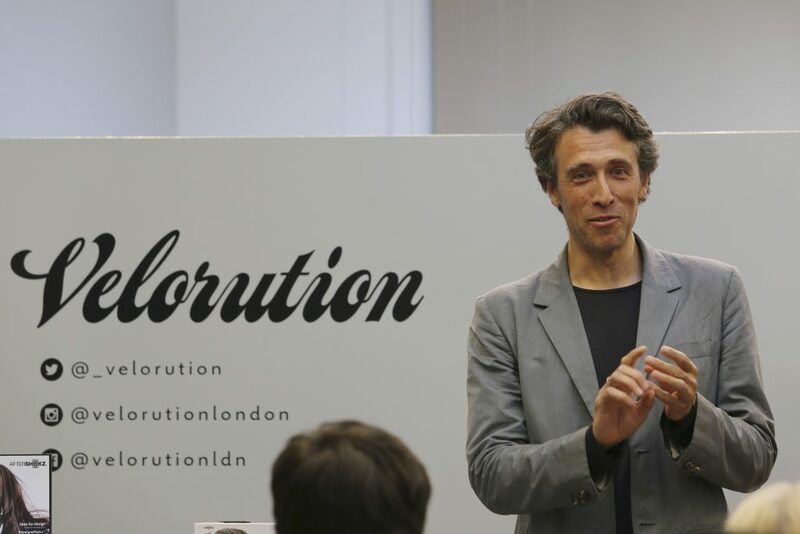 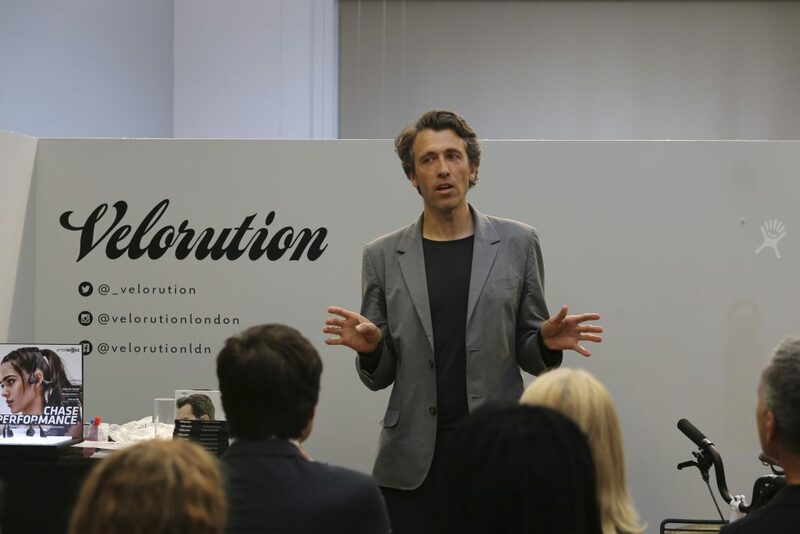 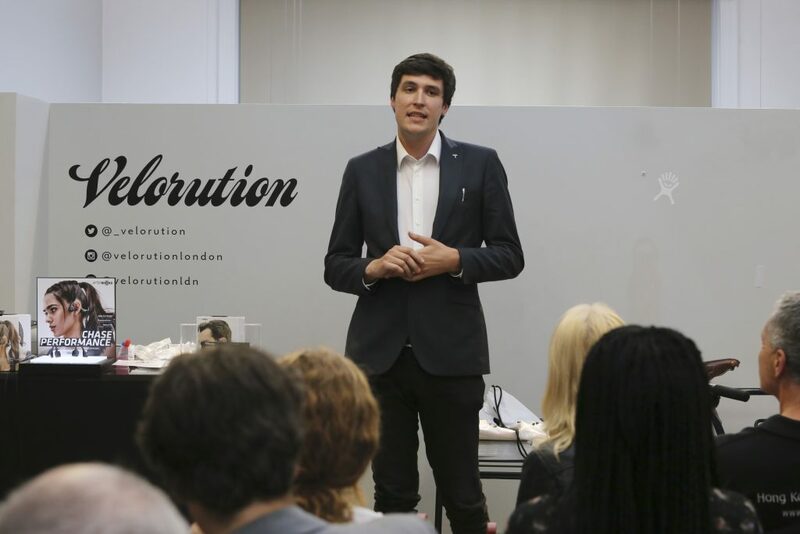 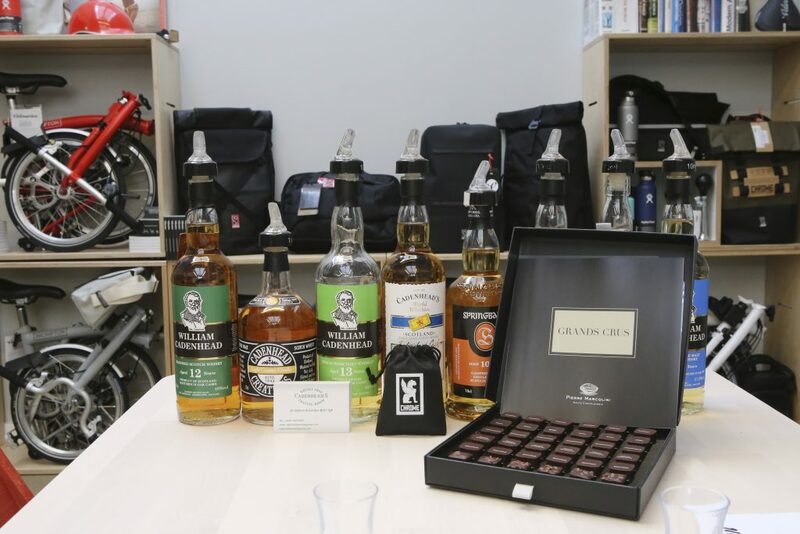 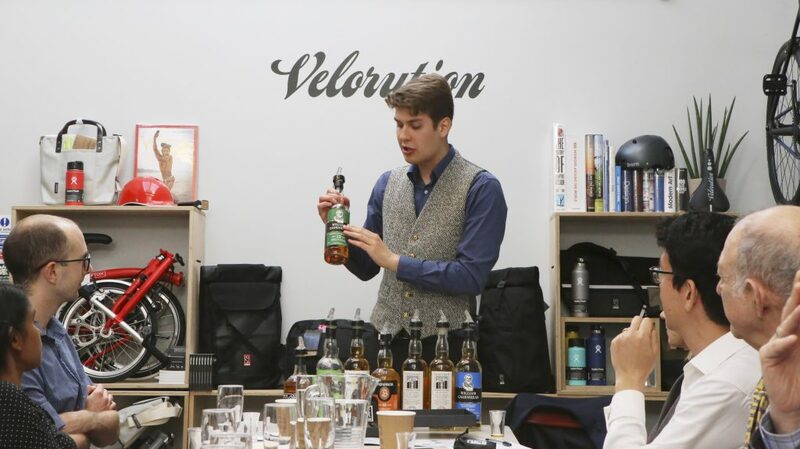 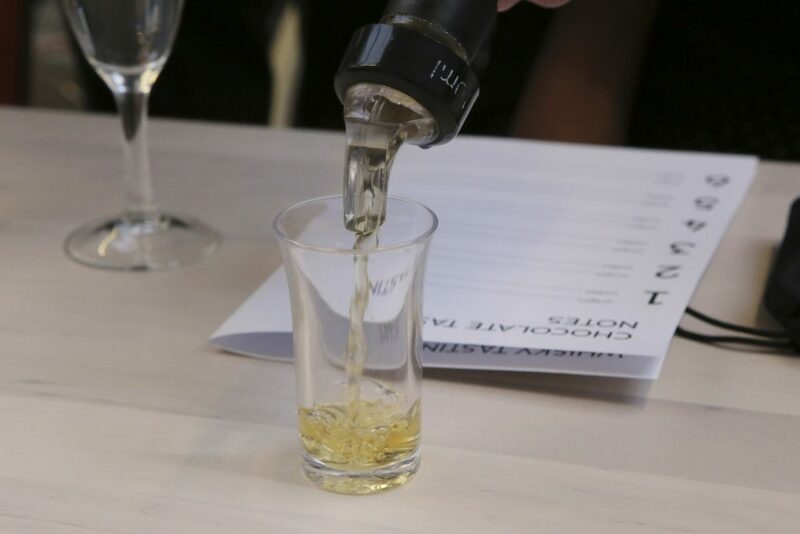 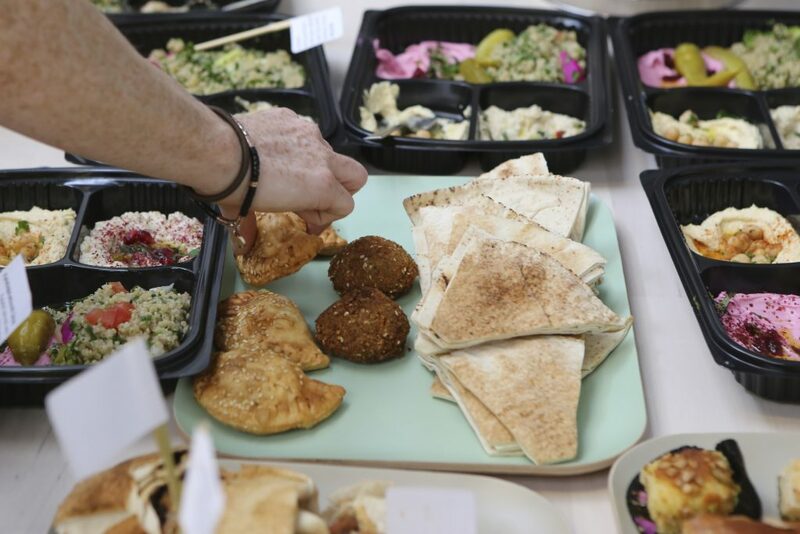 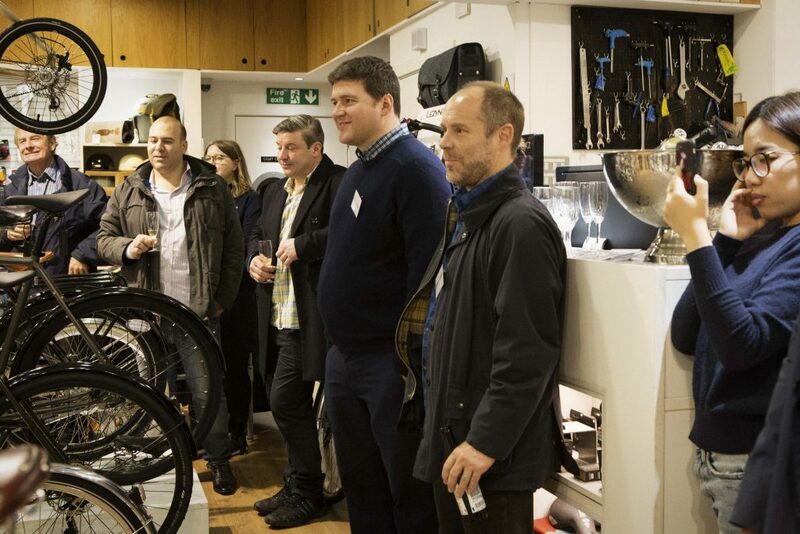 On Thursday 29th November we launched our crowdfunding campaign with Seedrs and opened up to the public. 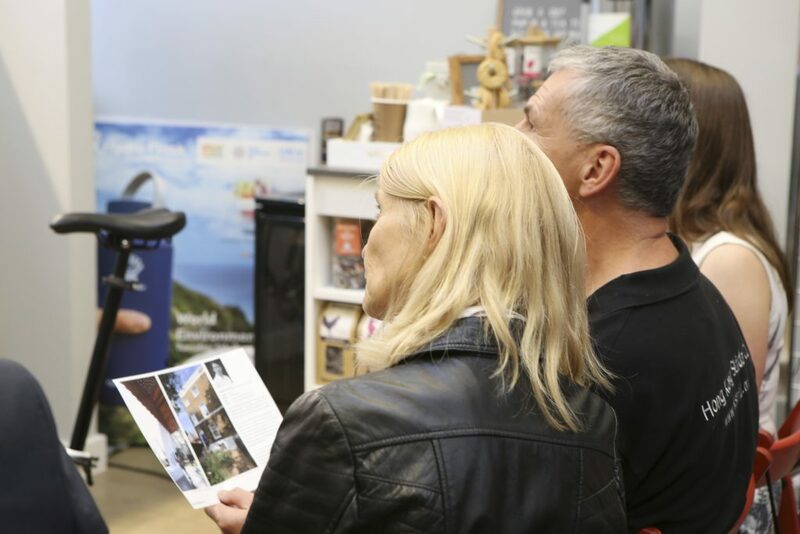 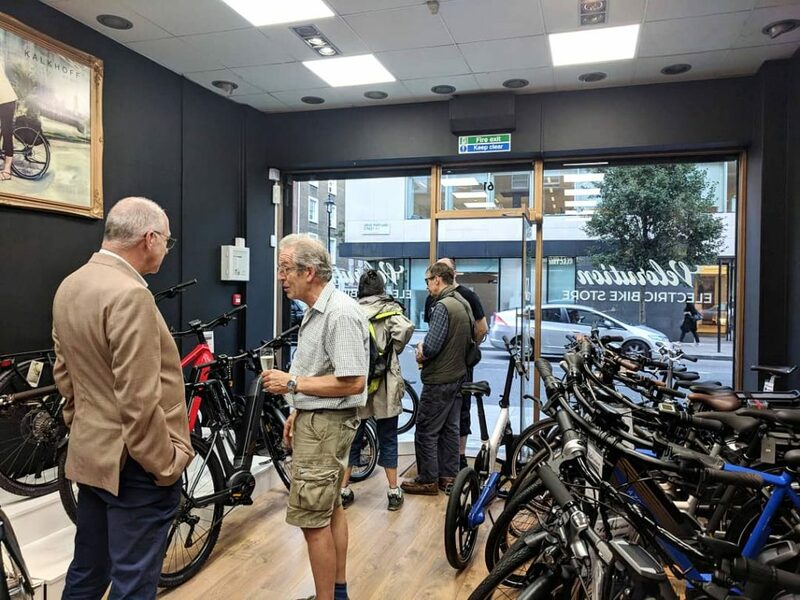 Since our crowdfunding in 2016, we have opened 3 permanent stores and have already turned over £500k this year from those three stores alone. 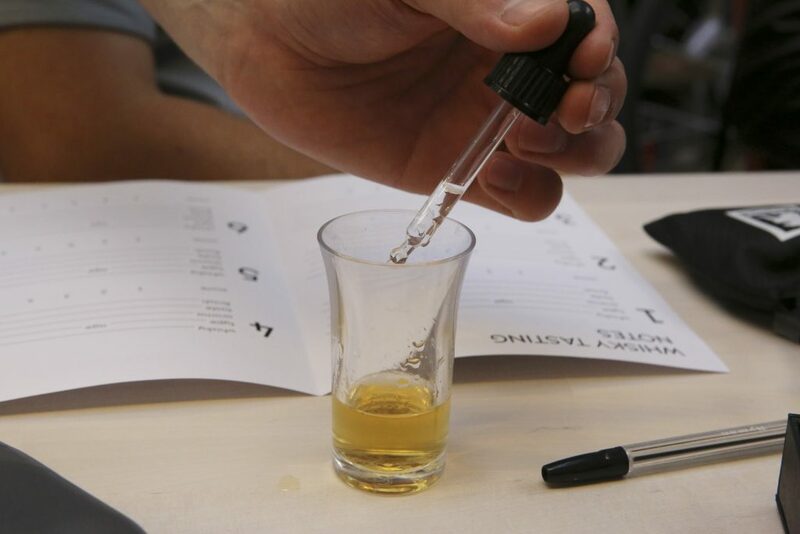 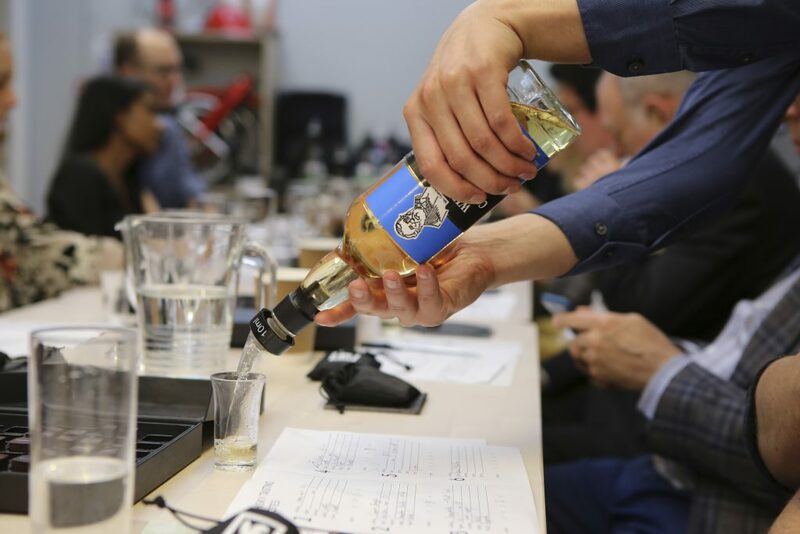 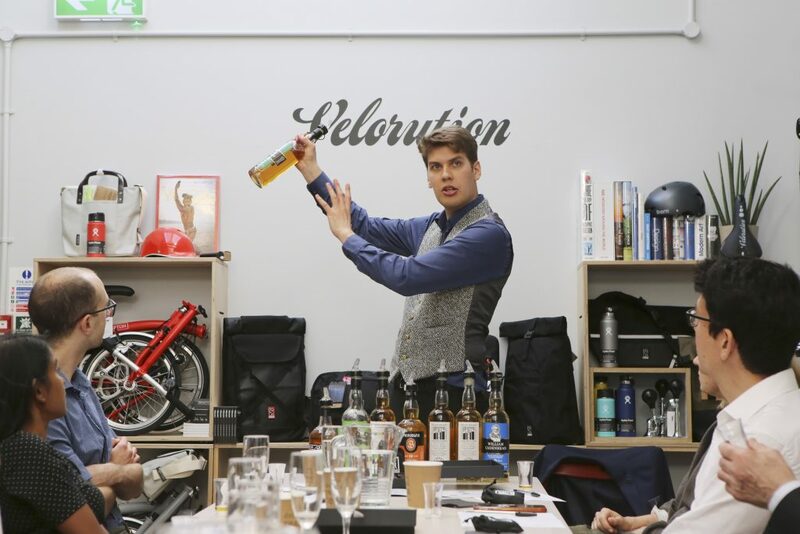 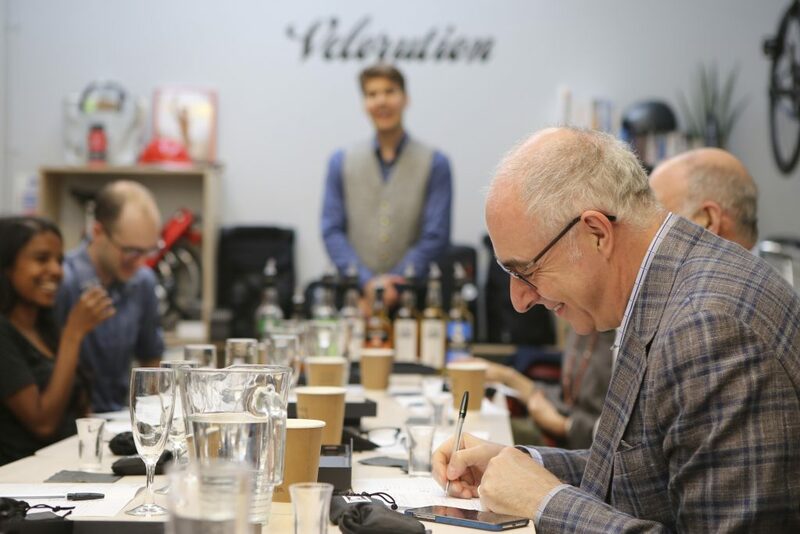 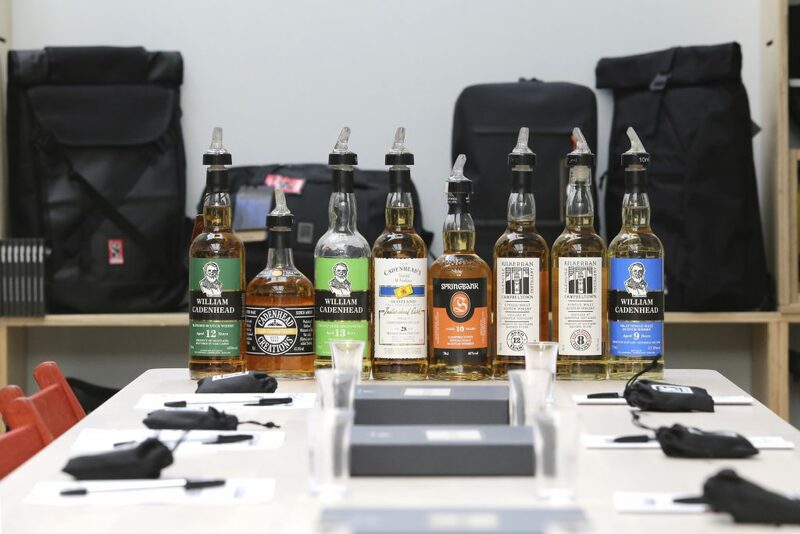 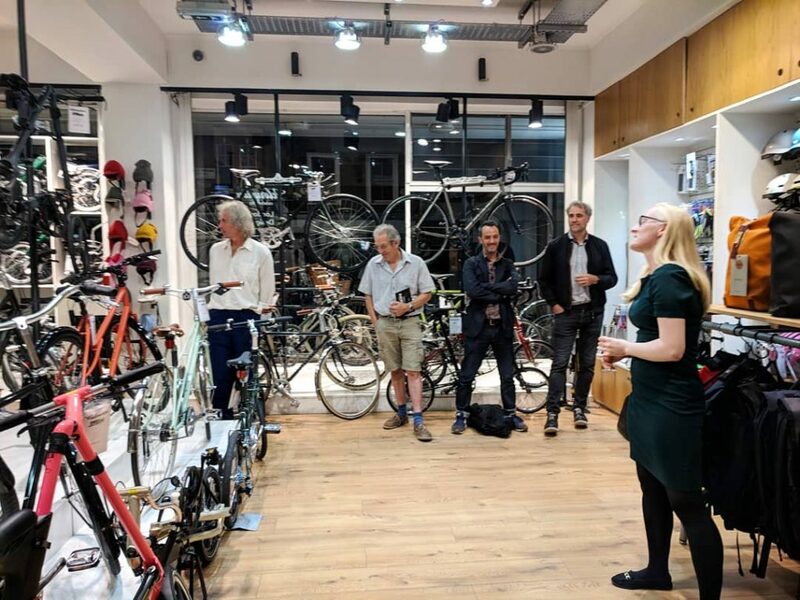 This entry was posted in Crowdfunding, News, Events and tagged crowdfunding, seedrs, event on 11th December 2018 by Maud de Rohan Willner. 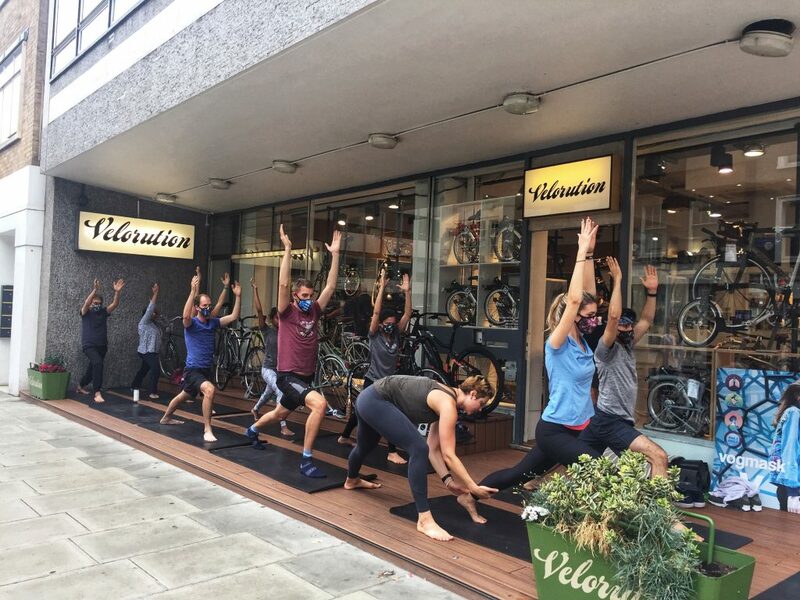 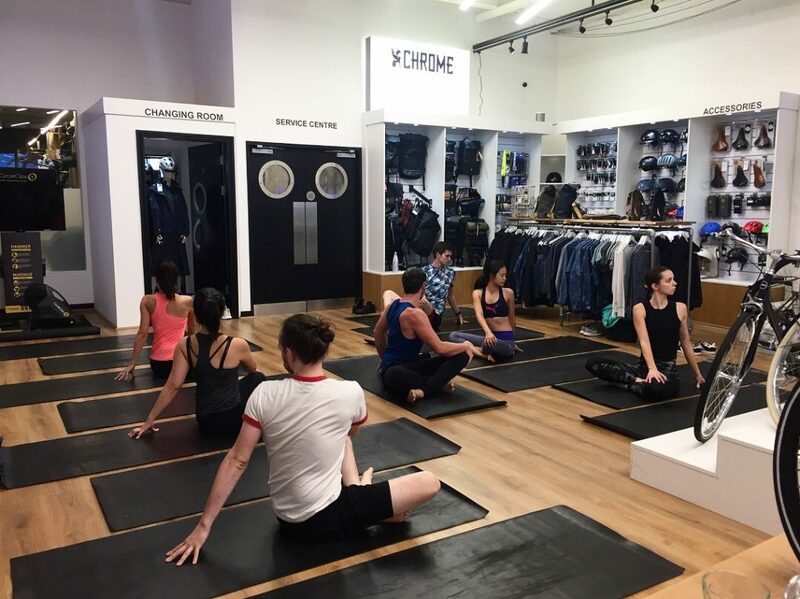 A yoga class focused around the cyclist body with lululemon ambassadors at our Velorution stores. 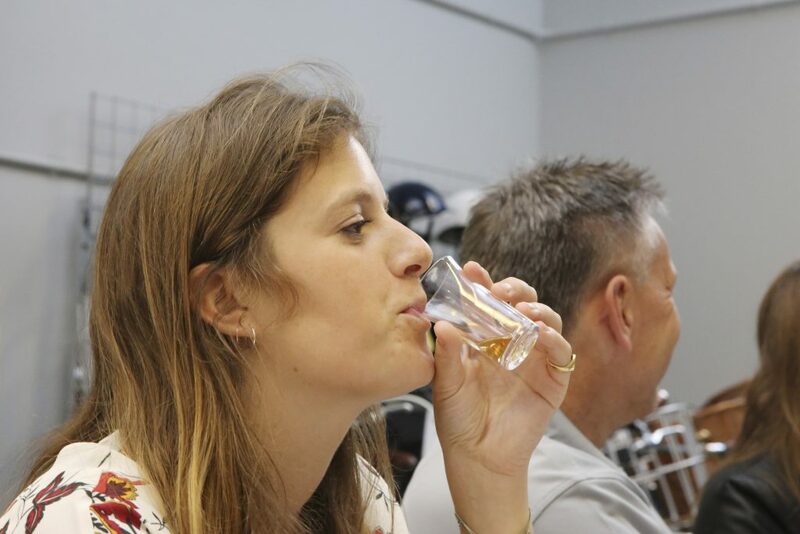 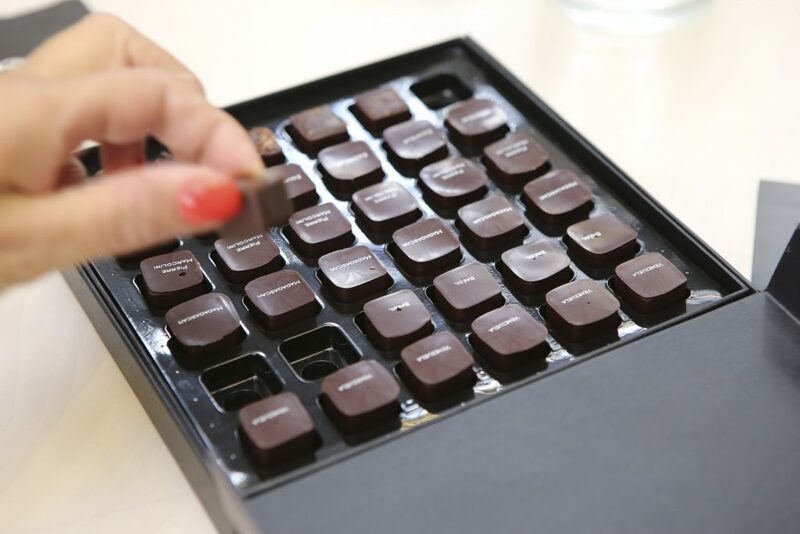 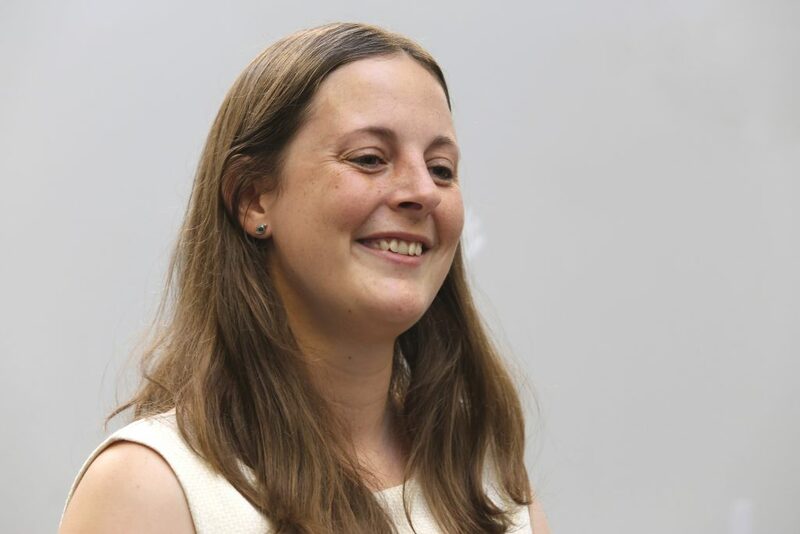 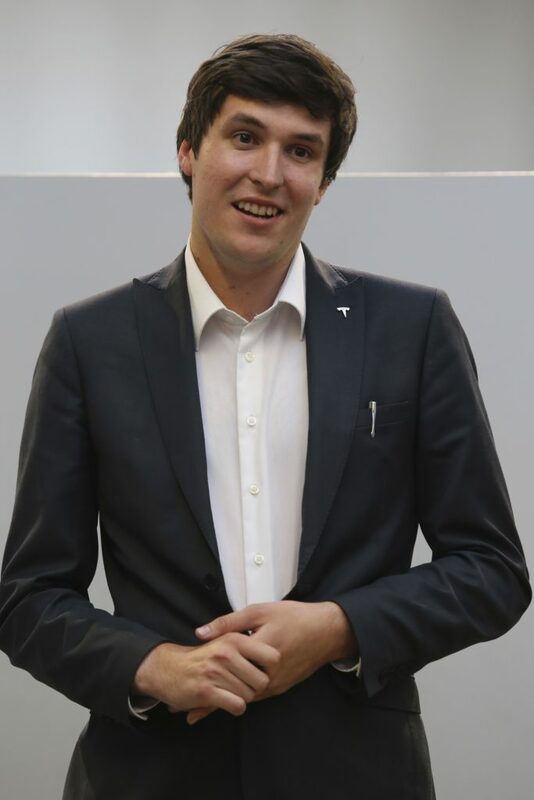 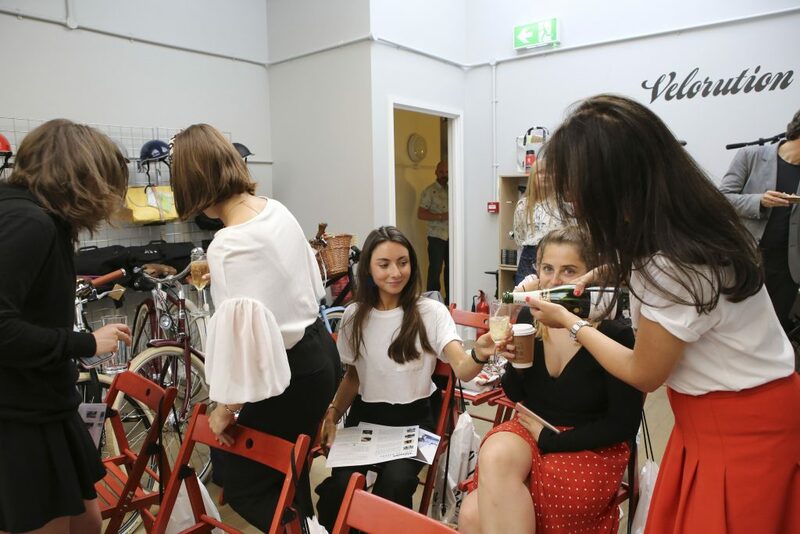 This entry was posted in News, Events on 2nd October 2018 by Maud de Rohan Willner. 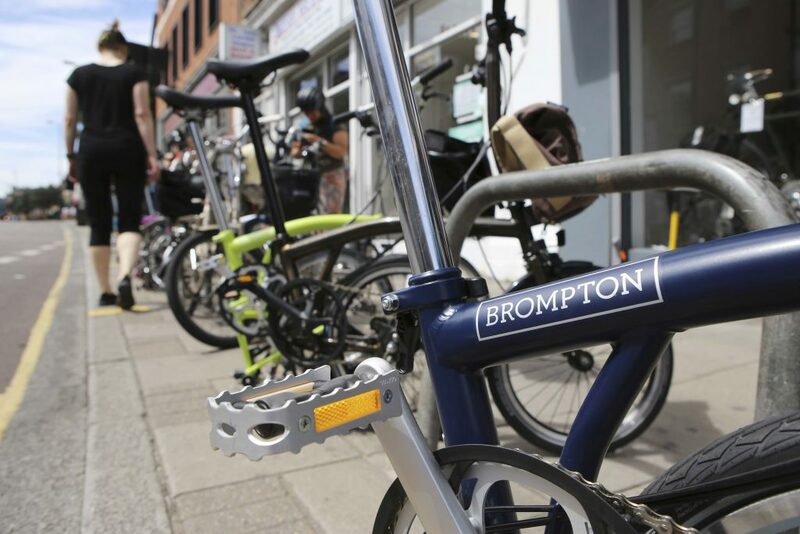 Wetherby Prep is a local school for boys aged 2 1/2 to 18 in Marylebone. 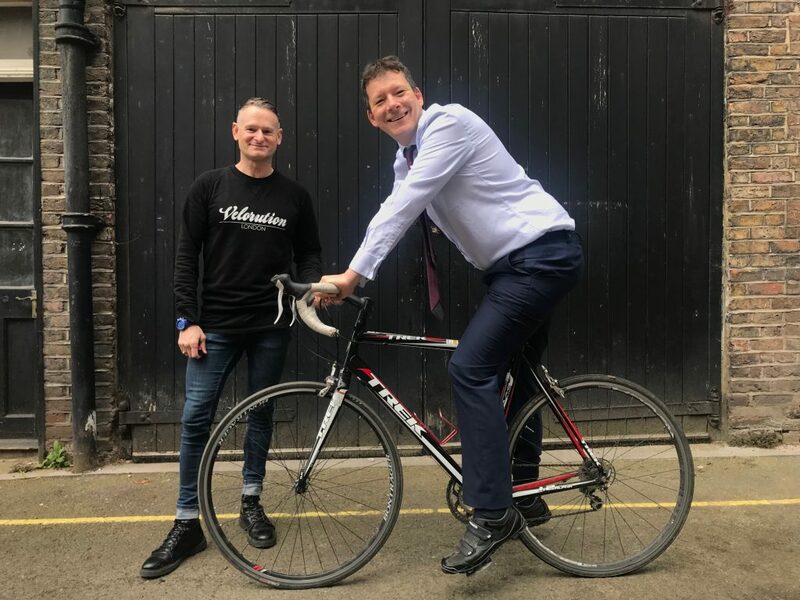 They have put together a team of 20 riders (parents from the school and headmaster Nick Baker) who will cycle from London to Paris on Friday 29th June 2018, which Velorution are sponsoring. 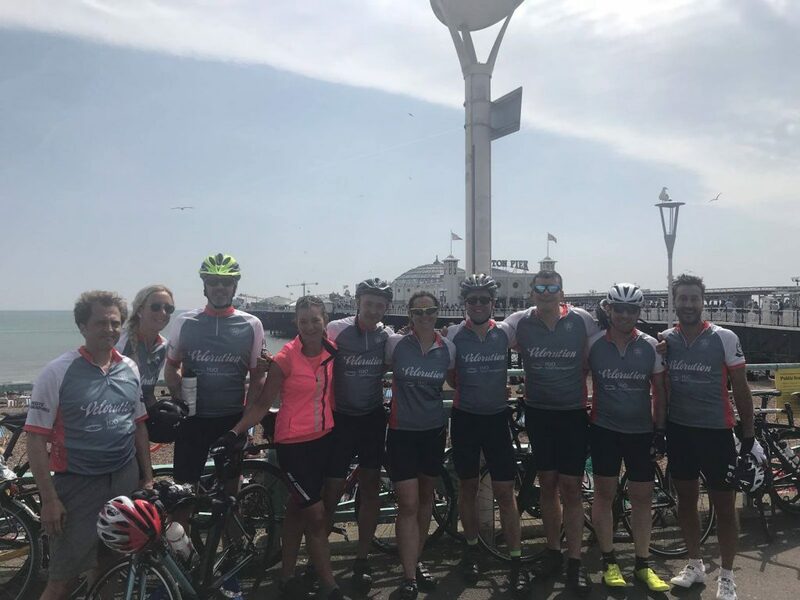 They will ride in aid for the following charities: Rwanda Aid (www.rwanda-aid.org), Auditory Verbal UK (www.avuk.org) and their school bursary fund. 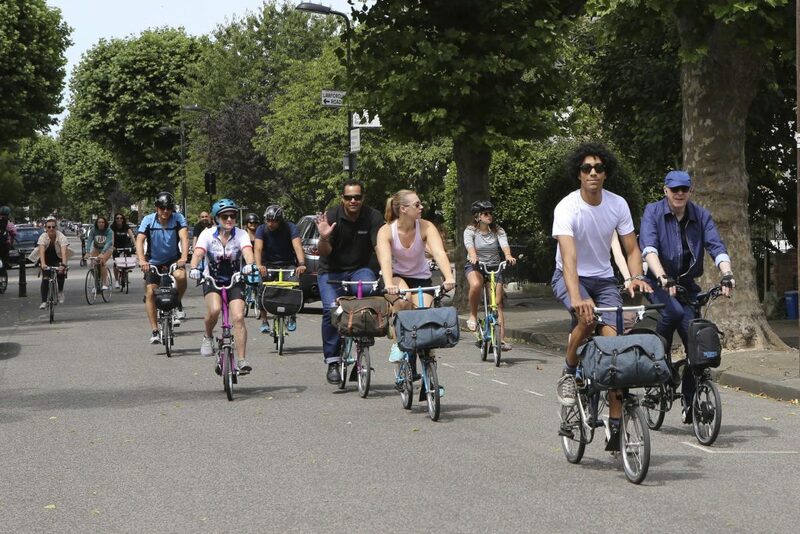 "Training is well underway for the Parents’ Association London to Paris bike ride. 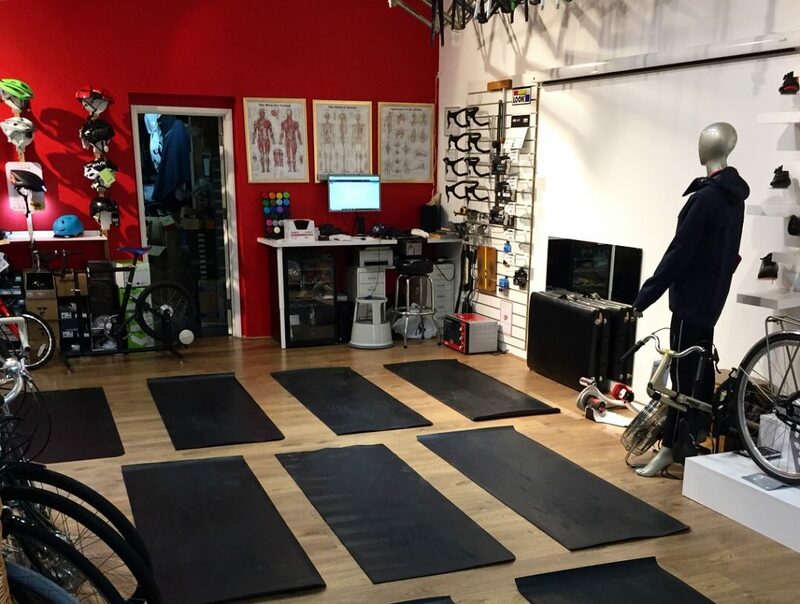 A brave team of 20 members of the Wetherby community have starting dusting off their bikes and pumping up their tyres in preparation." 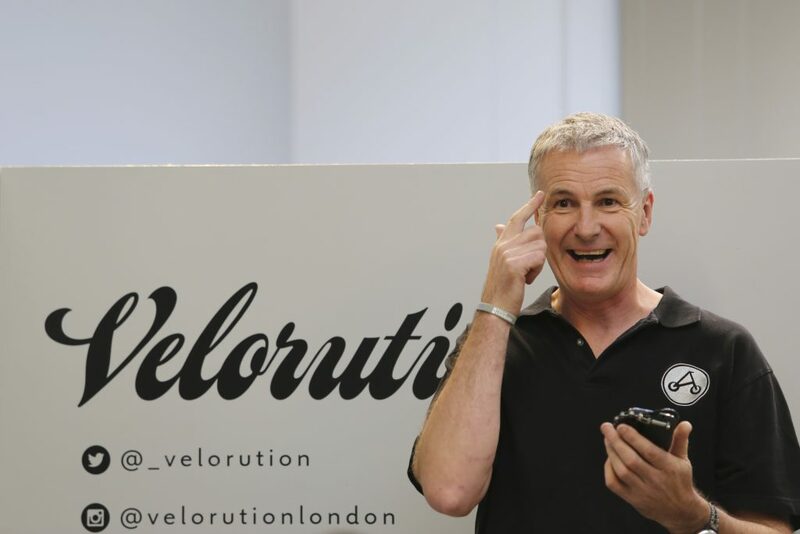 Sean from Velorution with Wetherby Prep headmaster, Nick Baker. 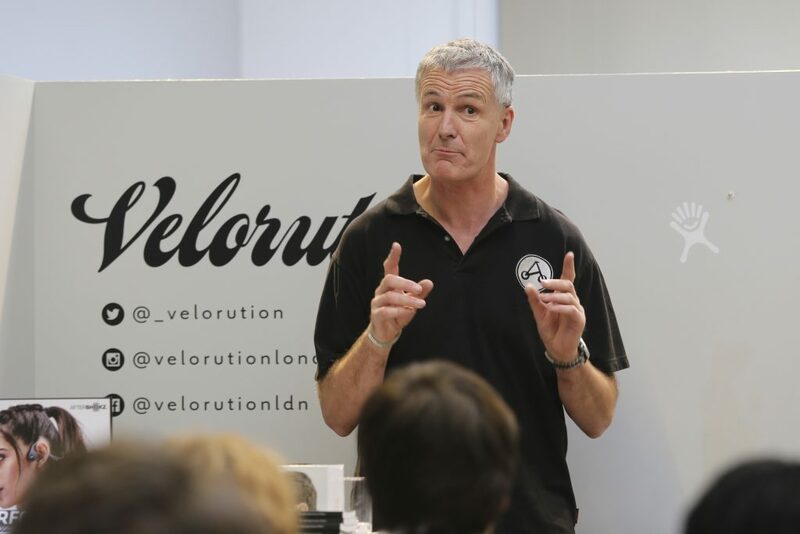 Sean gave a briefing and guidance about bike positioning and endurance comfort, for the riders to prepare before the big day. 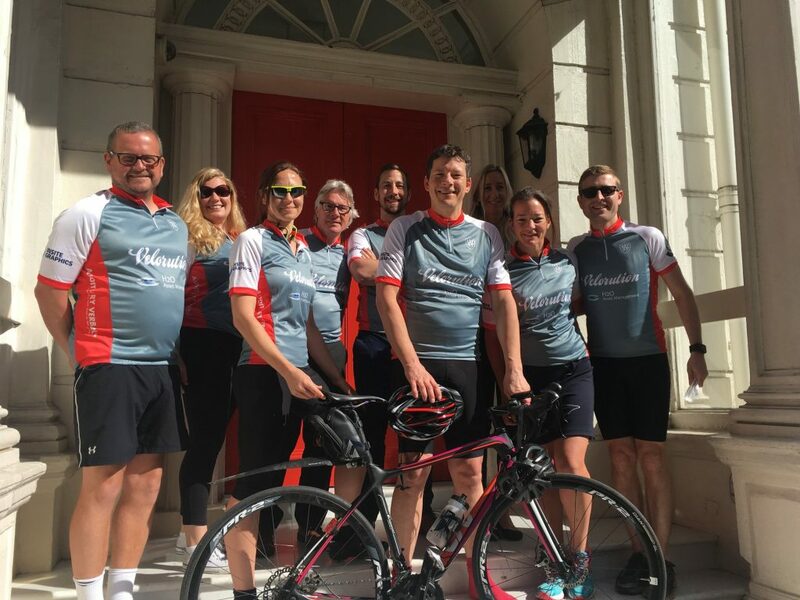 All the riders with the Velorution sponsored jersey in front of the well known Wetherby Prep "red door" entrance. 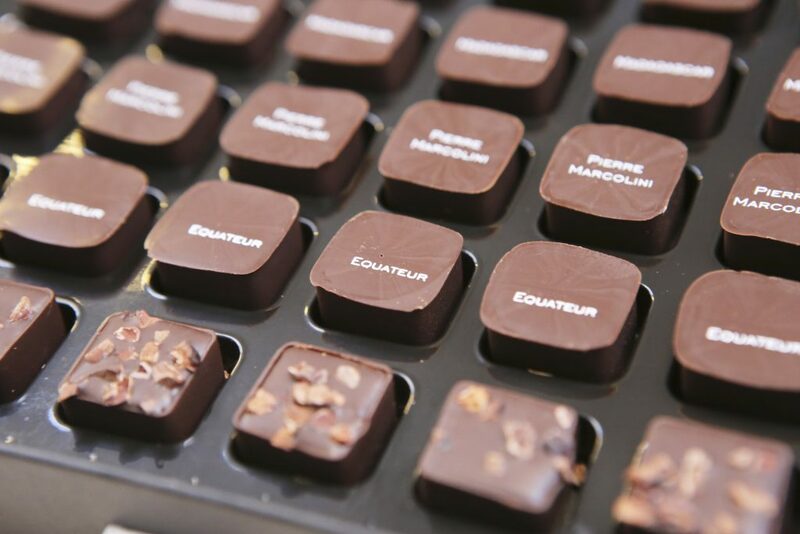 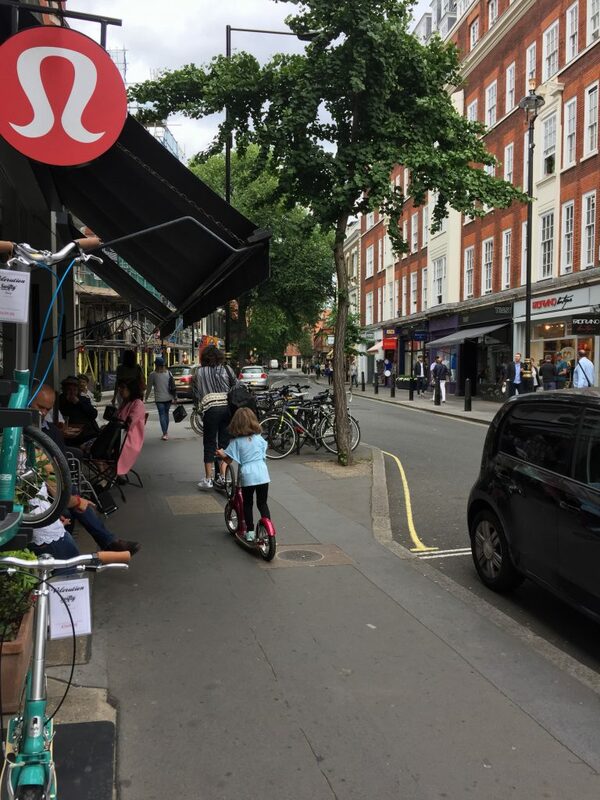 This entry was posted in News on 27th June 2018 by Maud de Rohan Willner. 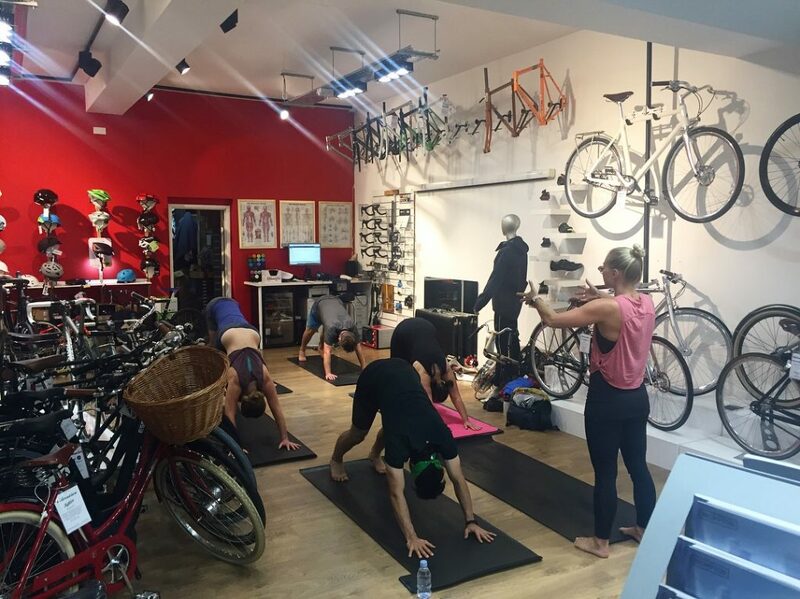 Cycling and Yoga is the perfect combination? 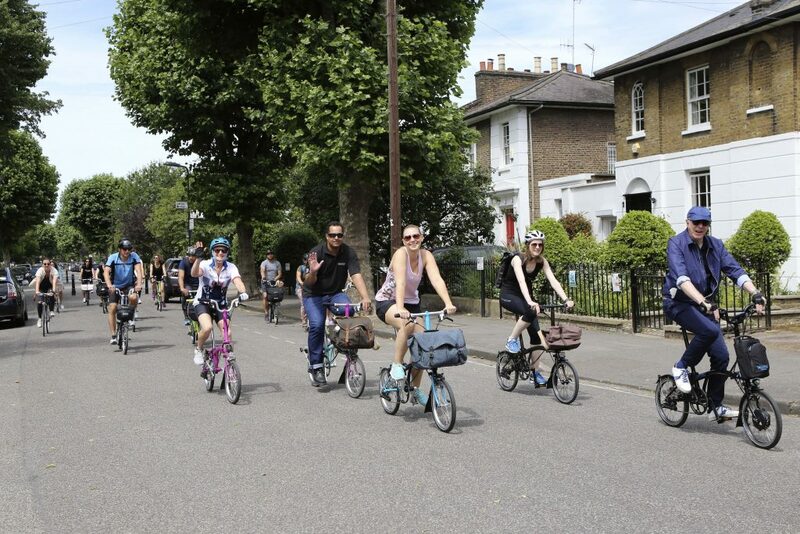 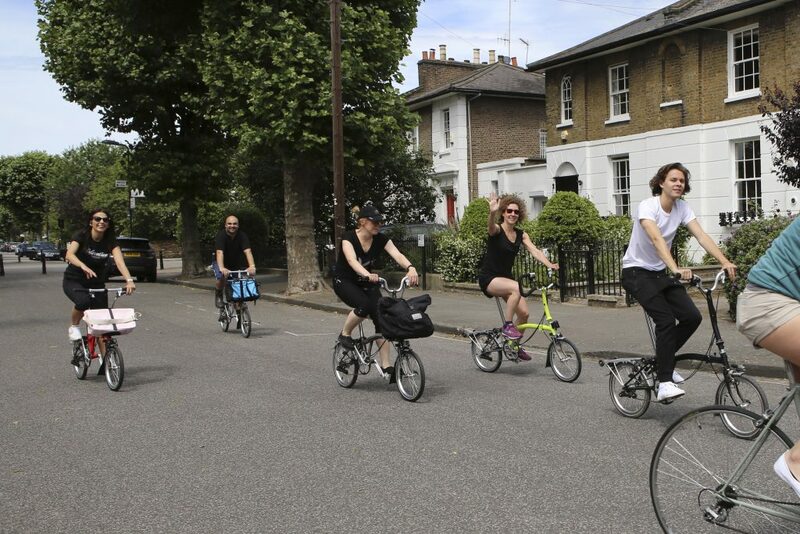 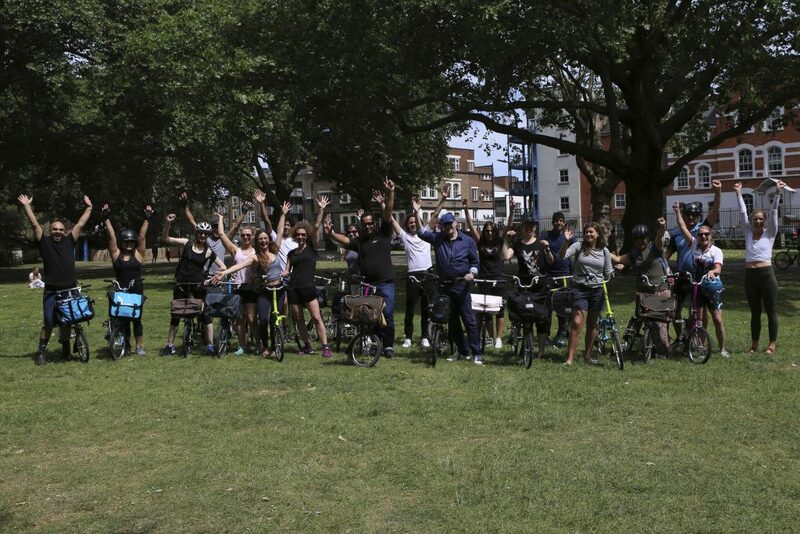 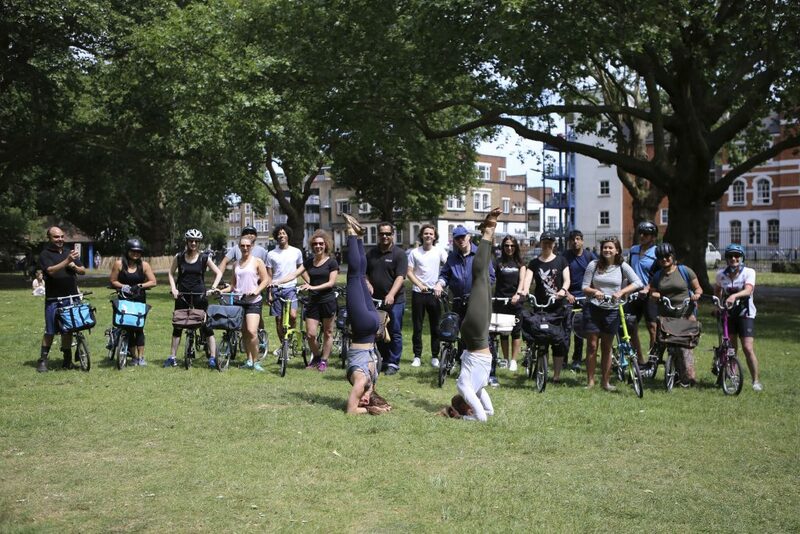 We hosted a fun ride with Brompton Bicycle to London Fields Park, as part of our Velorution Pop Up month with lululemon Marylebone. 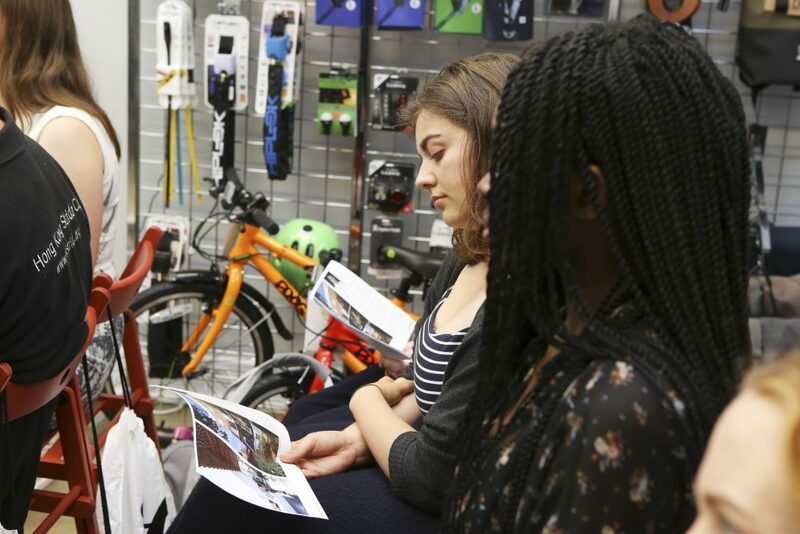 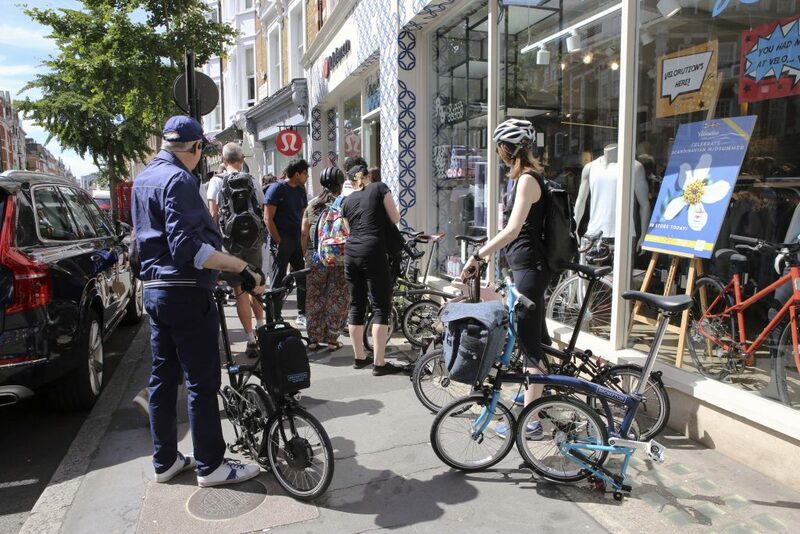 Good for both mind and body the Velorution x Brompton group ride took a relaxed route from West to East London, passing by our Islington and Hackney stores. 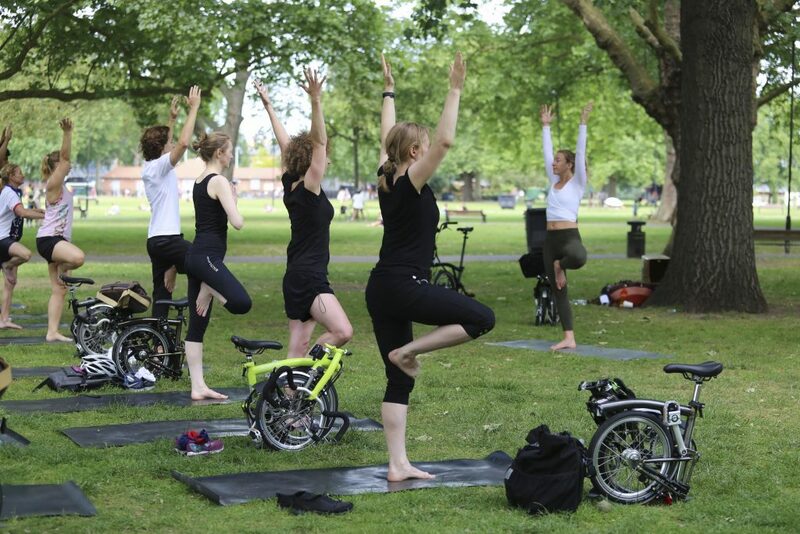 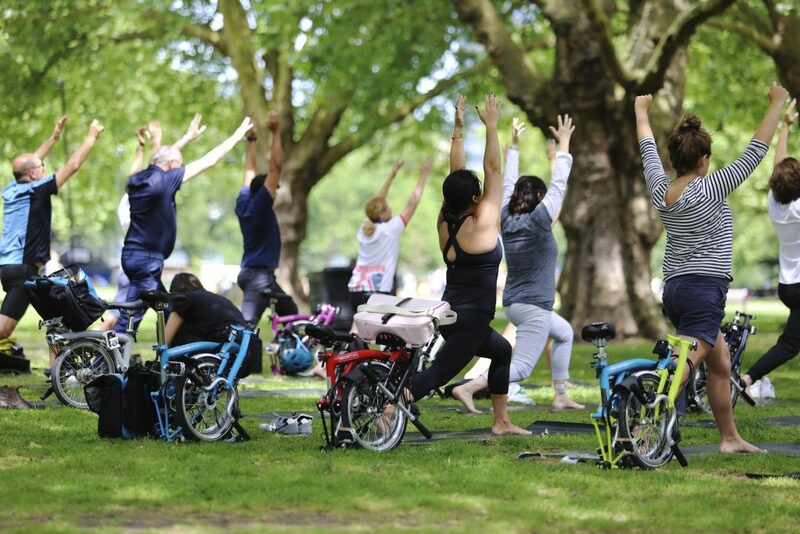 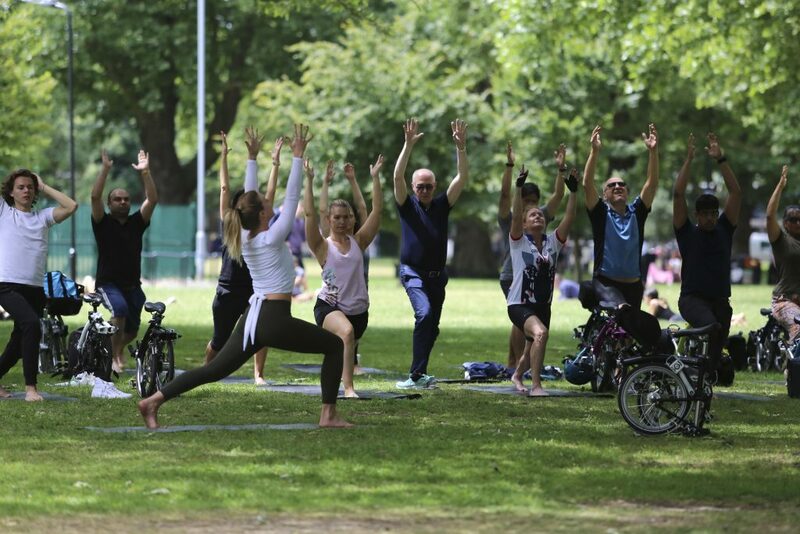 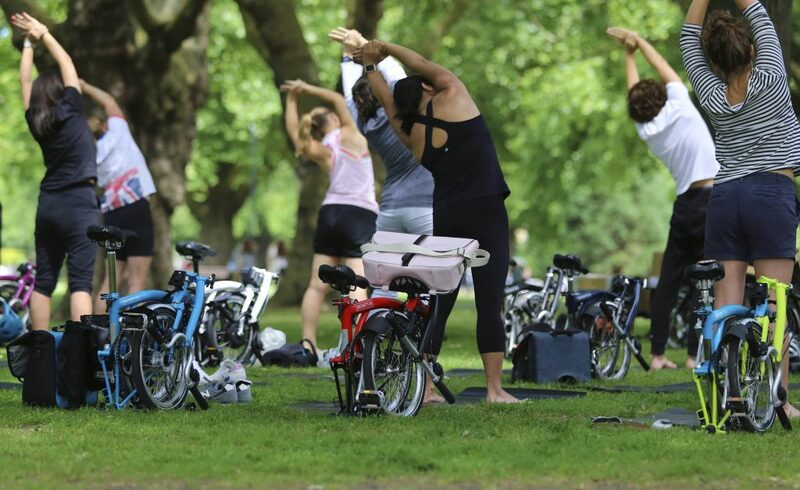 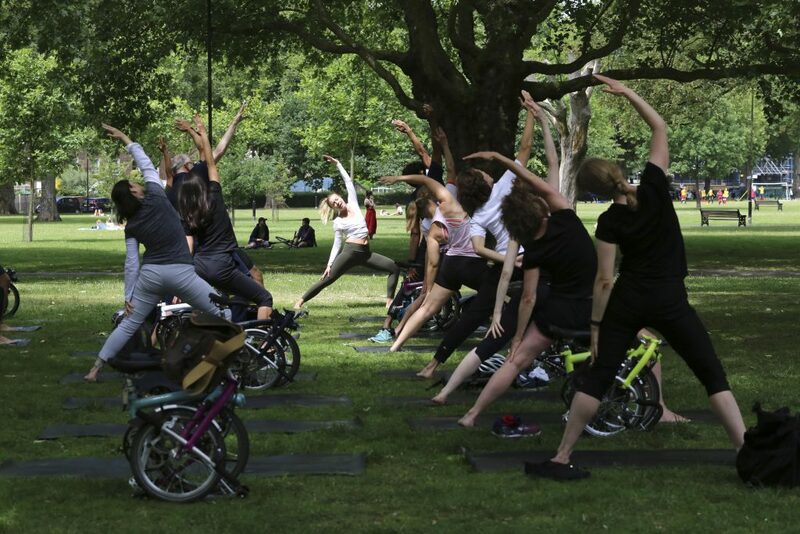 The ride was followed by some lululemon Yoga in London Fields park to stretch out the muscles that get tight during a bike ride with a short, relaxing yoga routine. 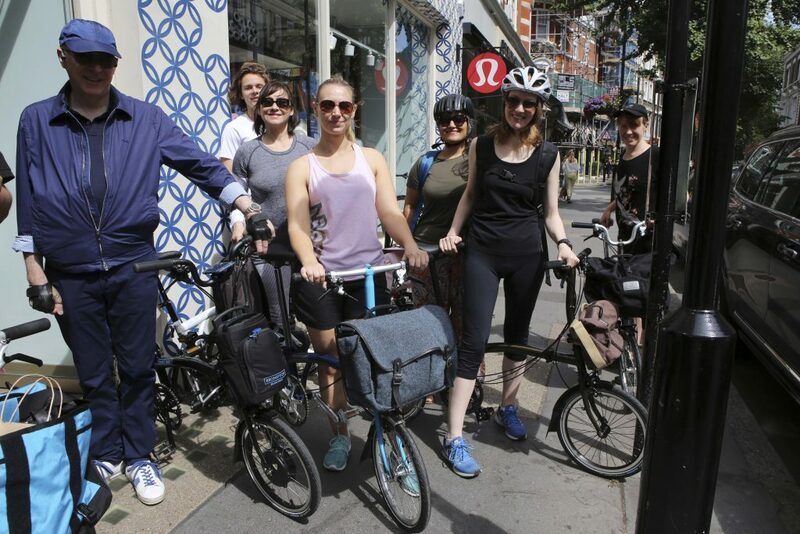 The riders then had a wonderful lunch at Wringer & Mangle before heading back to the lululemon store in Marylebone. 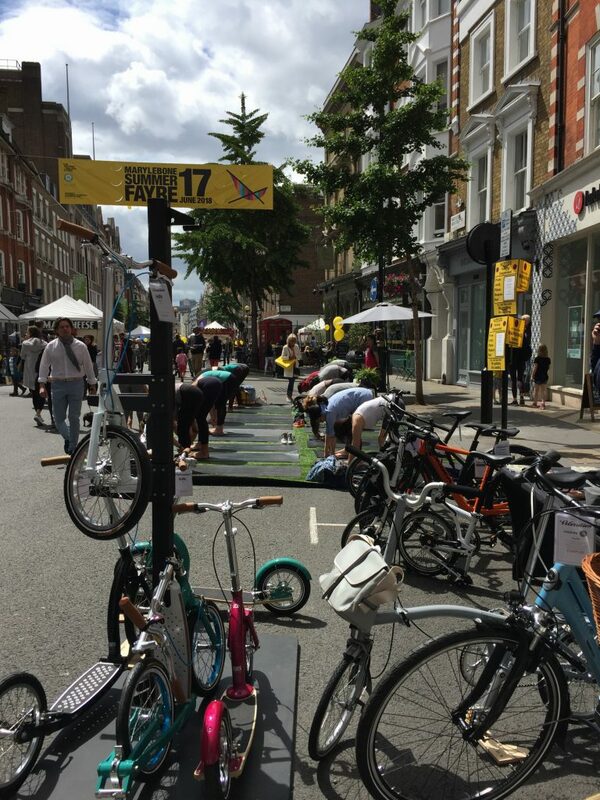 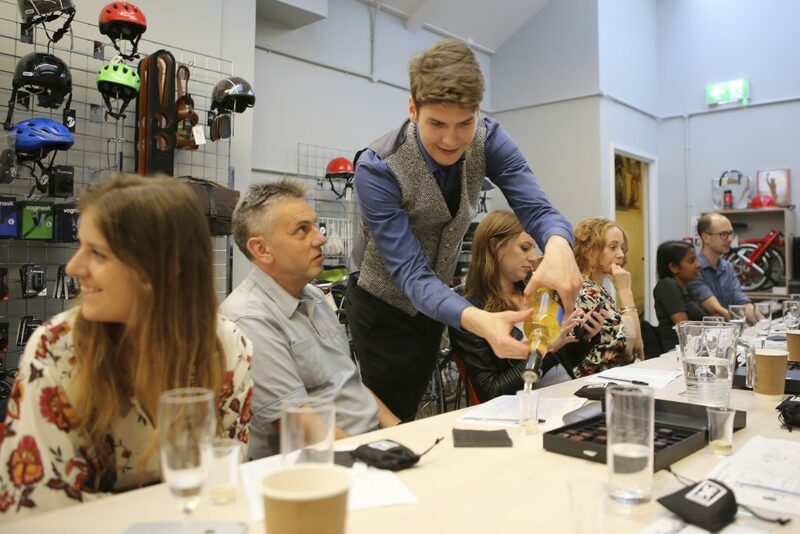 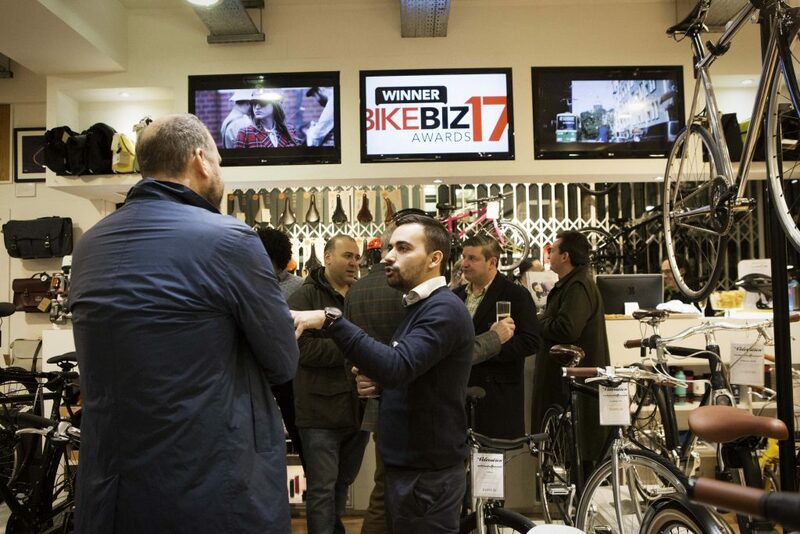 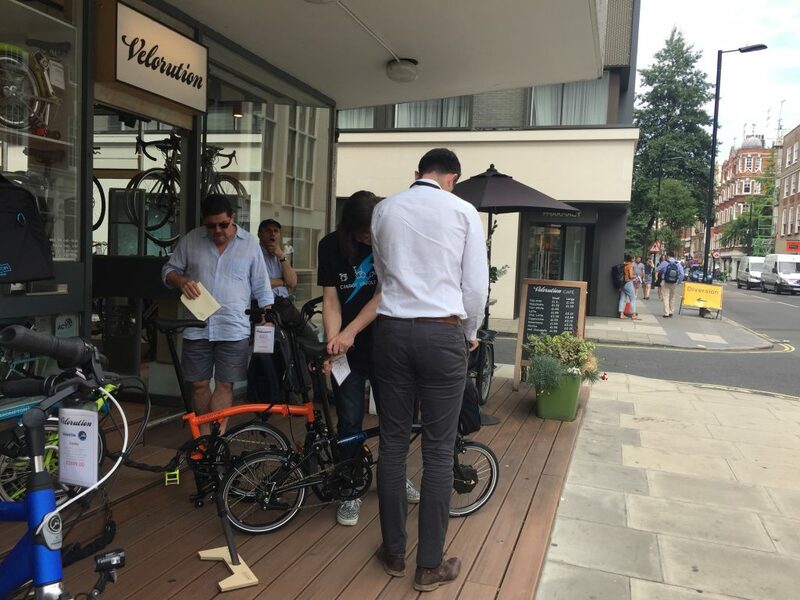 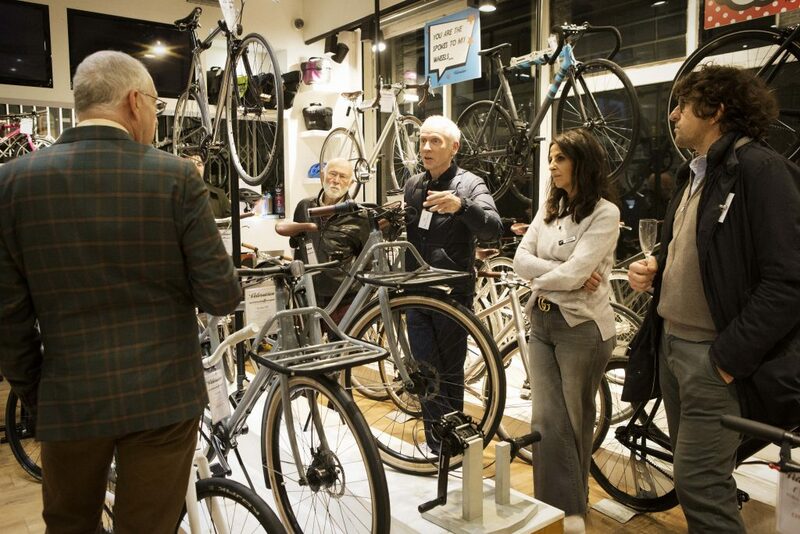 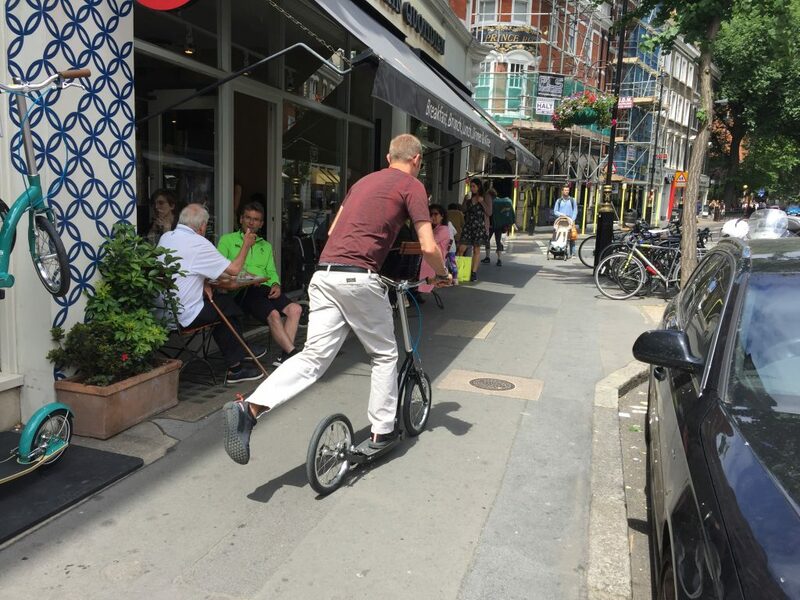 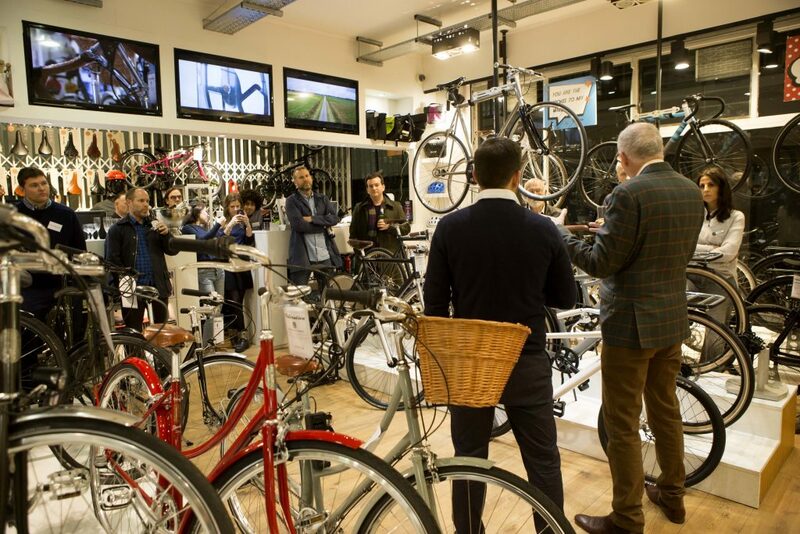 This was a great chance for people to try out a Brompton Bicycle if they are thinking or purchasing one, for longer than a simple test ride! 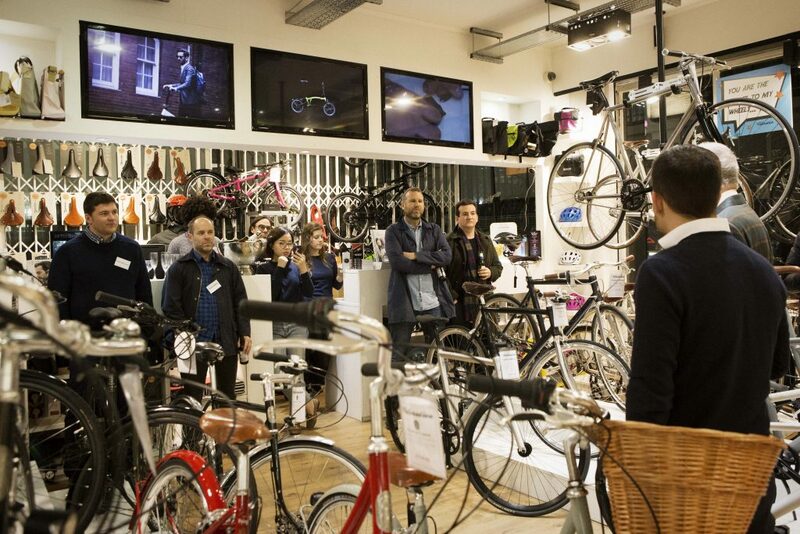 Keep an eye on our events as we will do more of these very soon. 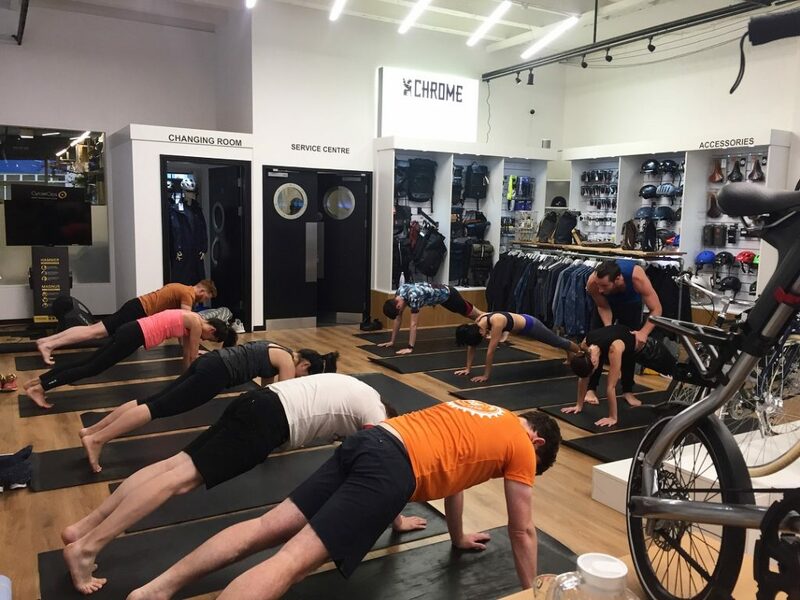 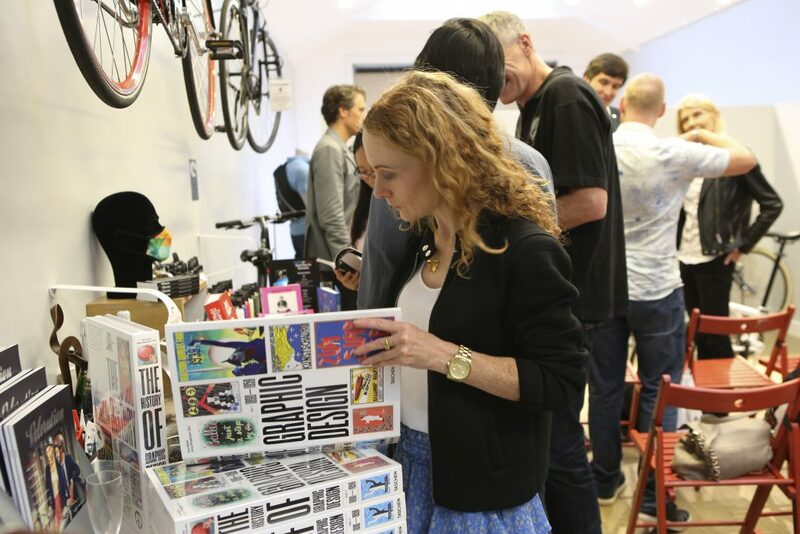 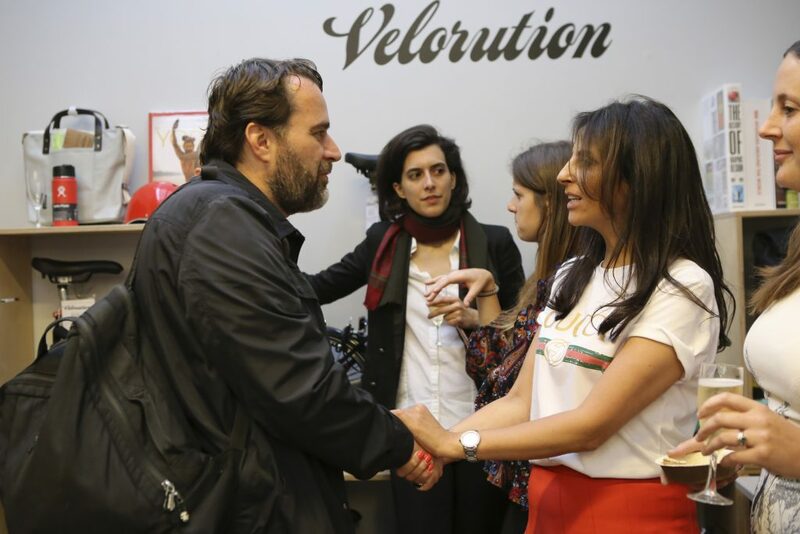 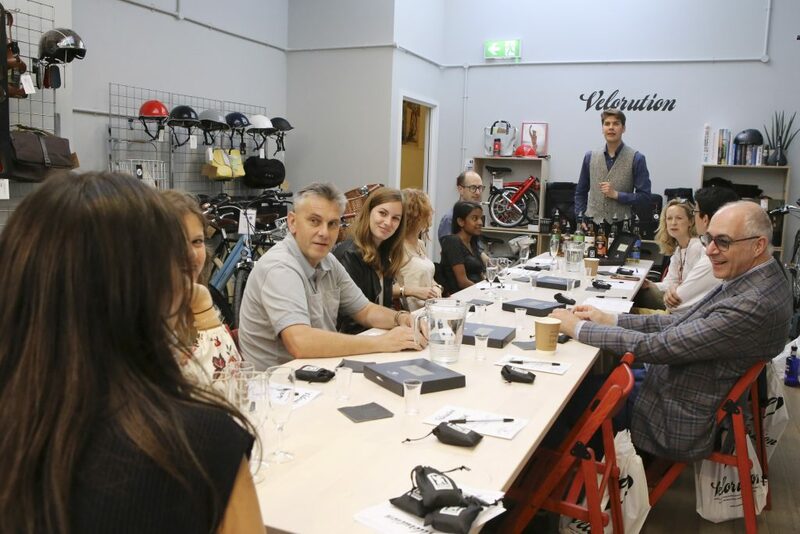 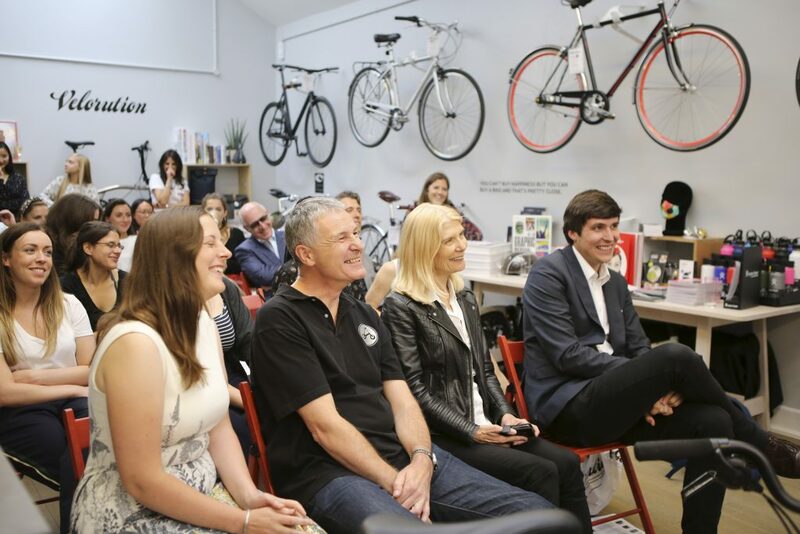 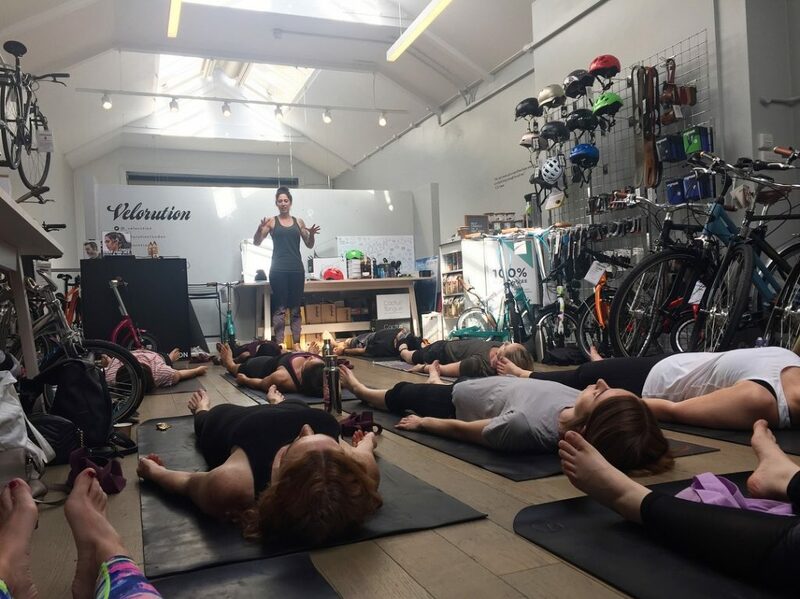 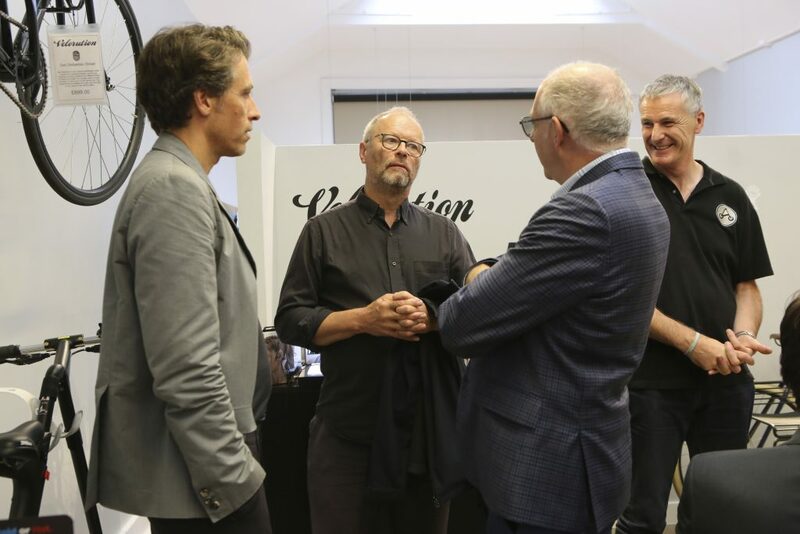 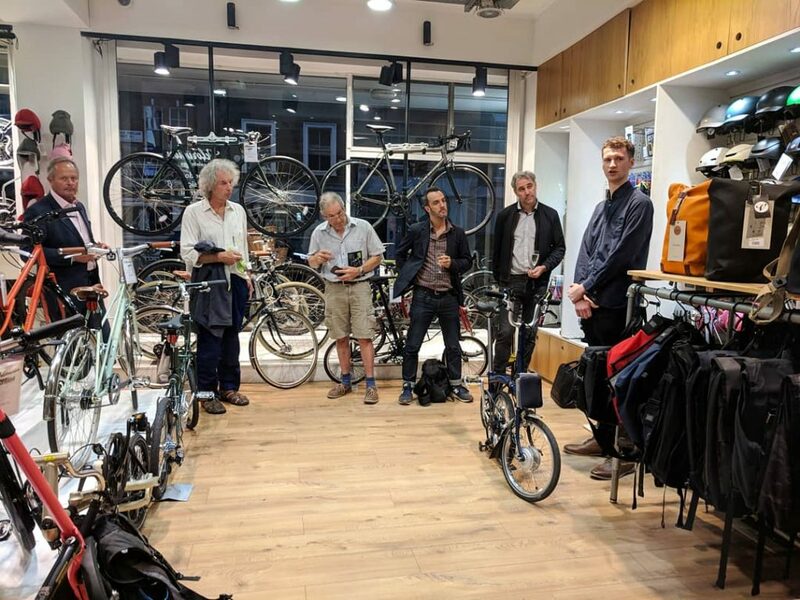 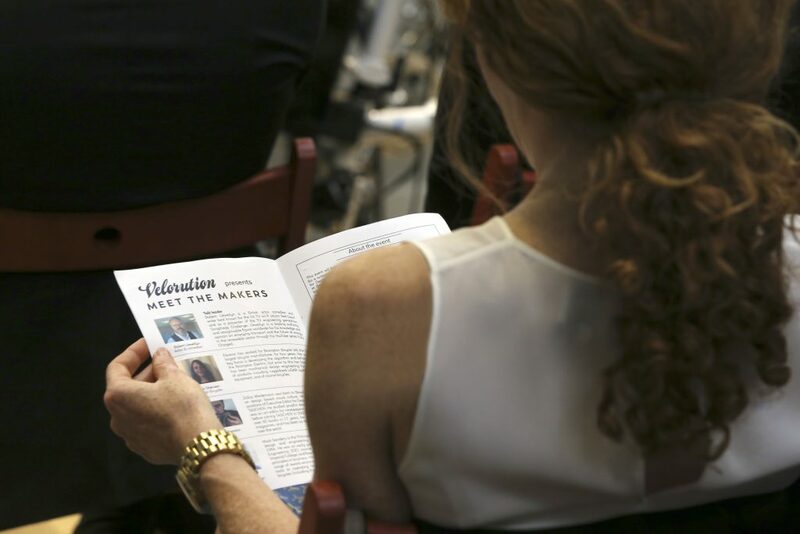 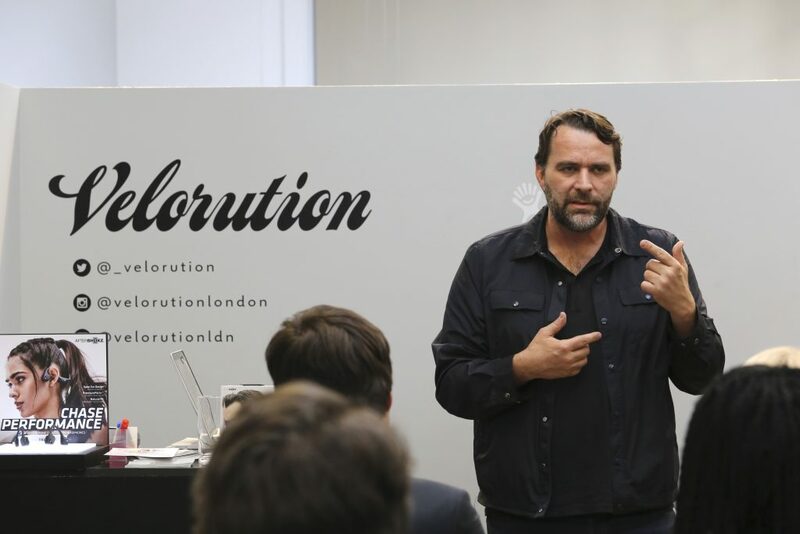 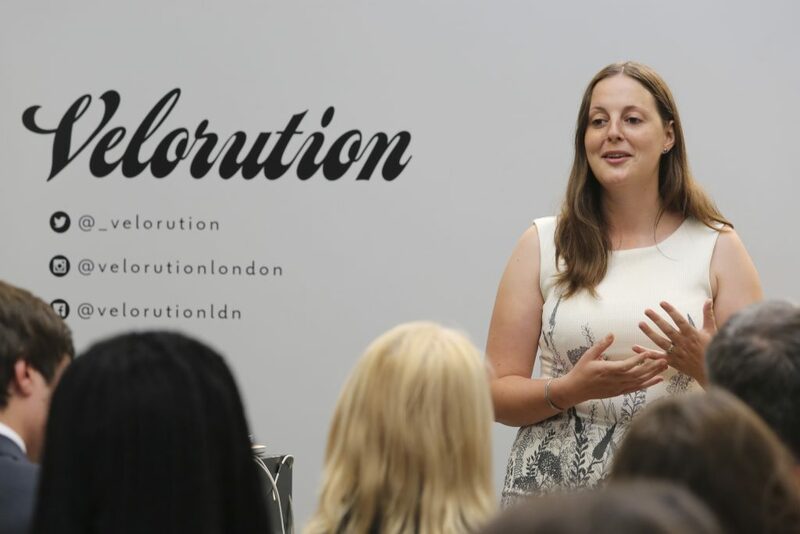 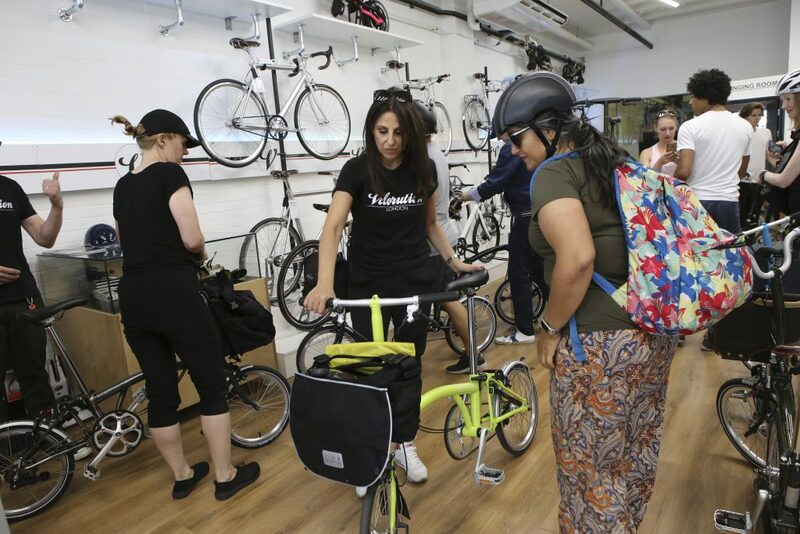 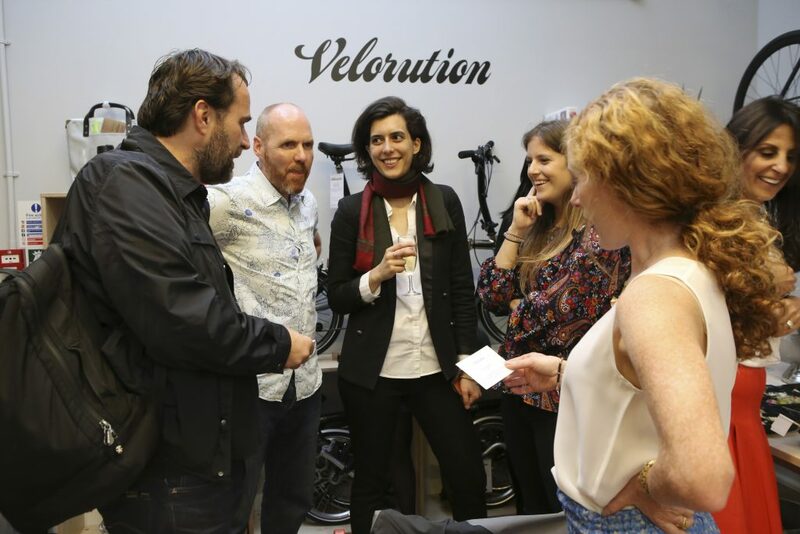 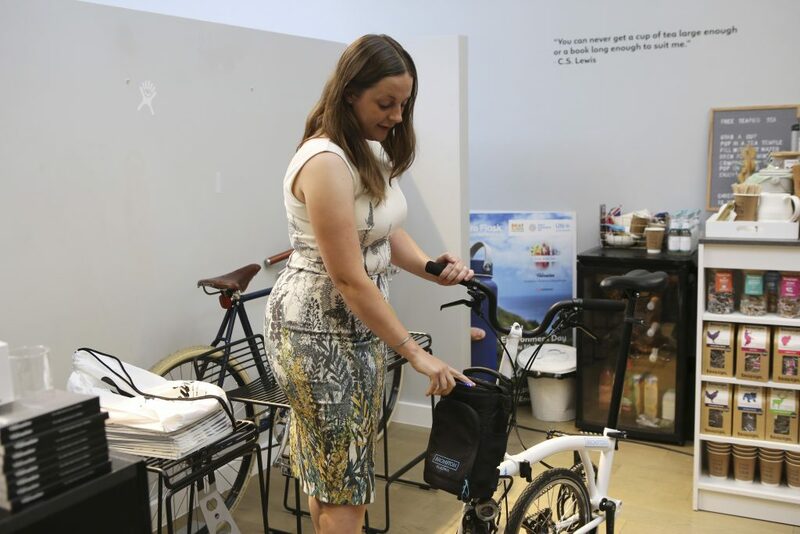 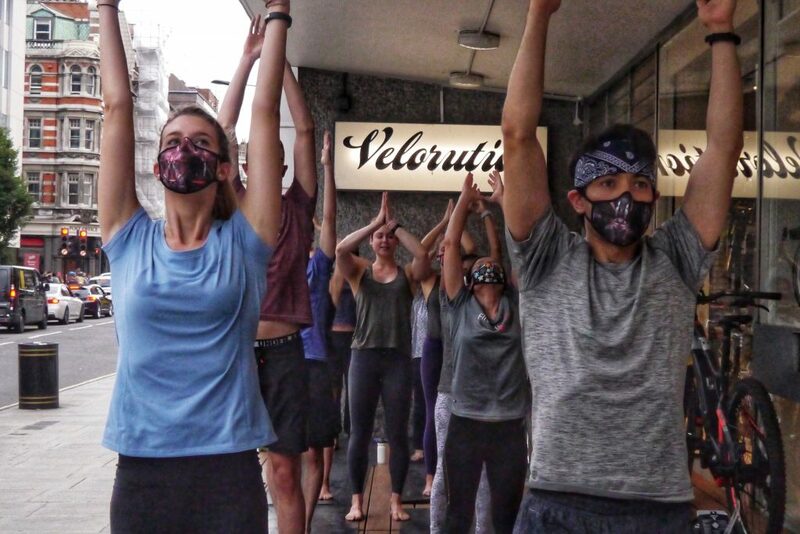 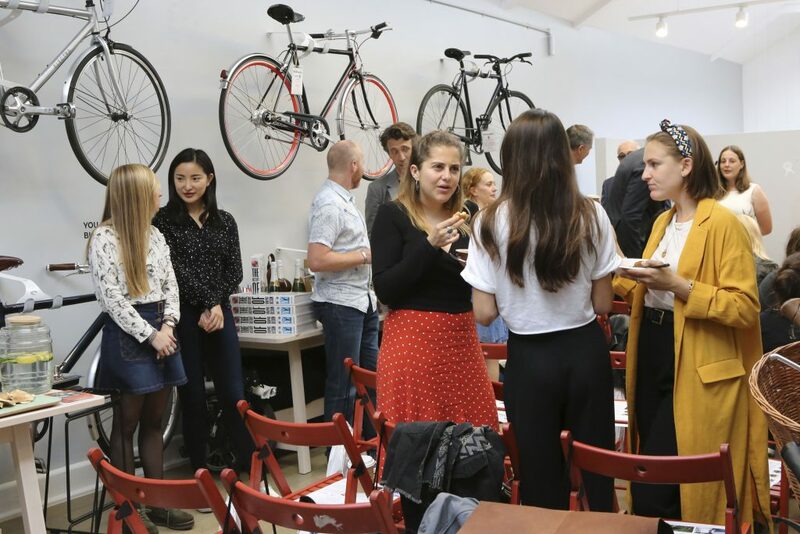 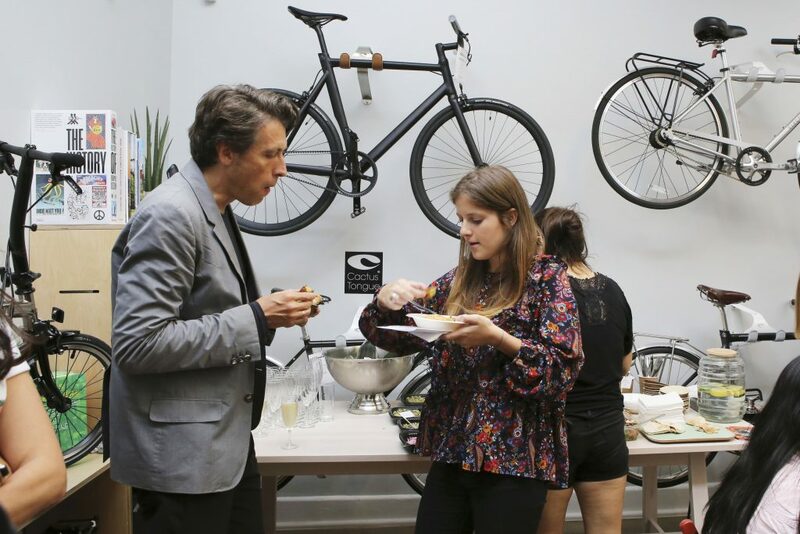 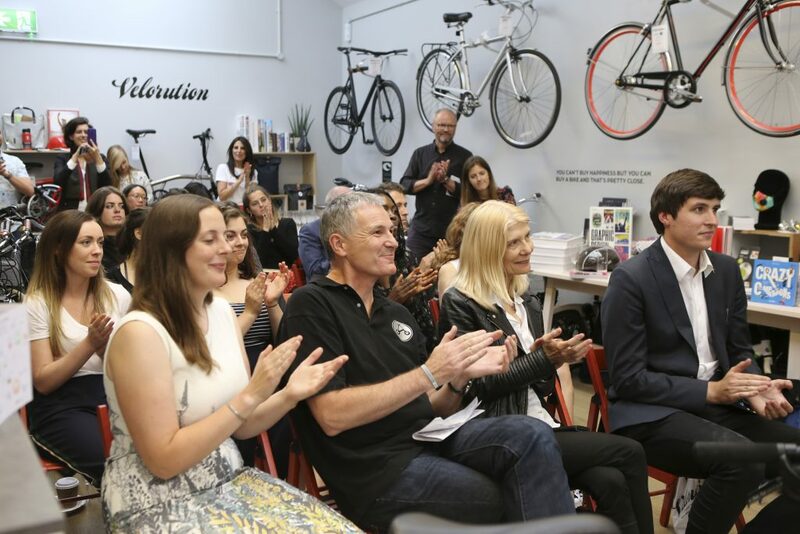 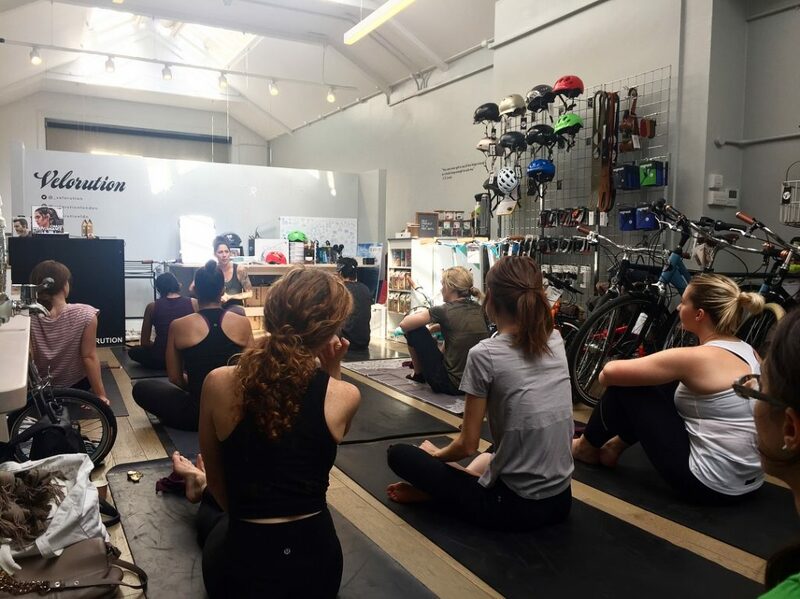 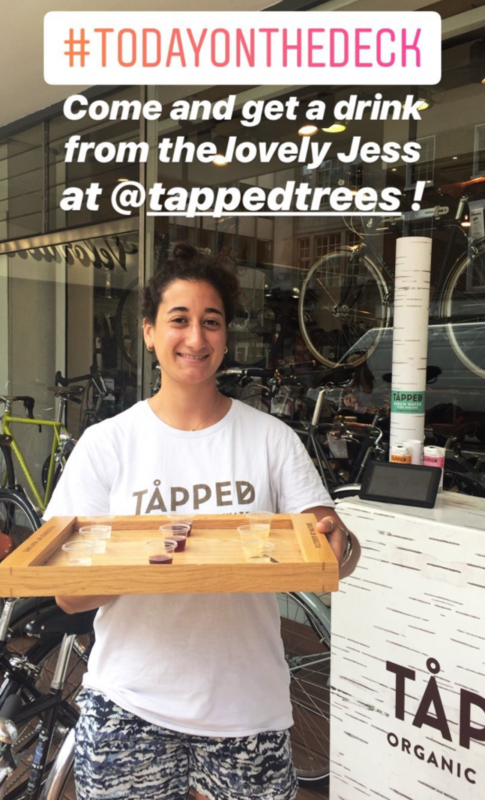 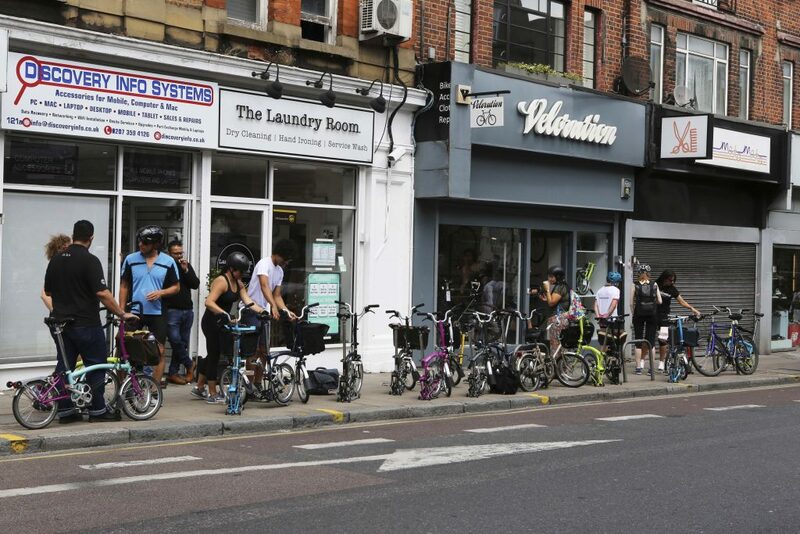 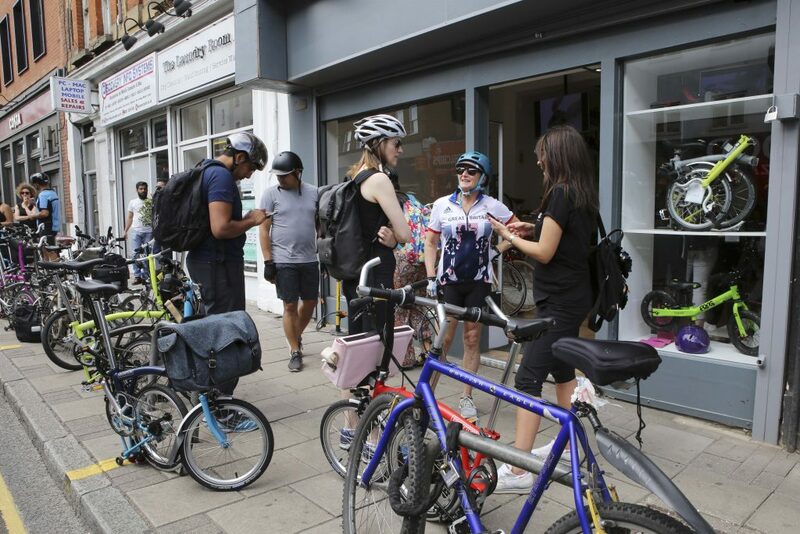 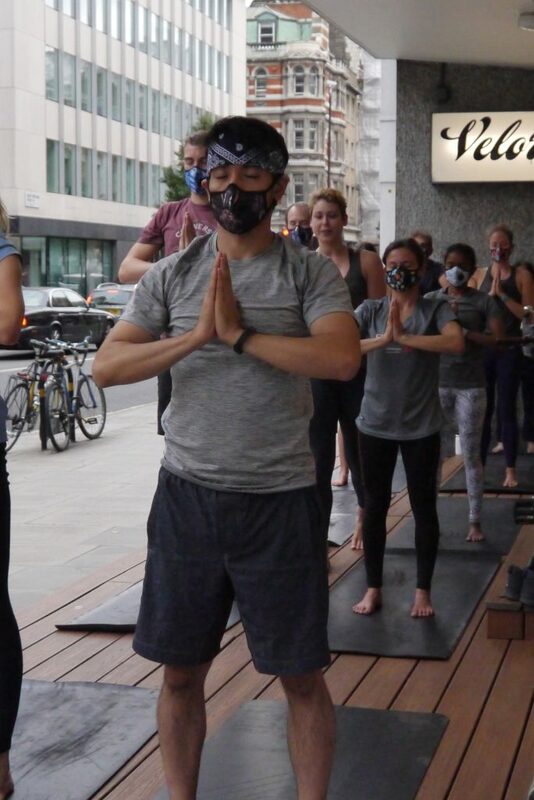 This entry was posted in News, Velorution Pop Up with lululemon on 23rd June 2018 by Maud de Rohan Willner. 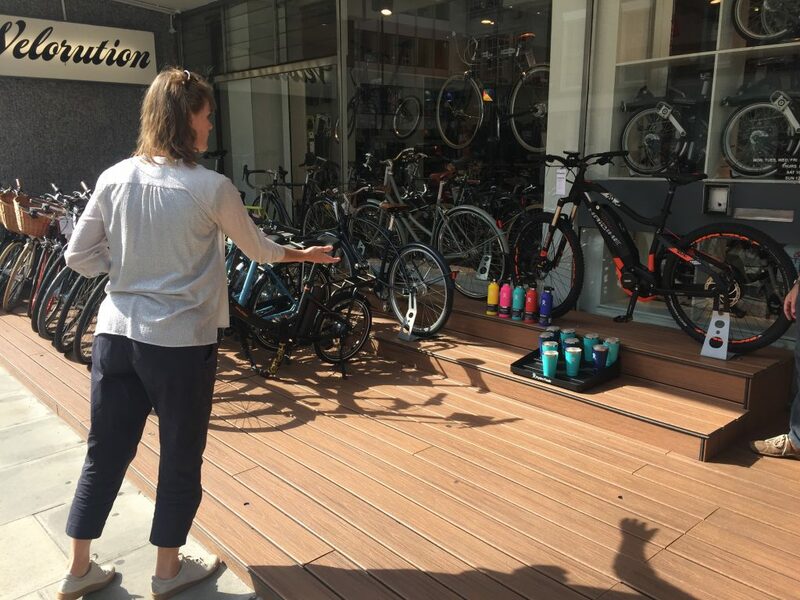 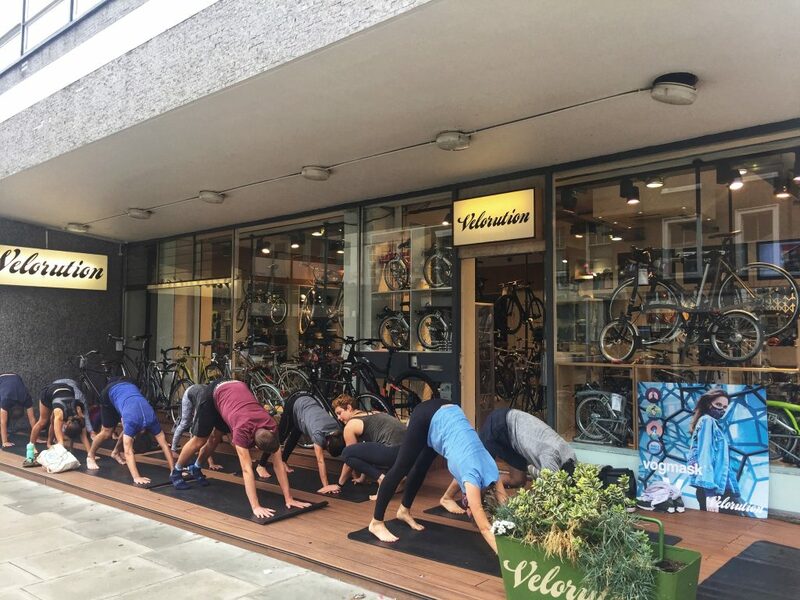 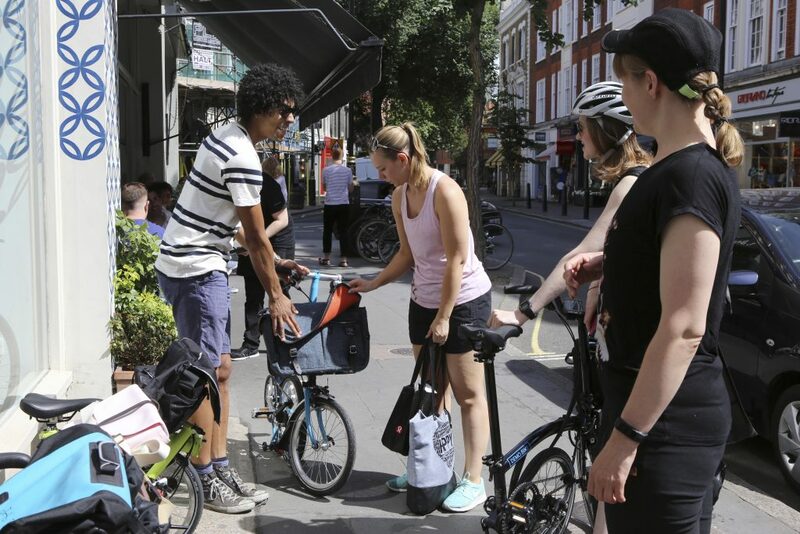 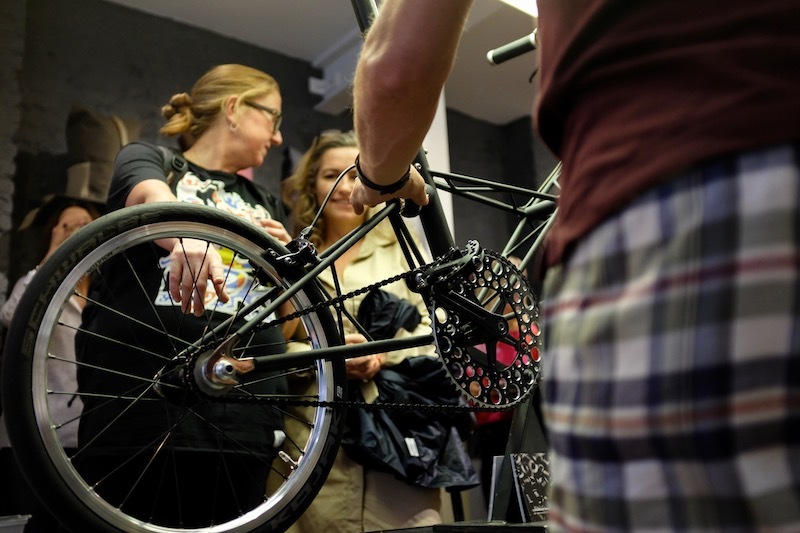 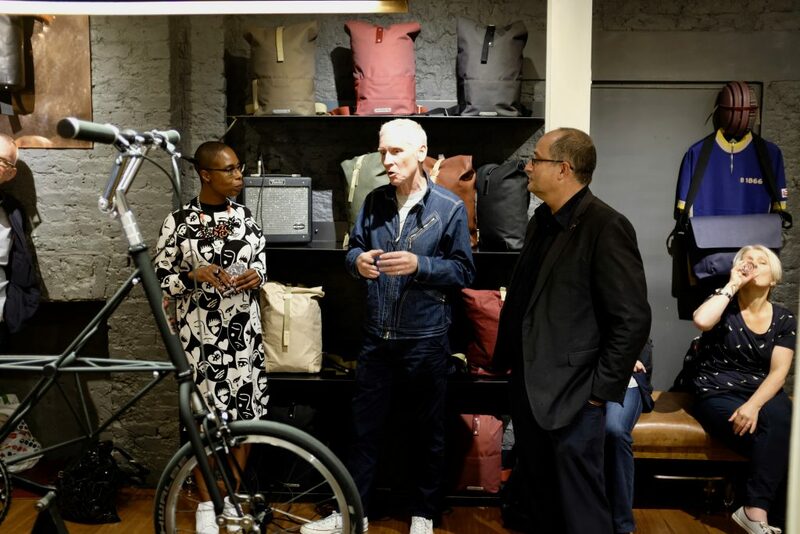 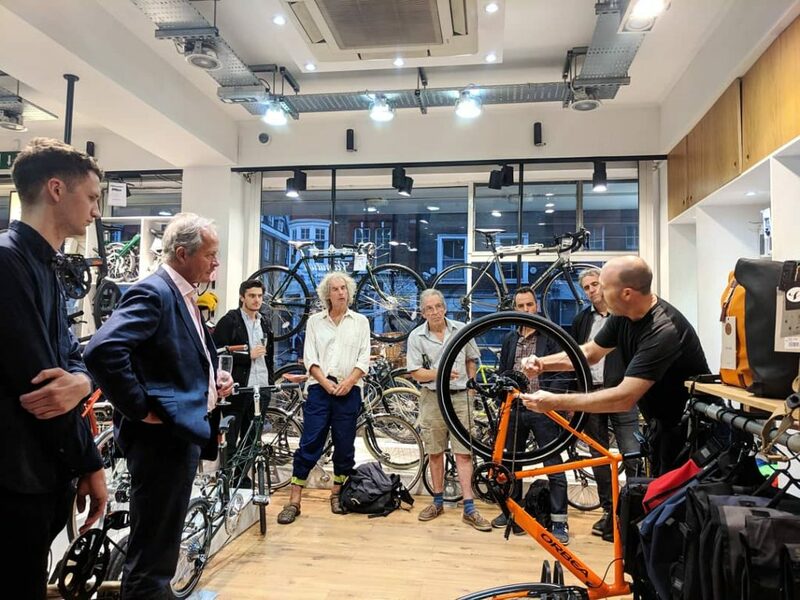 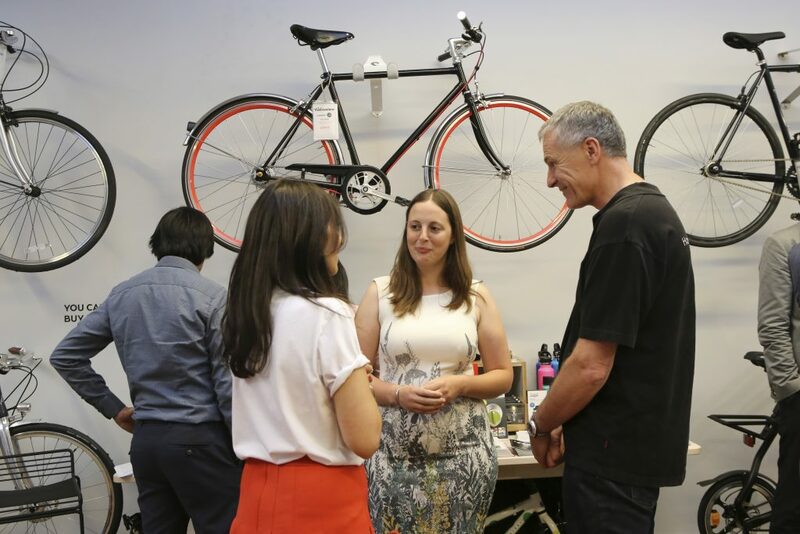 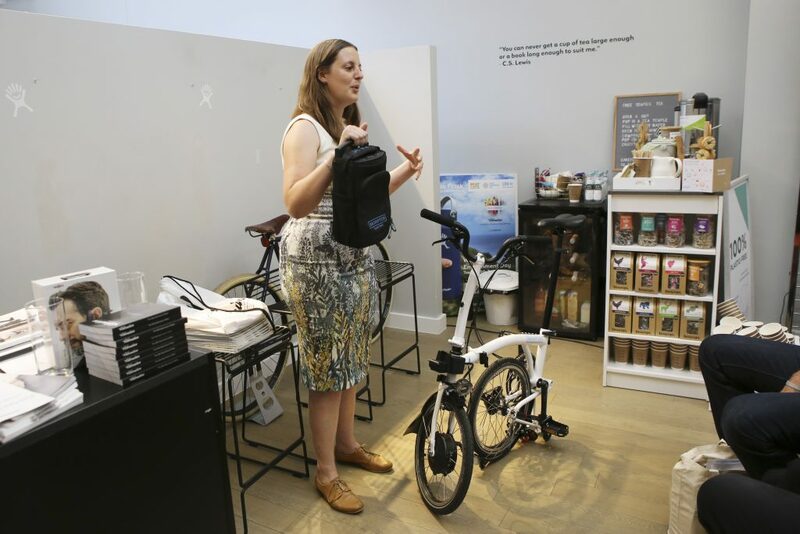 This entry was posted in News, Velorution Pop Up with lululemon on 20th June 2018 by Maud de Rohan Willner. 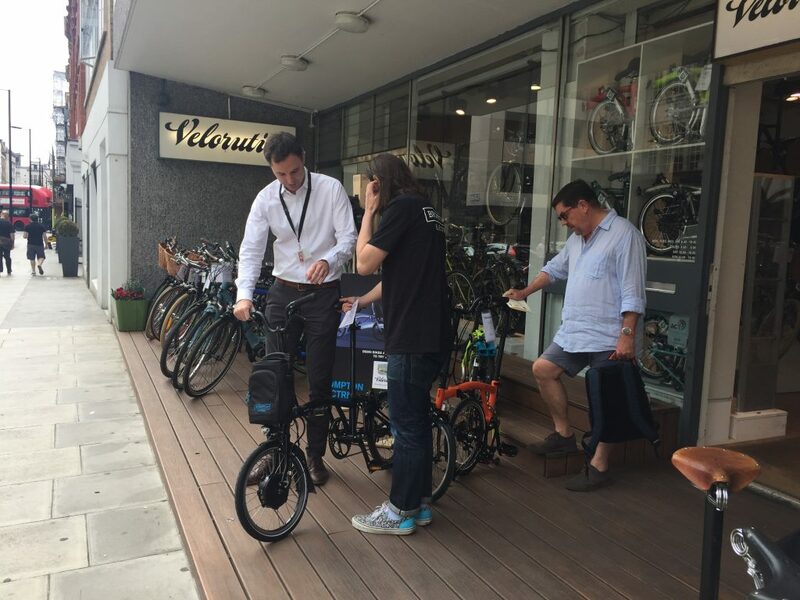 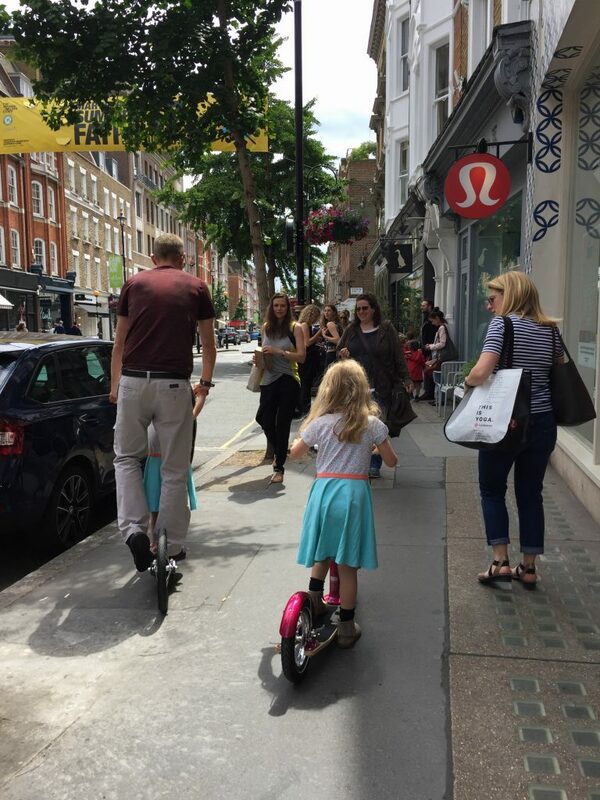 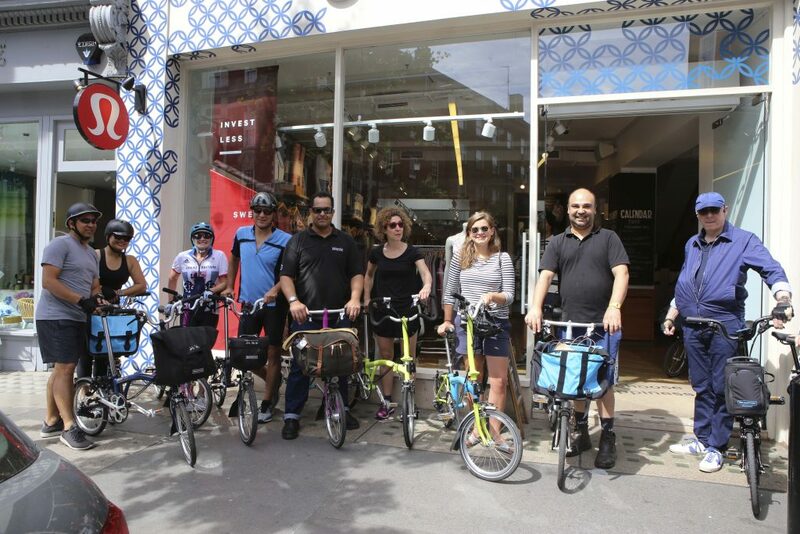 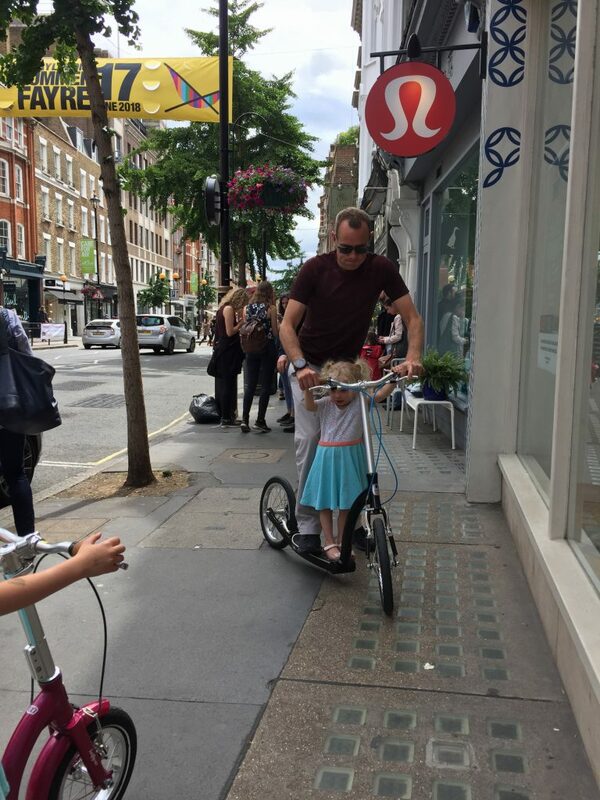 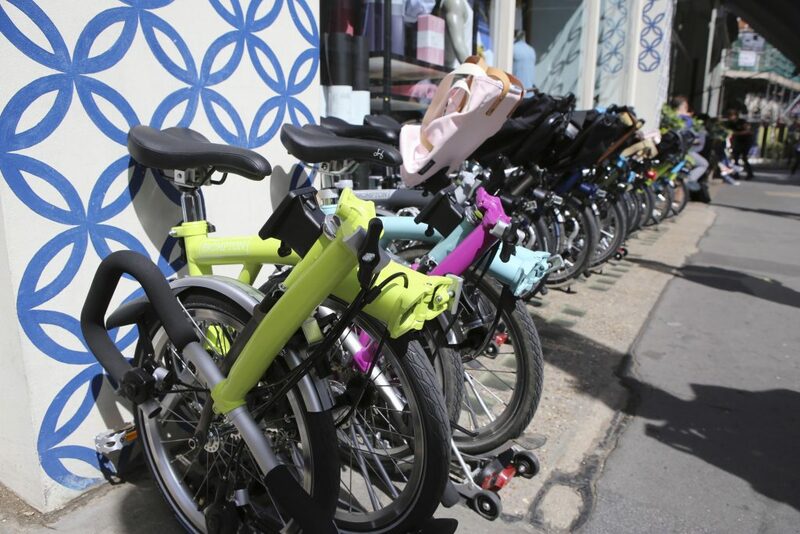 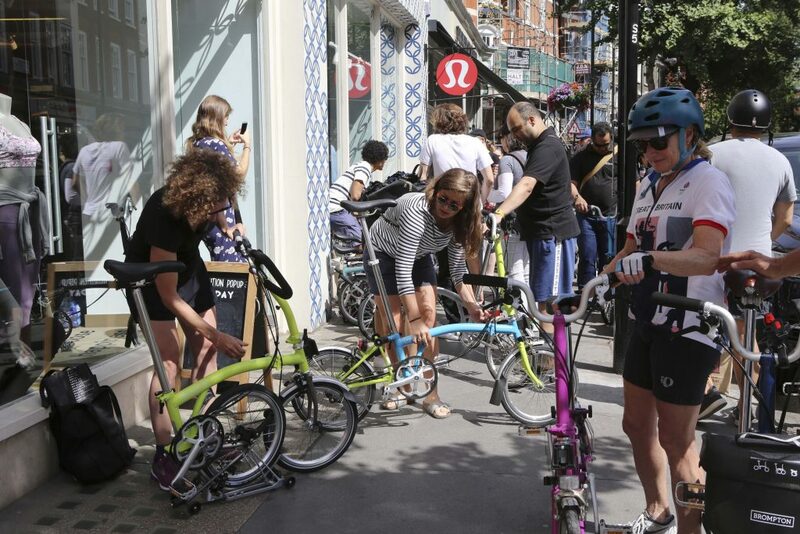 As part of the Velorution Pop Up in lululemon Marylebone, we hosted a Swifty Scooter day as well as being part of the Marylebone Fayre on the 16th and 17th June. 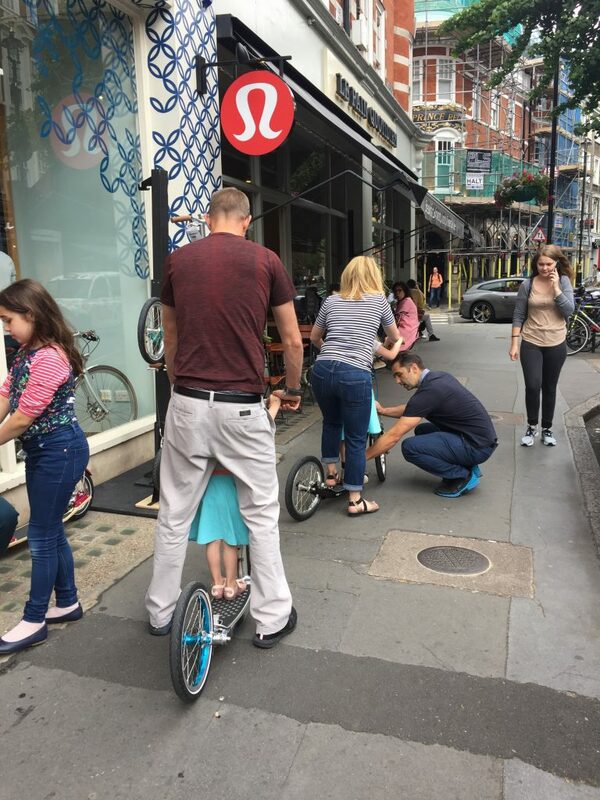 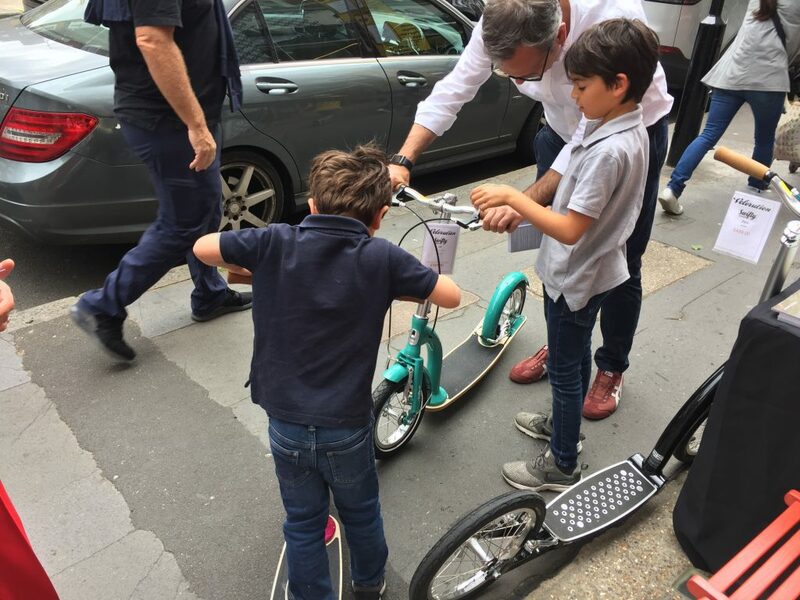 Children and adults had a go on the Swifty Scooters as founders Jason and Camilla Iftakhar joined us for a Saturday scoot. 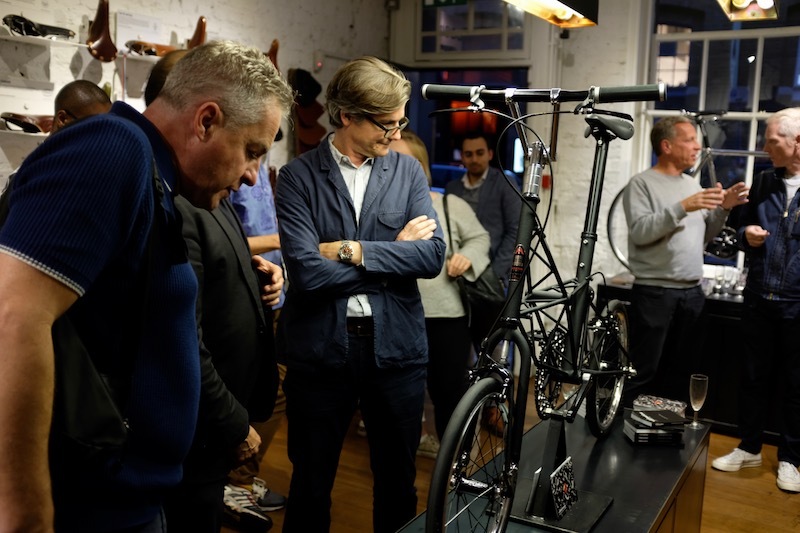 Their daughter Ida who helped design the Swifty IXI gave a short talk about her input. 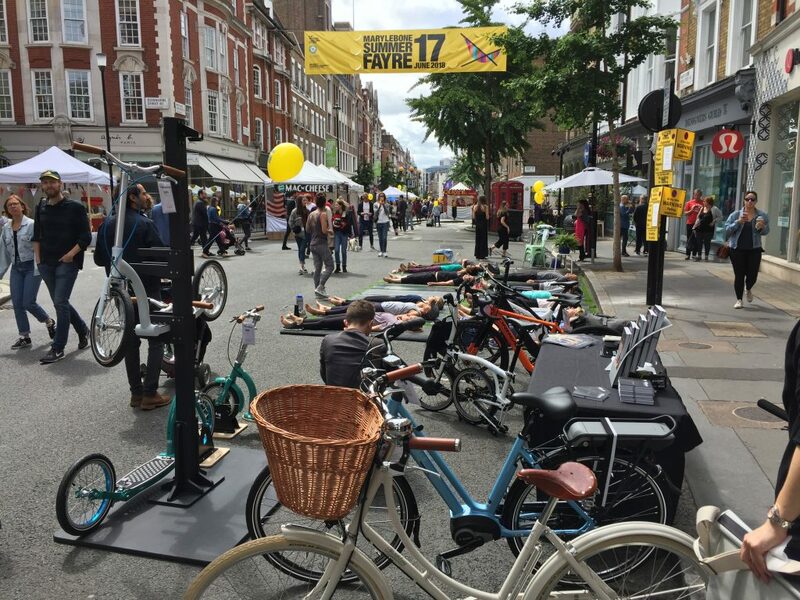 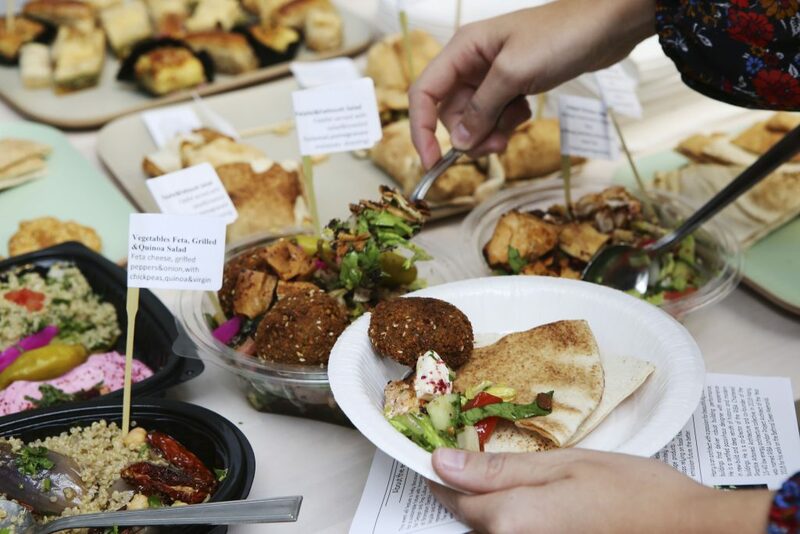 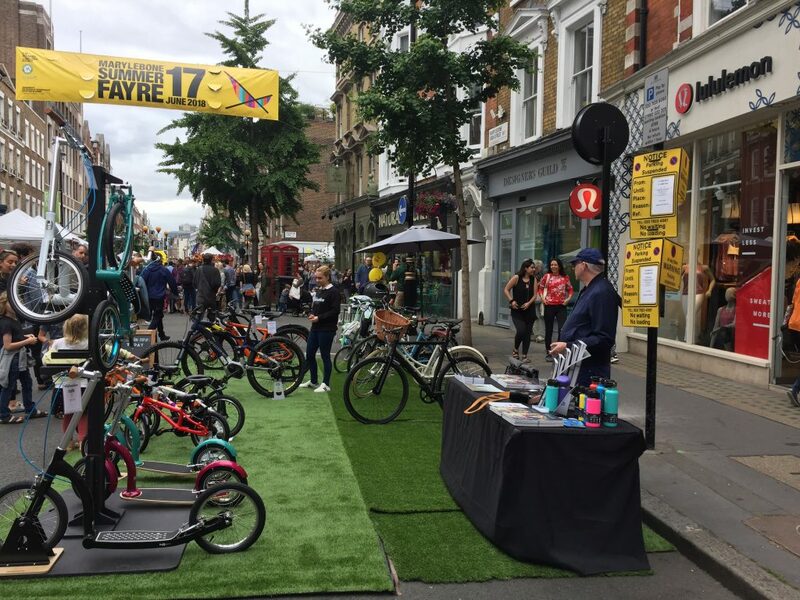 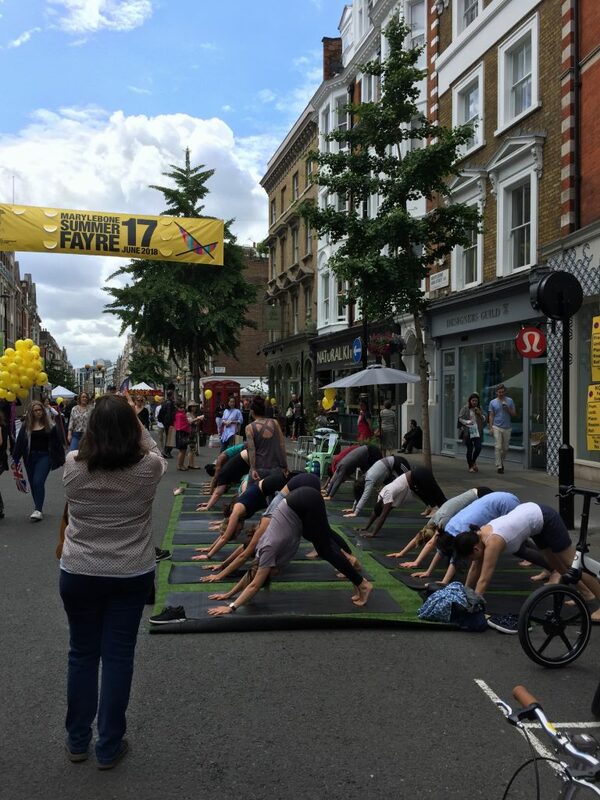 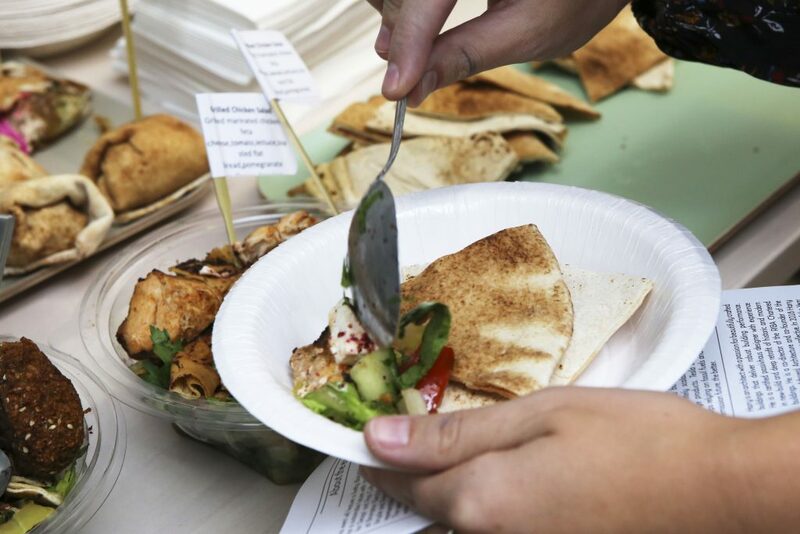 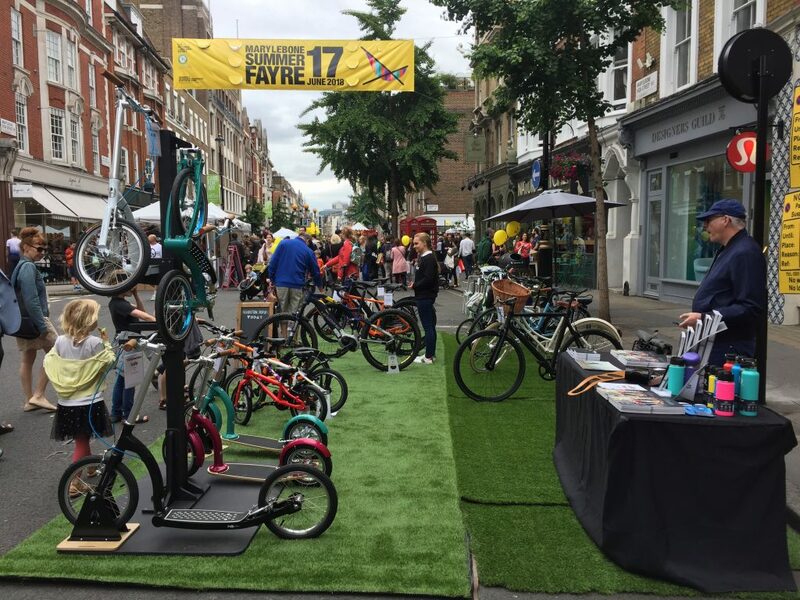 The Marylebone Summer Fayre took place on Sunday 17th June.(www.marylebonevillage.com/marylebone-summer-fayre). 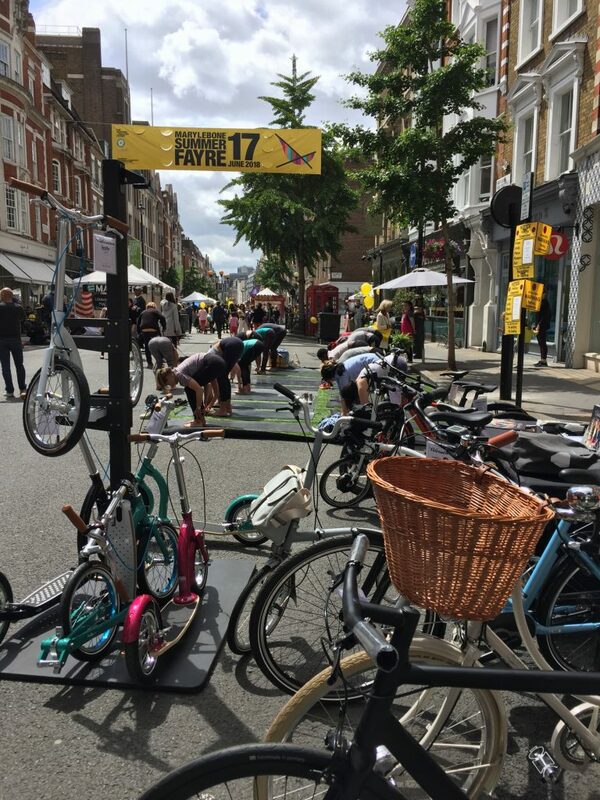 On this day the whole of Marylebone High Street was made pedestrian with a variety of stalls along the road. 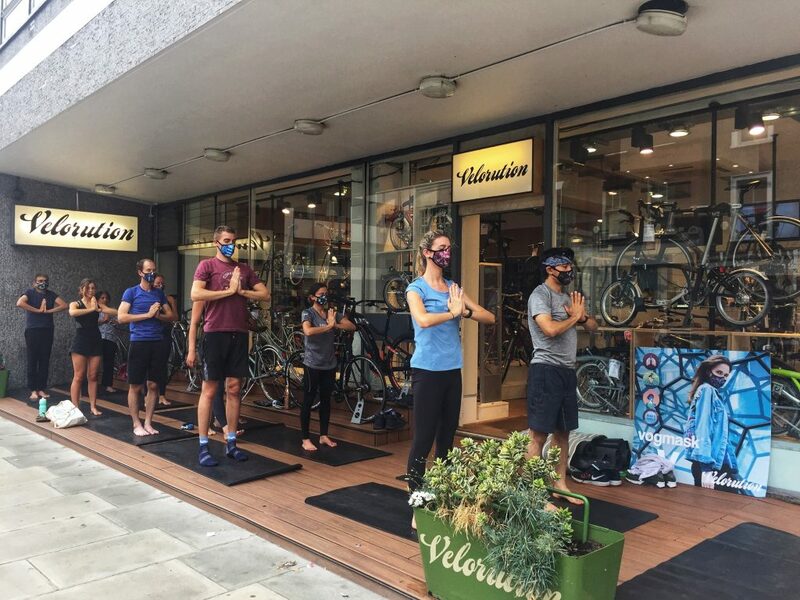 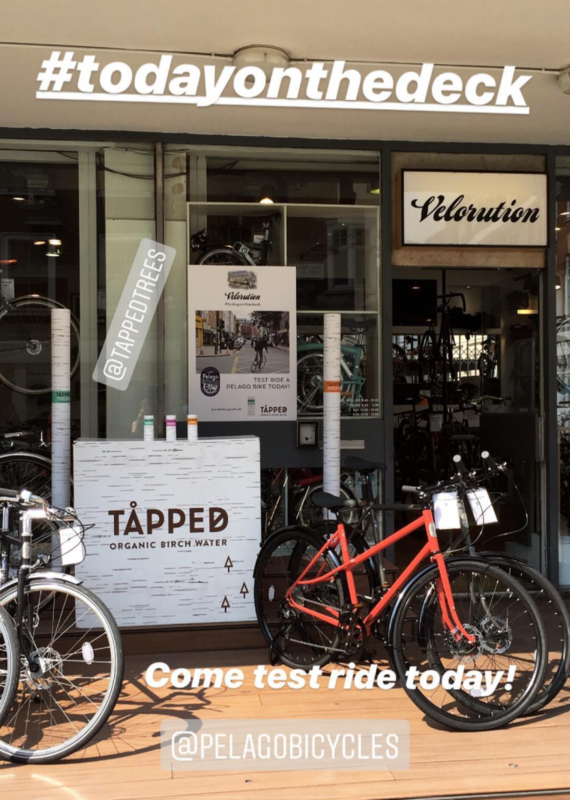 This entry was posted in News, Velorution Pop Up with lululemon on 17th June 2018 by Maud de Rohan Willner. 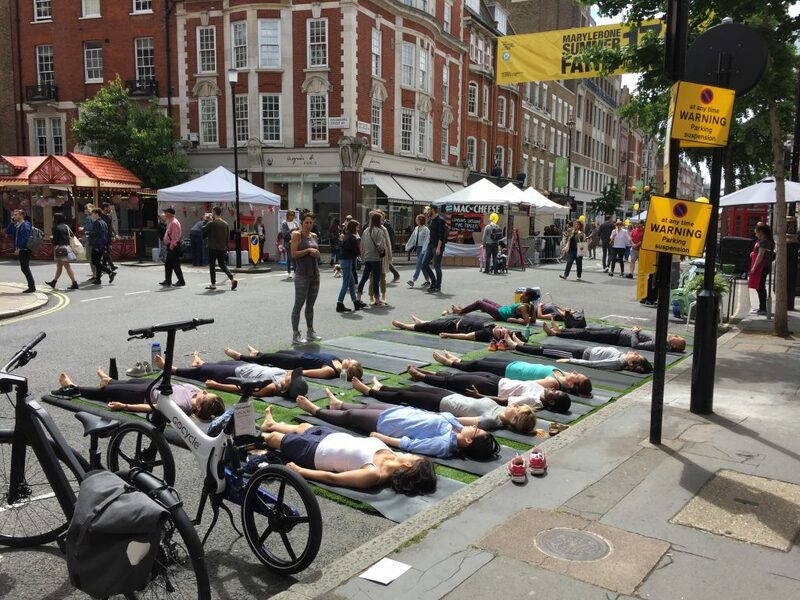 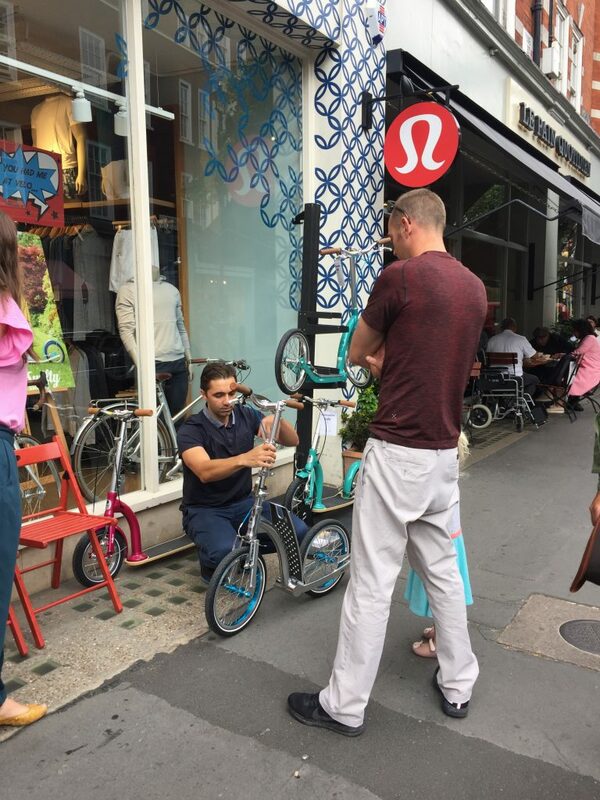 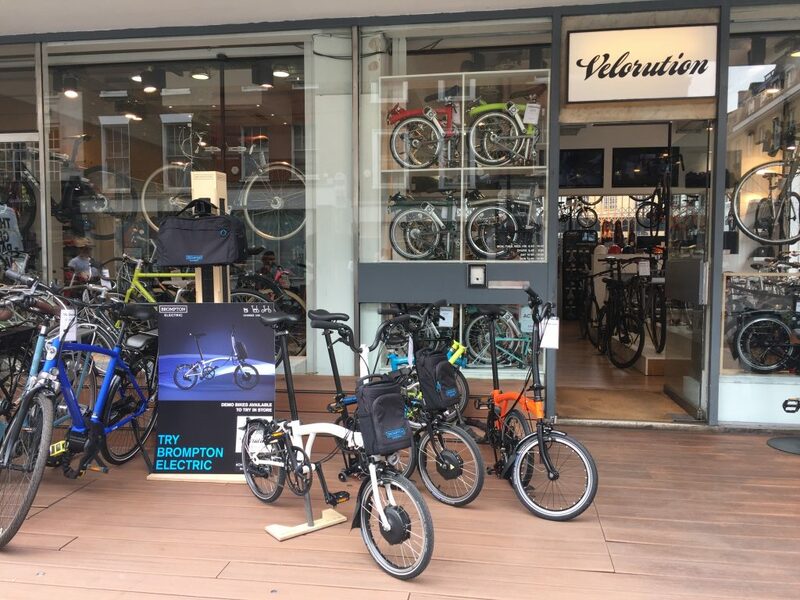 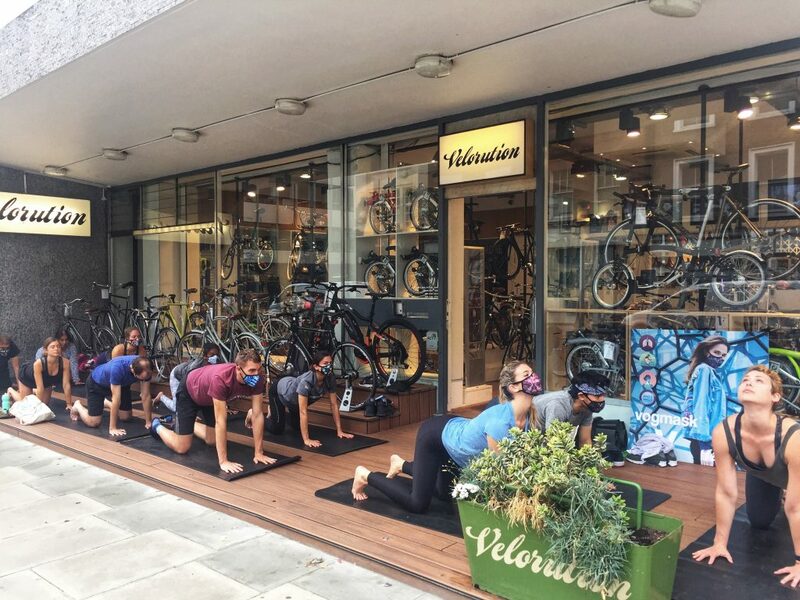 This entry was posted in News, Velorution Pop Up with lululemon on 14th June 2018 by Maud de Rohan Willner. 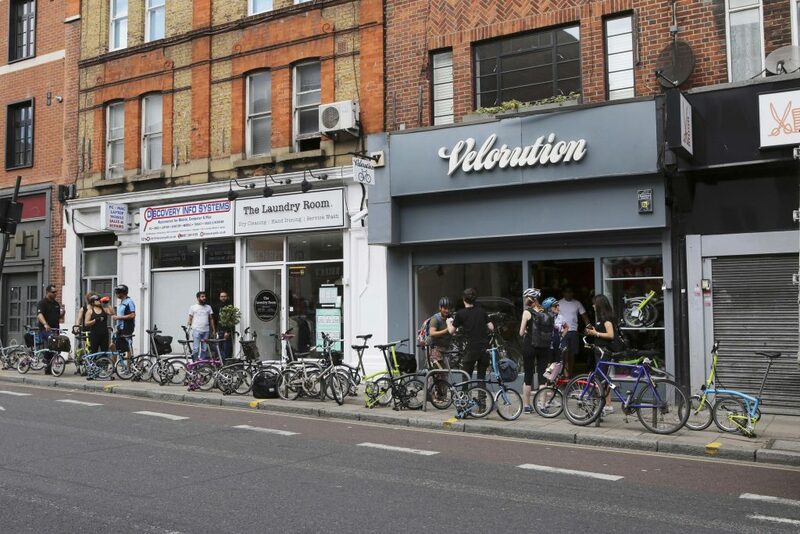 Panel discussion and showcase on Wednesday 13th June as part of the Velorution Pop Up in lululemon Marylebone. 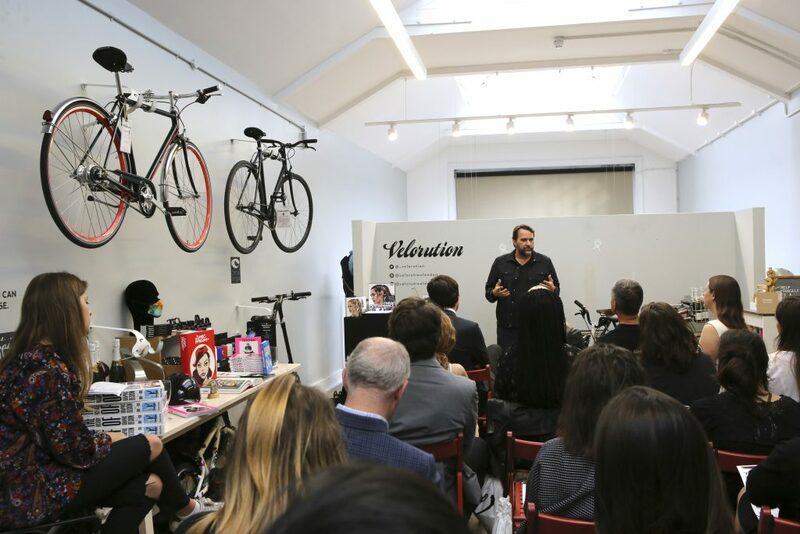 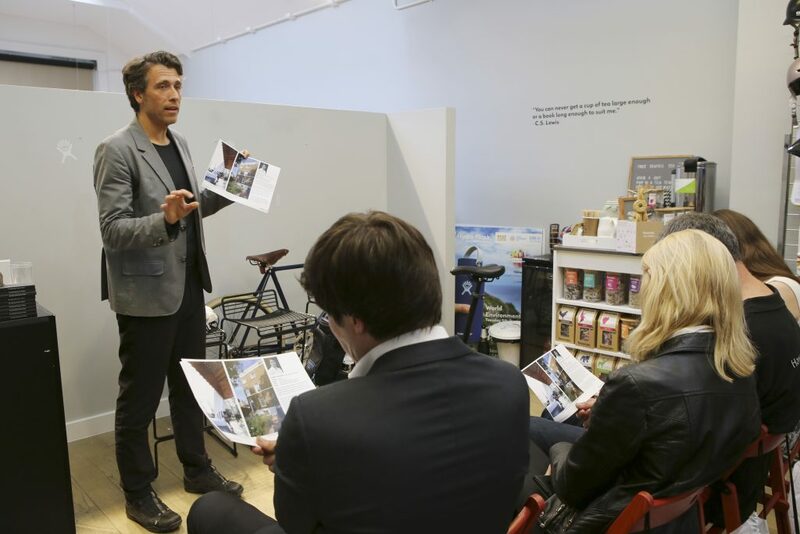 This event featured a lively discussion about our changing culture, product design for a sustainable future with inspirational panelists Julius Wiedemann, Executive Editor for Design and Pop Culture at TASCHEN, Eleanor Sherwen, Development Engineer at Brompton Electric and Brompton Bicycle, Mark Sanders, innovator of the Strida bicycle and Principal of MAS Design, Harry Paticas, RIBA architect of the year 2018 with Arboreal Architecture and a representative from Tesla. 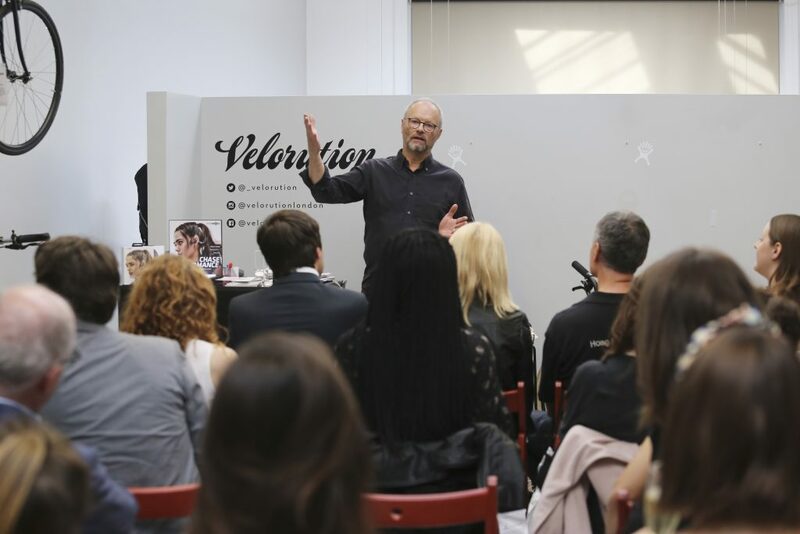 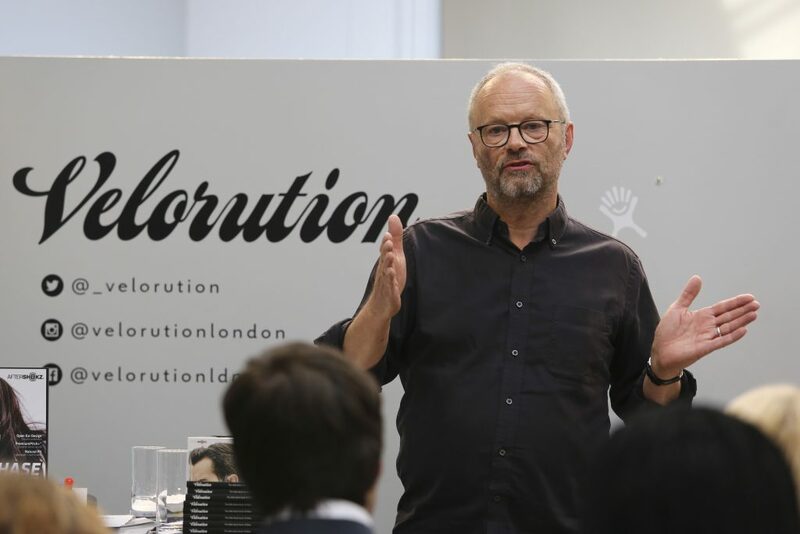 The seated panel discussion and Q&A was led by Robert Llewellyn, actor, comedian, writer and YouTube sensation. 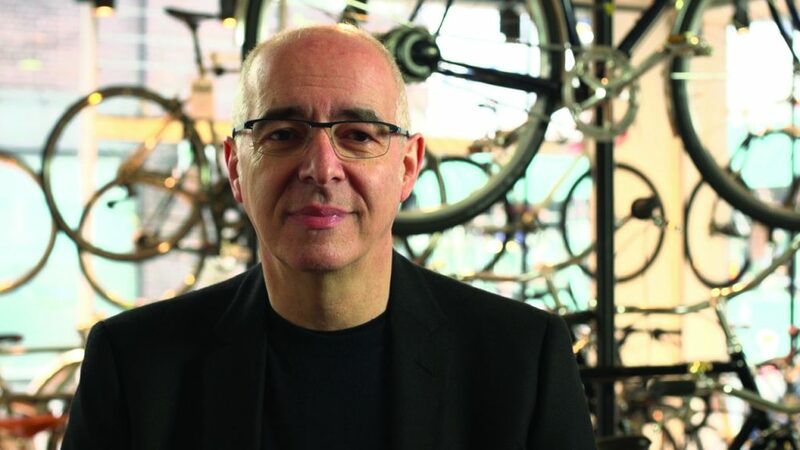 Harry Paticas, Arboreal Architect. 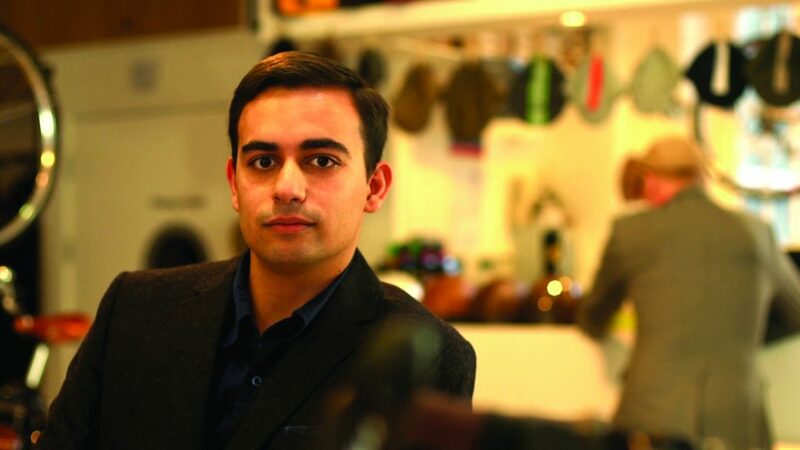 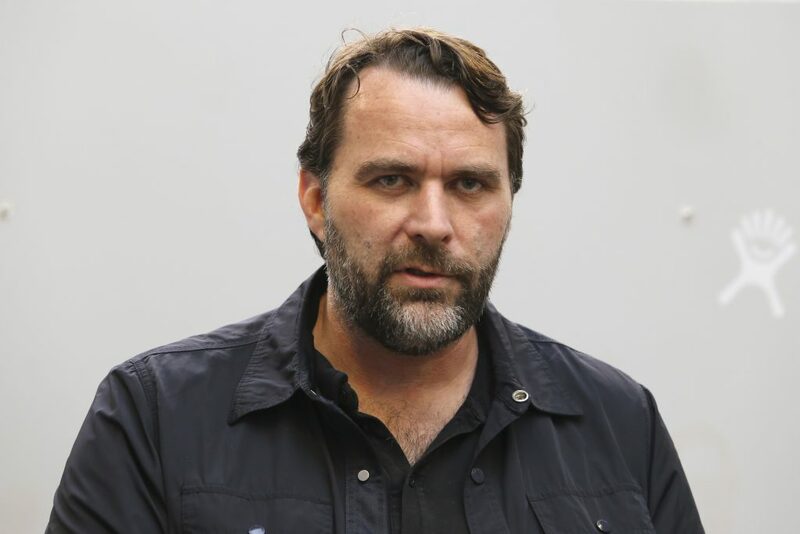 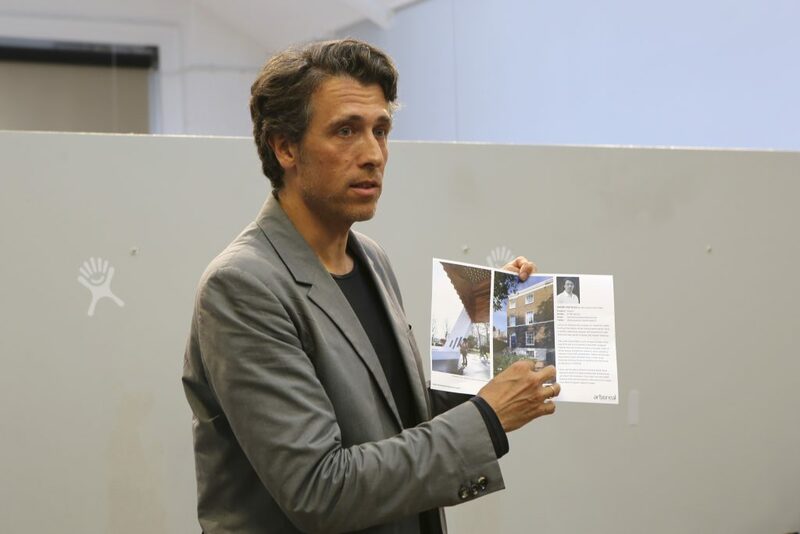 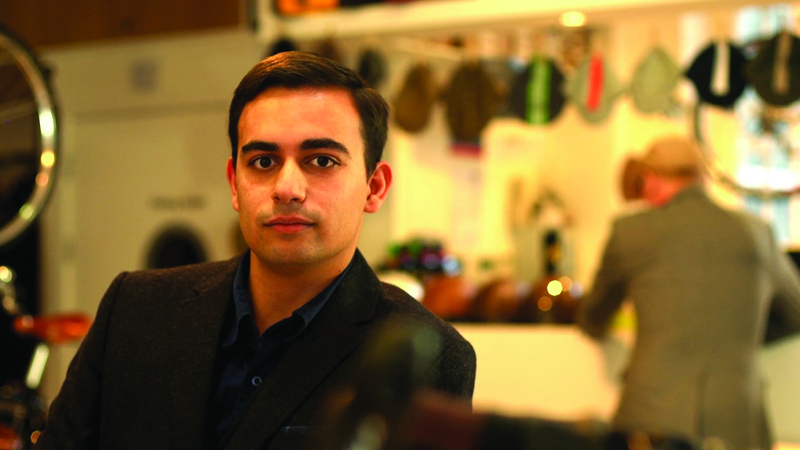 In 2018 he was named RIBA London Project Architect of the Year 2018 for his work on the Bethnal Green Memorial. 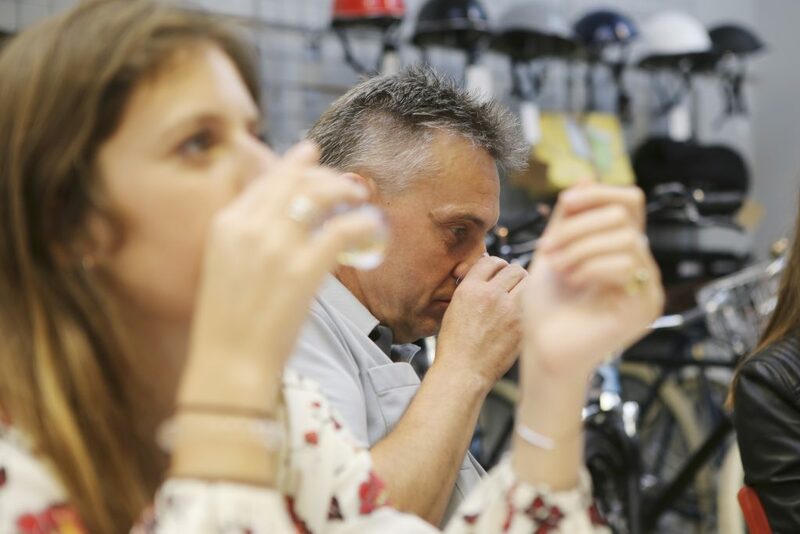 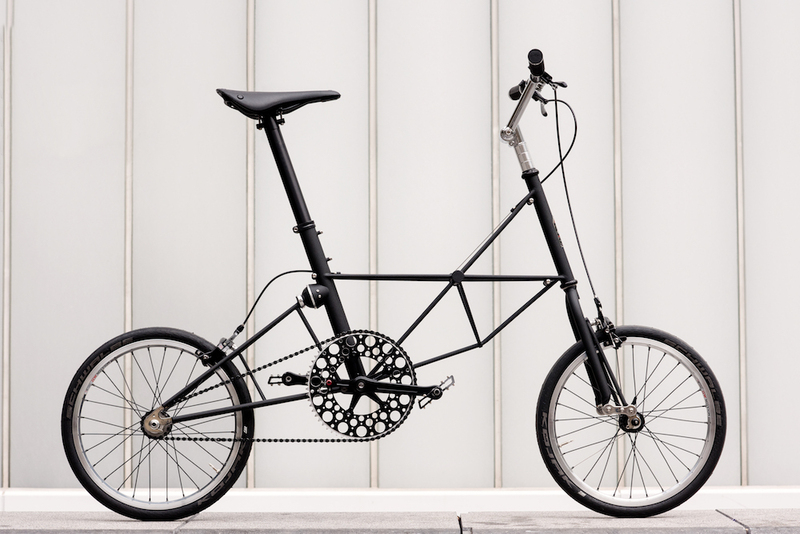 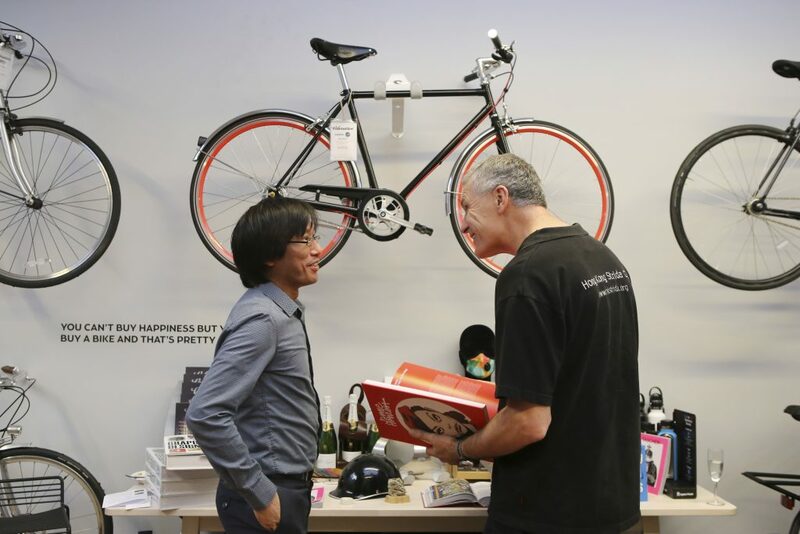 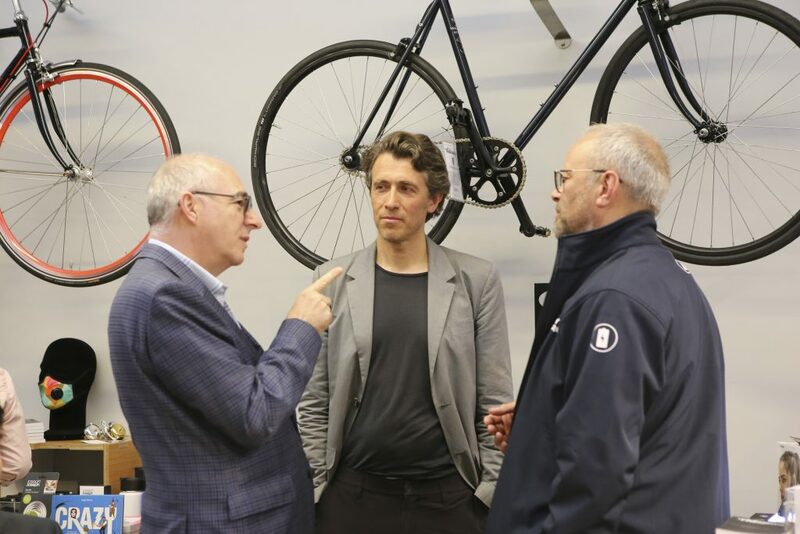 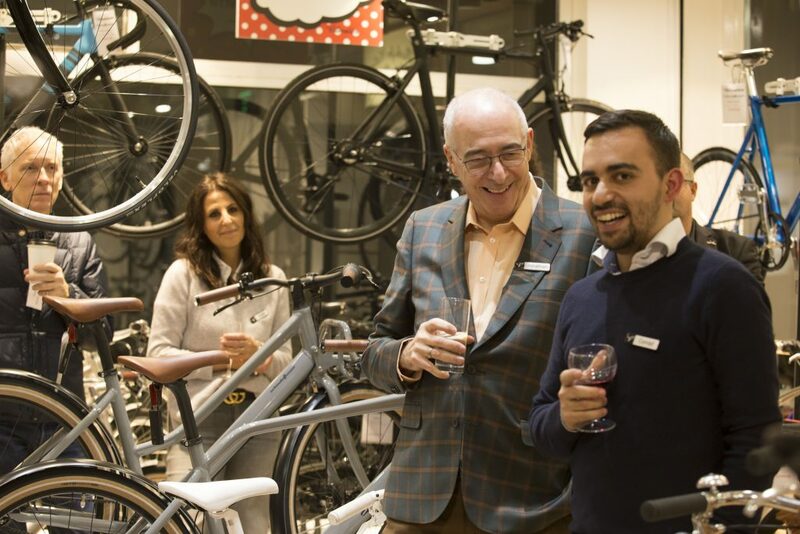 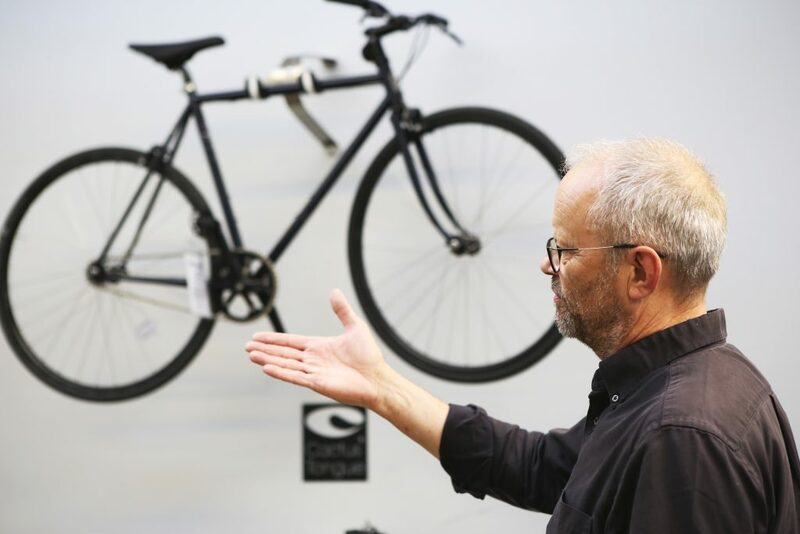 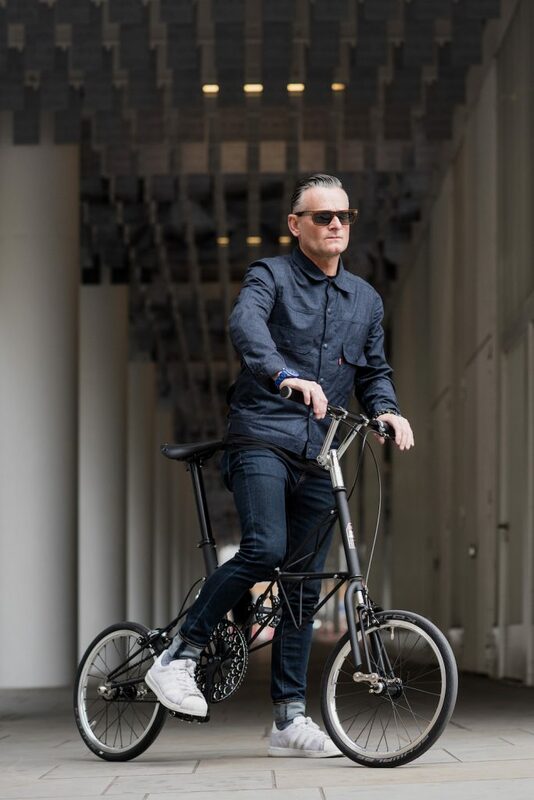 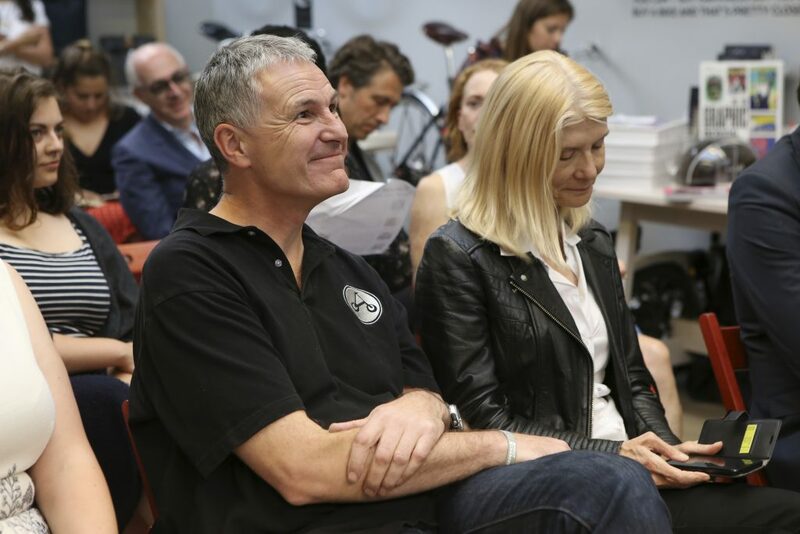 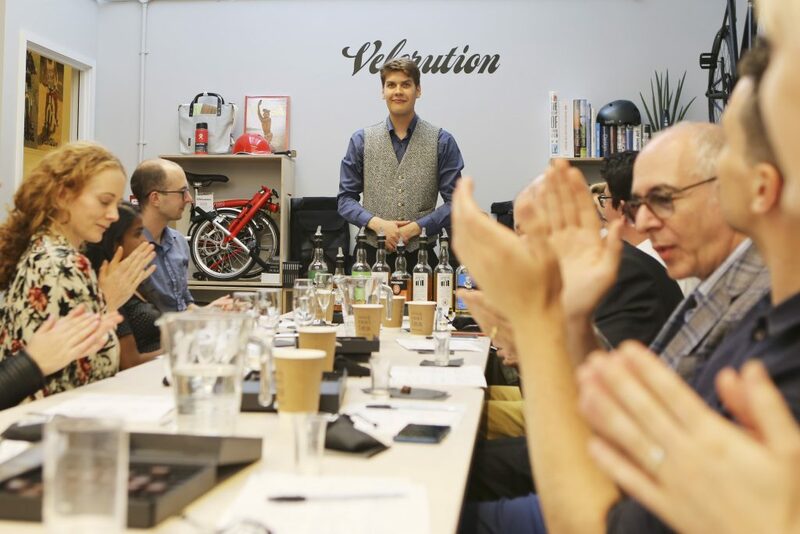 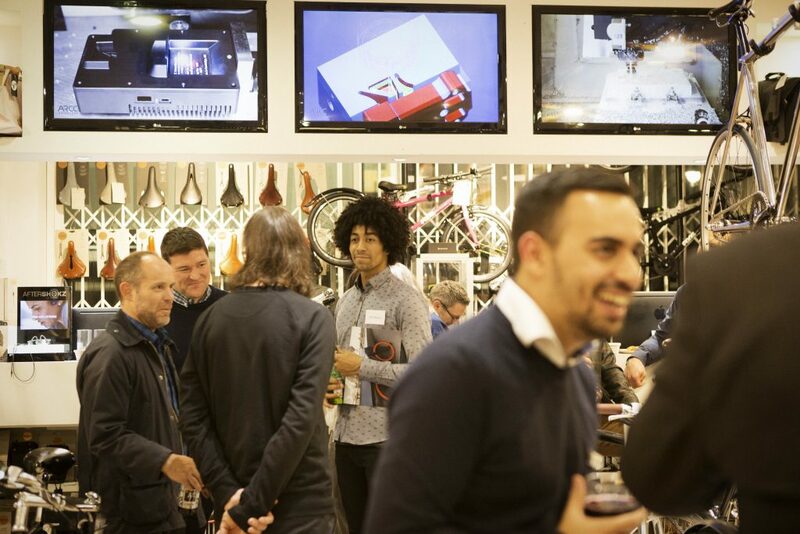 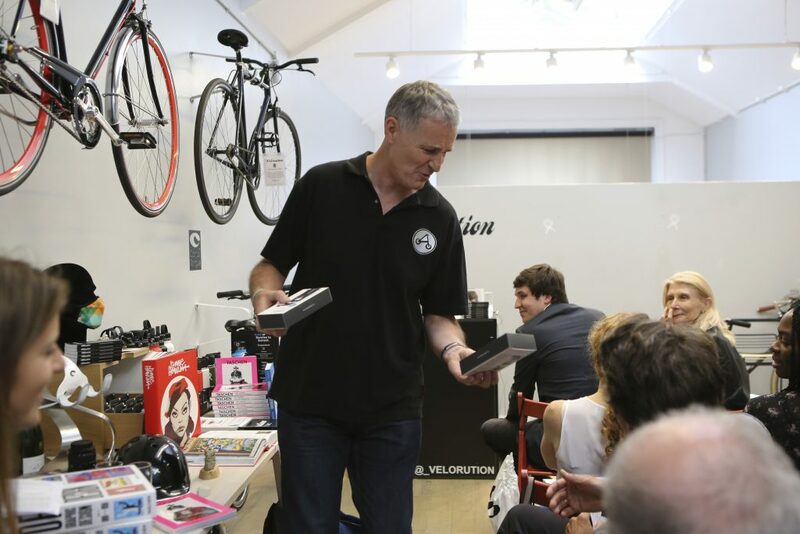 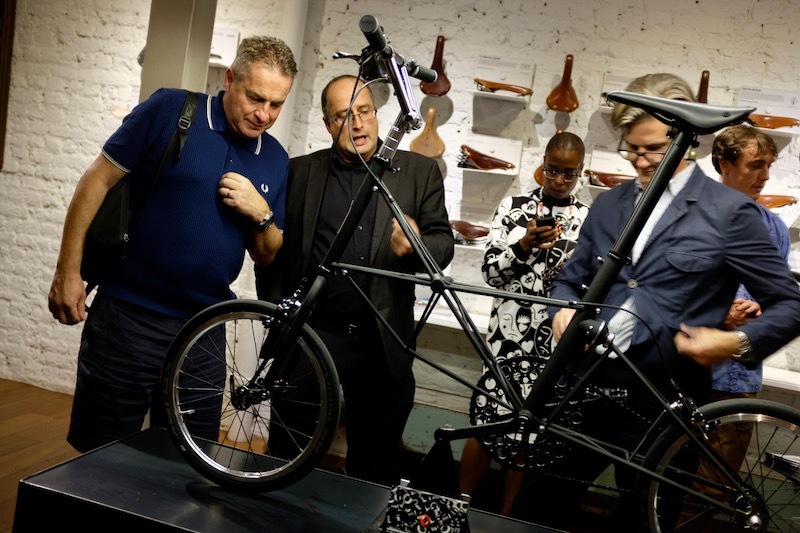 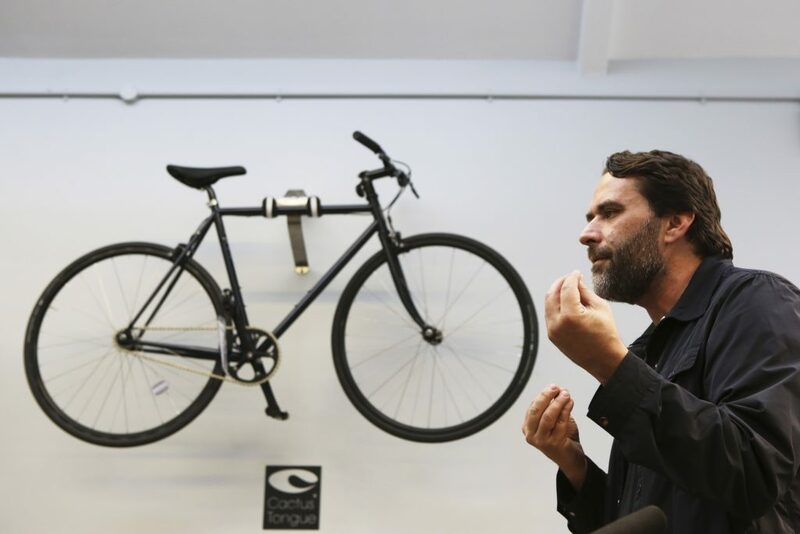 Mark Sanders is the Principal of MAS design, mastermind of the folding bike Strida, responsible for award winning patented products, from kitchen tools to operating tables and industrial valves. 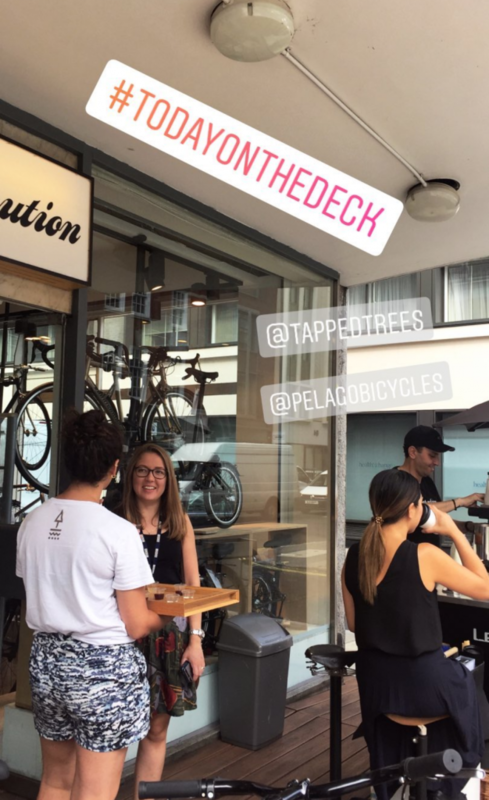 This entry was posted in News, Velorution Pop Up with lululemon on 13th June 2018 by Maud de Rohan Willner.